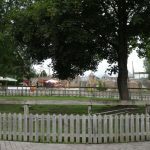 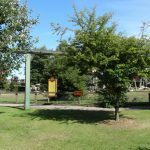 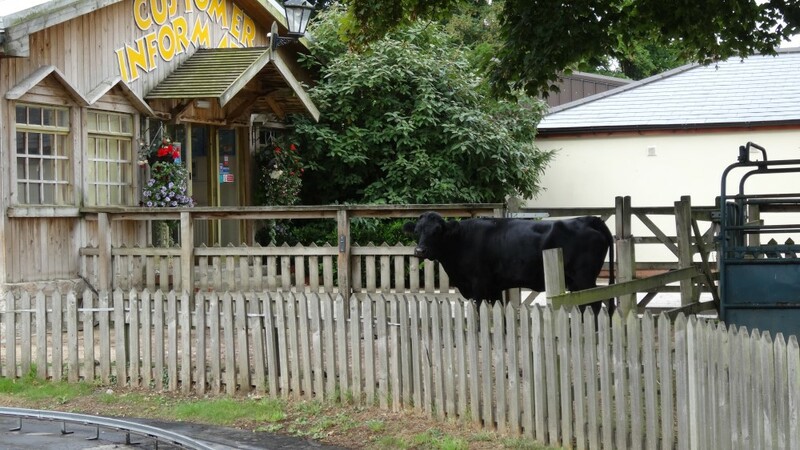 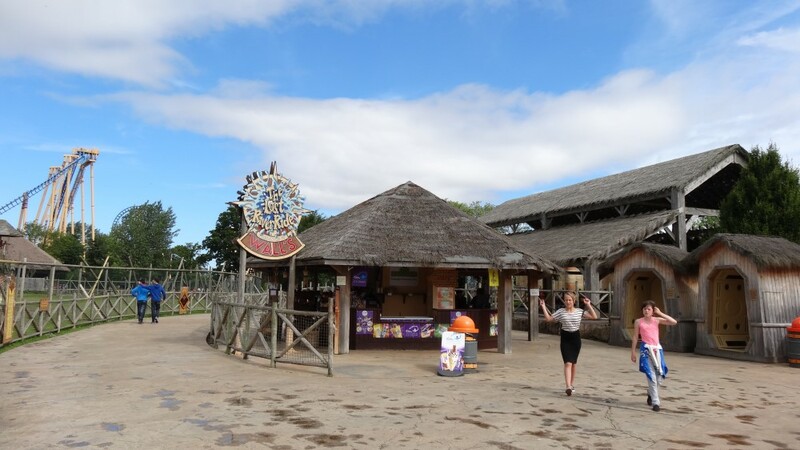 Welcome to Flamingo Land Resort, possibly one of the UK’s most unique theme parks. 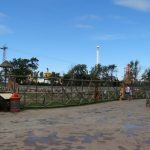 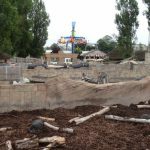 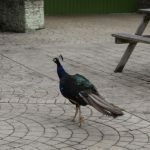 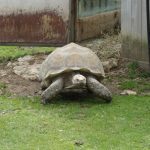 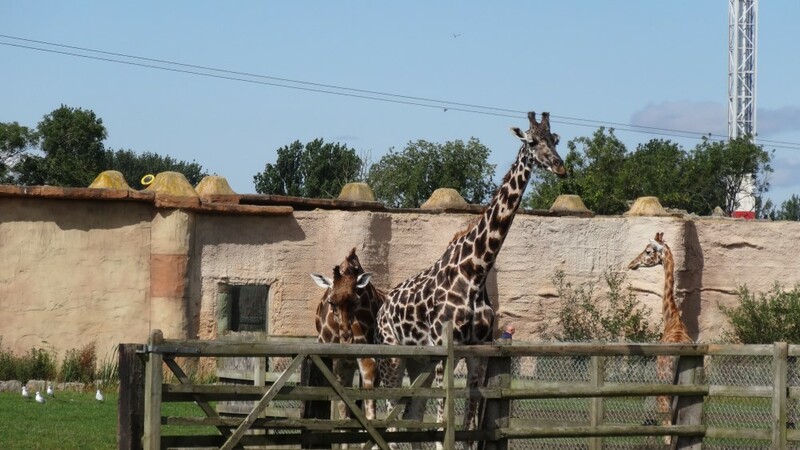 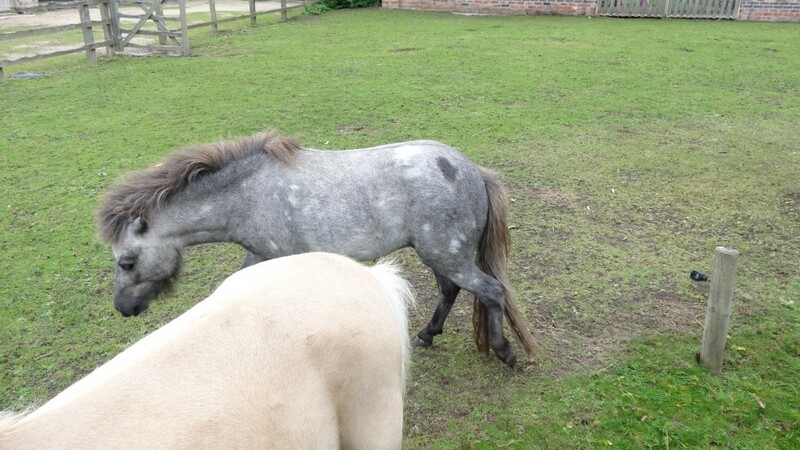 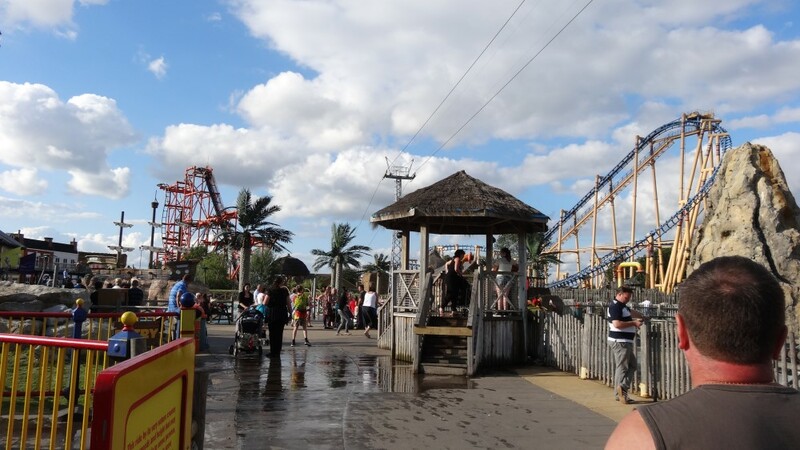 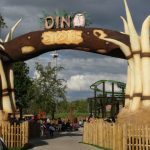 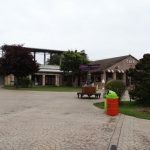 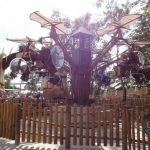 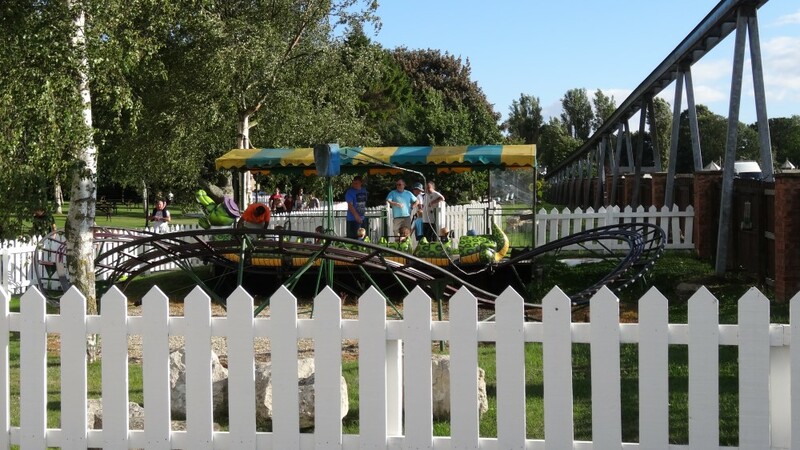 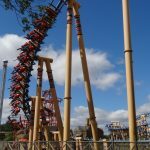 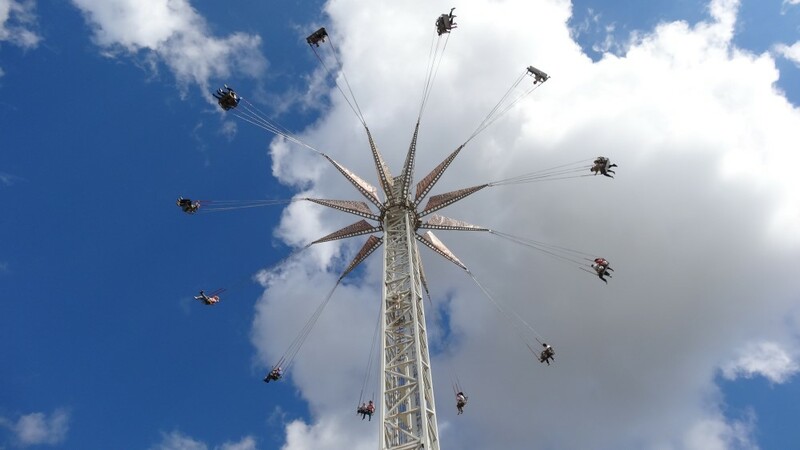 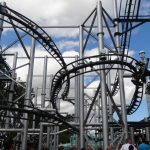 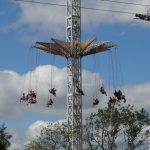 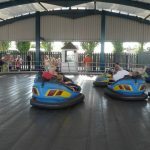 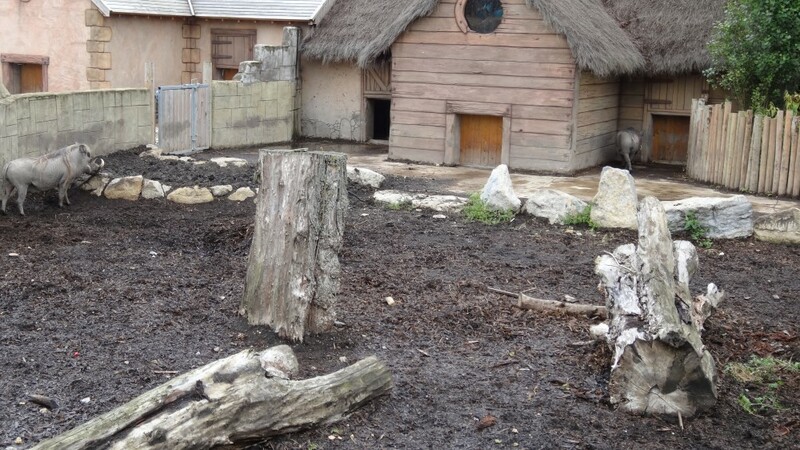 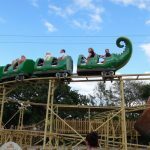 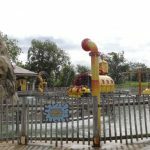 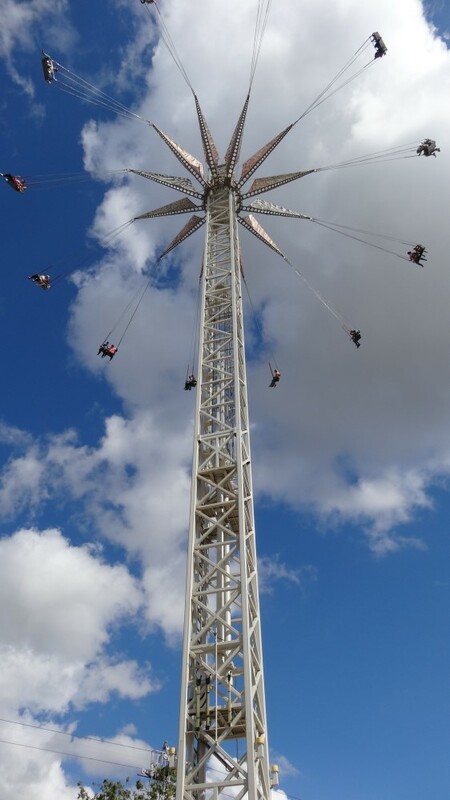 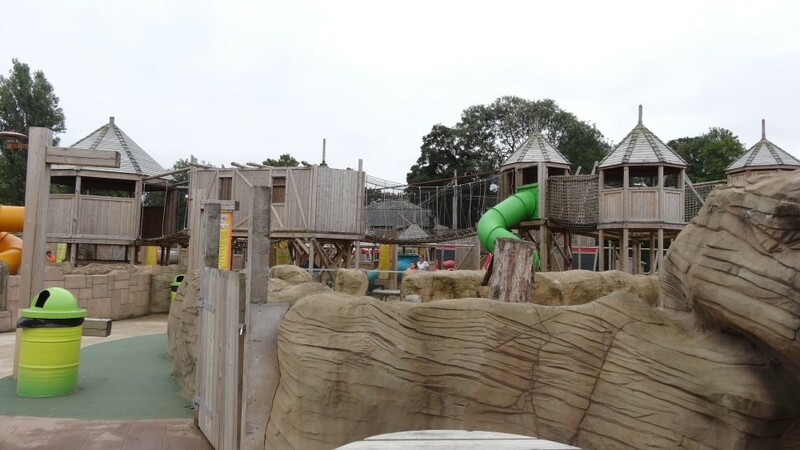 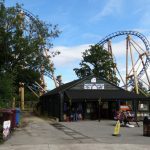 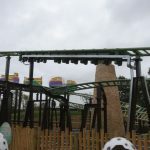 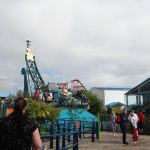 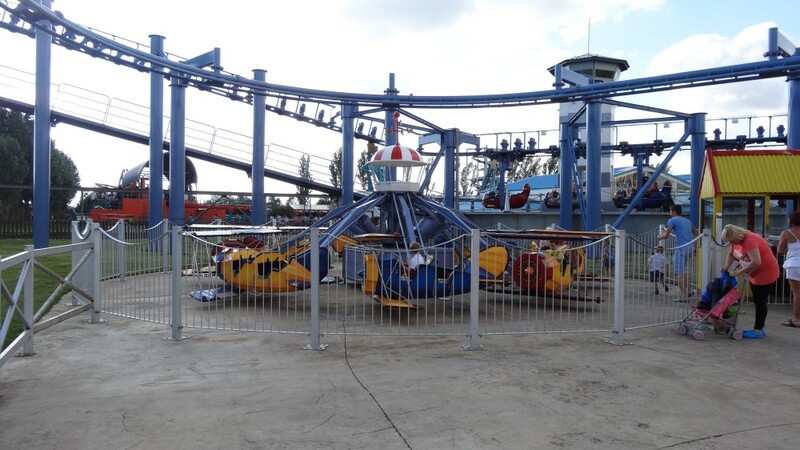 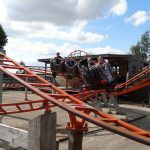 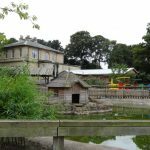 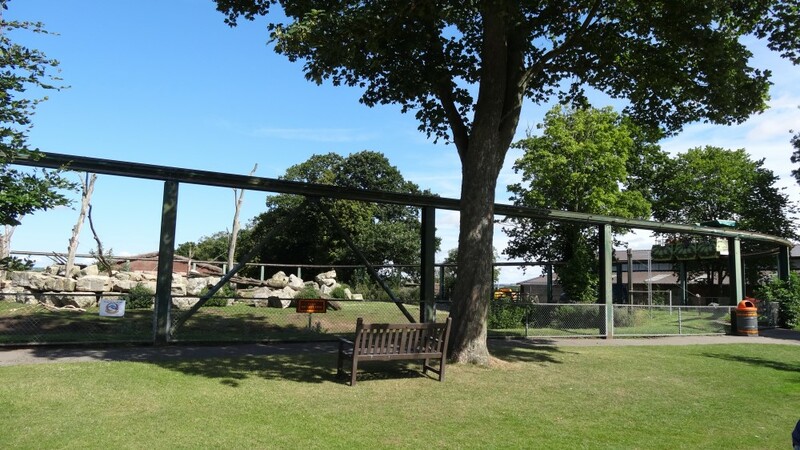 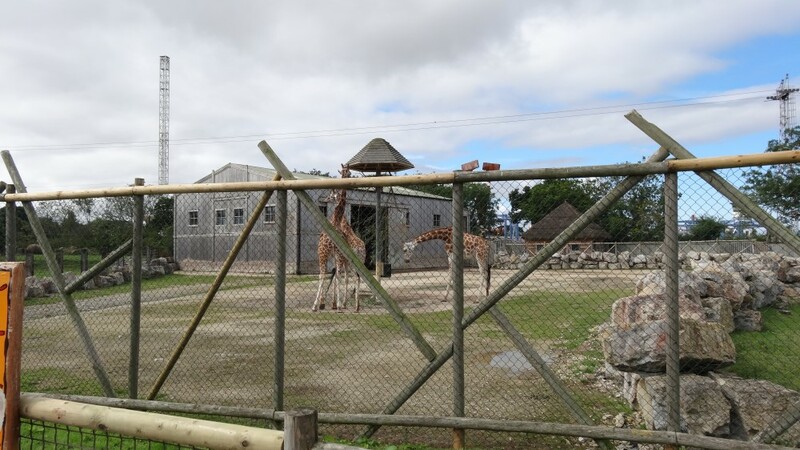 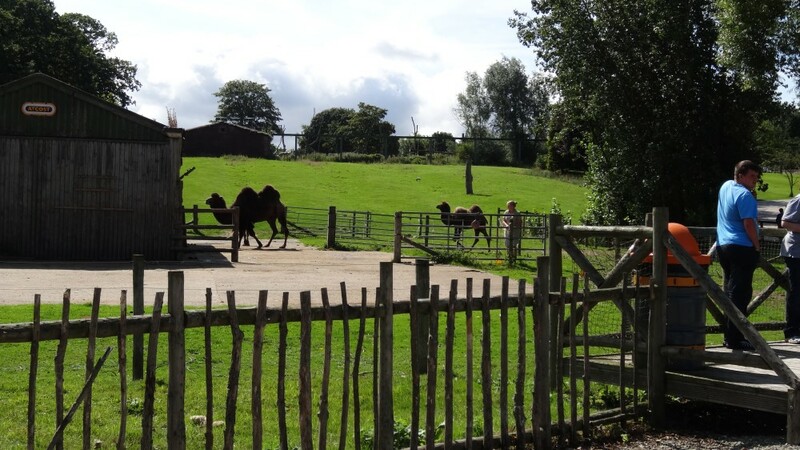 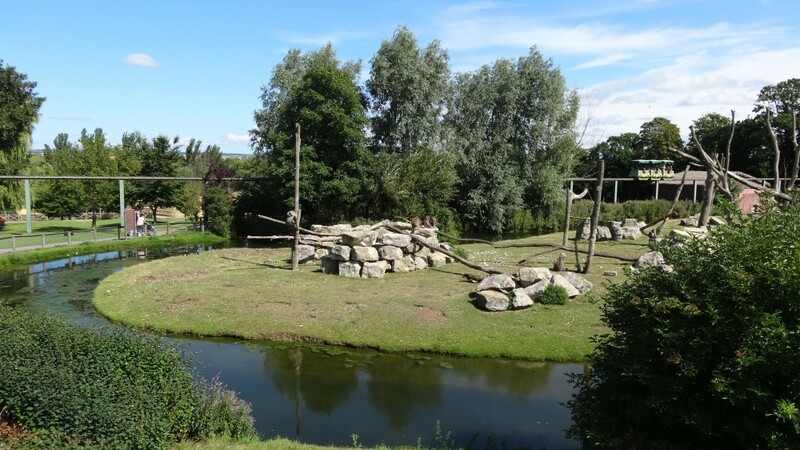 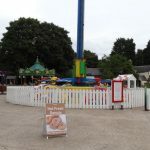 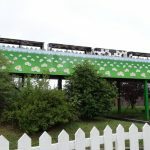 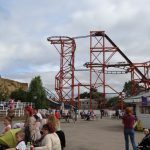 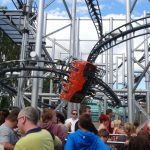 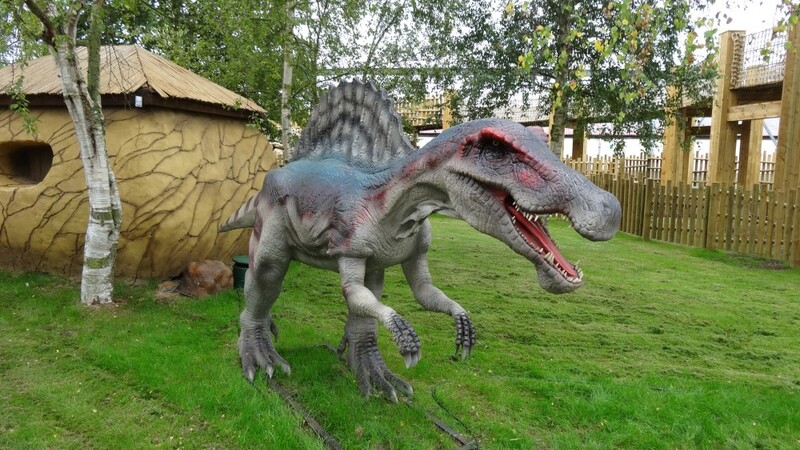 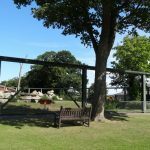 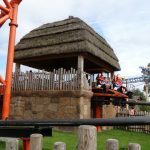 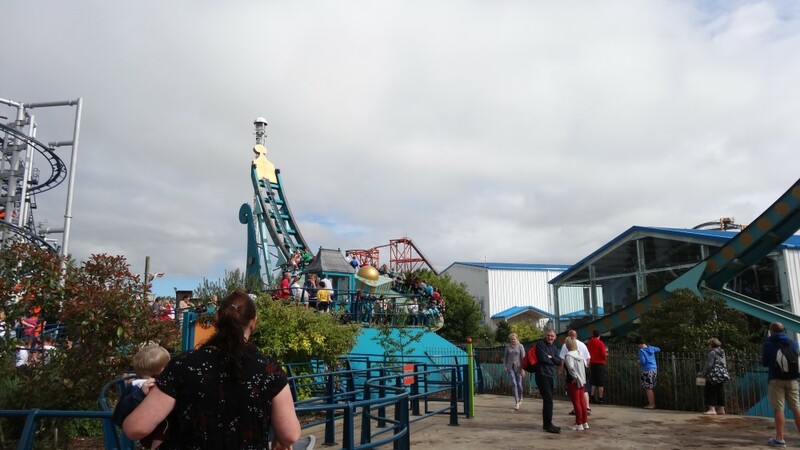 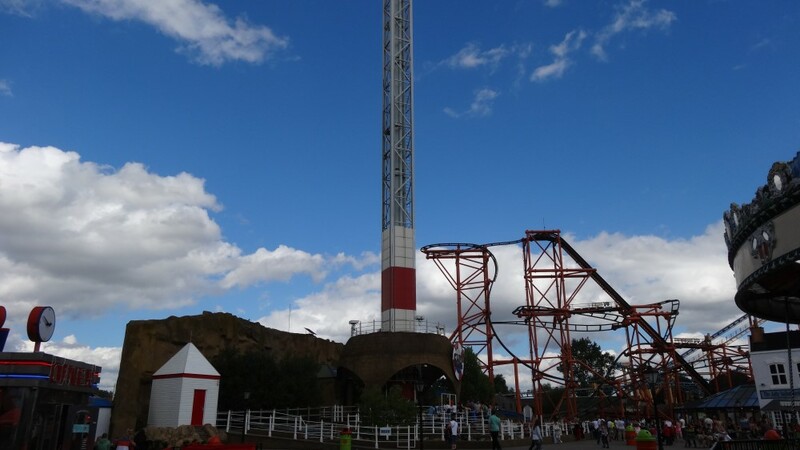 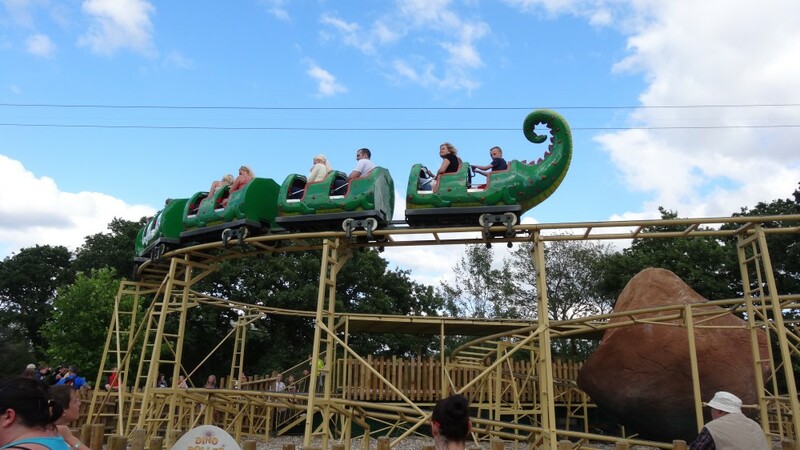 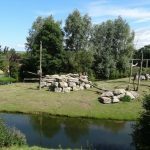 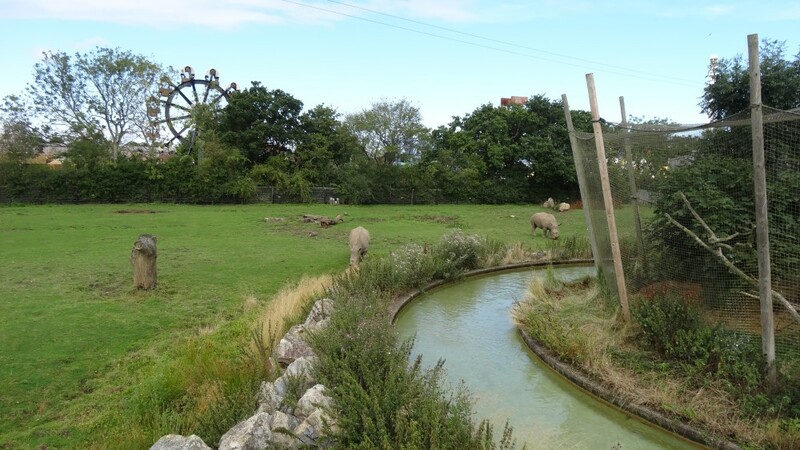 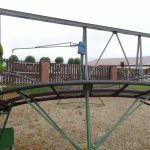 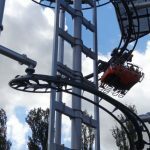 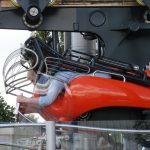 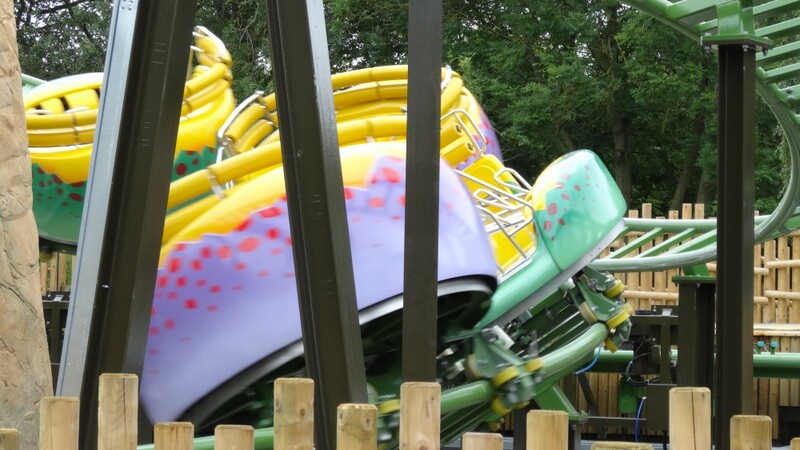 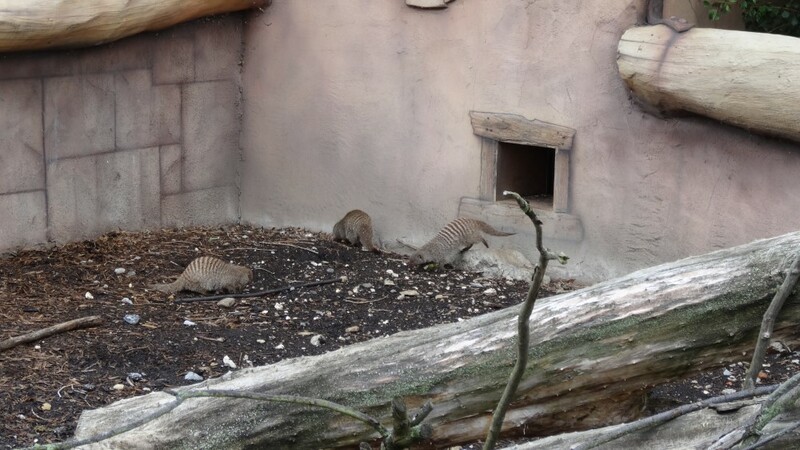 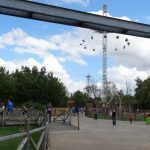 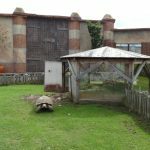 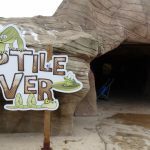 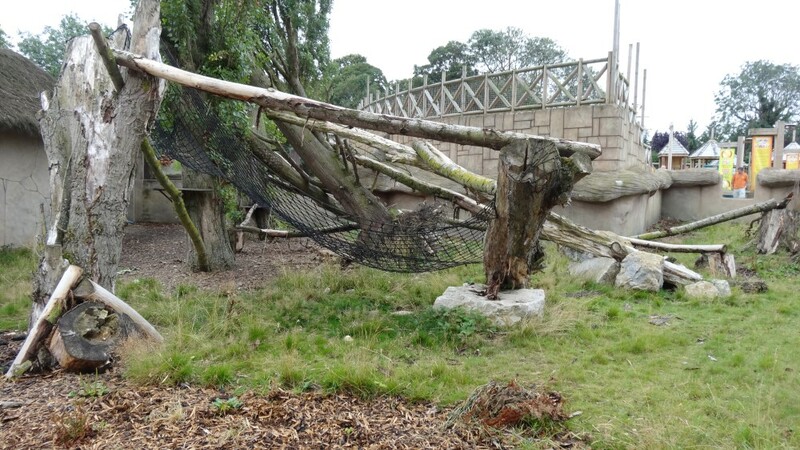 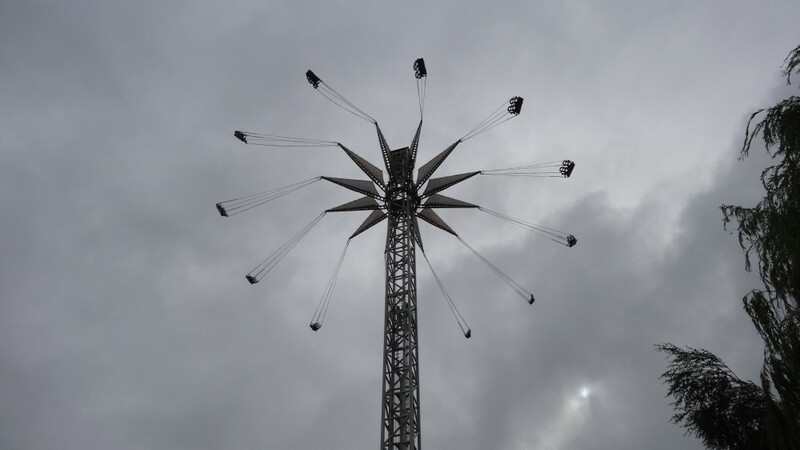 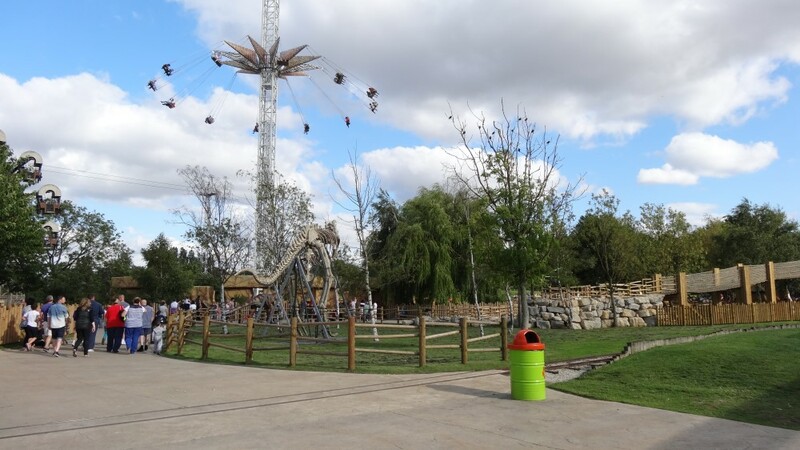 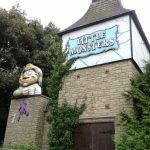 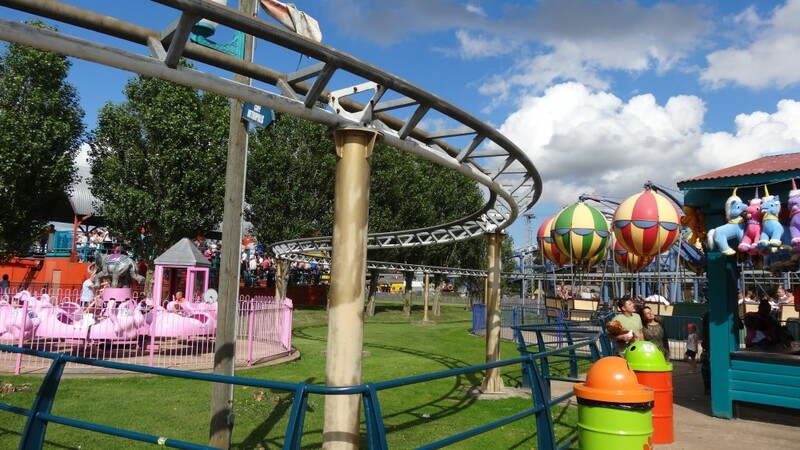 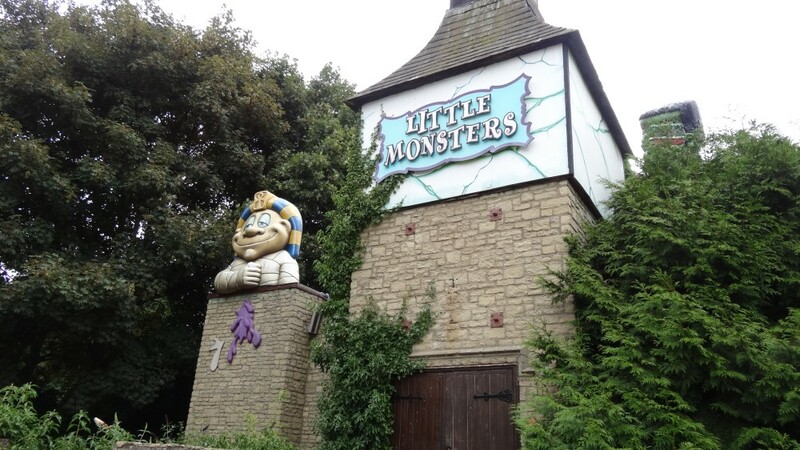 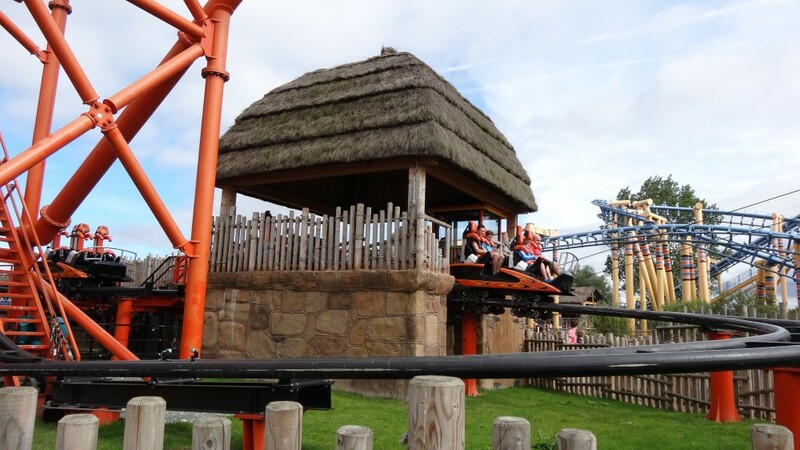 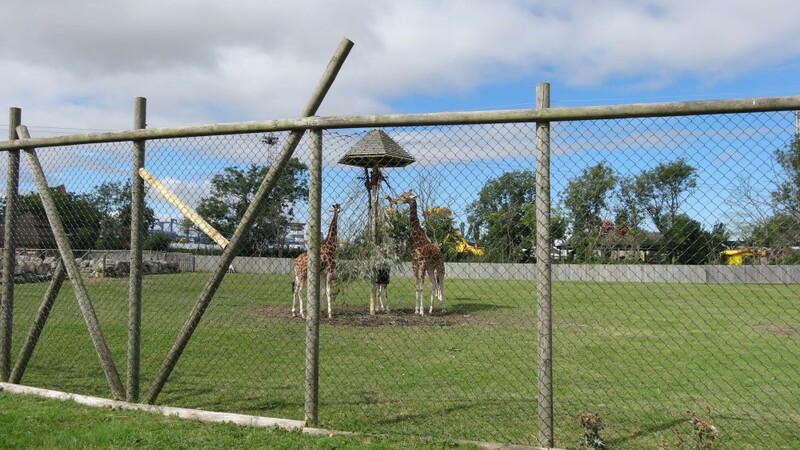 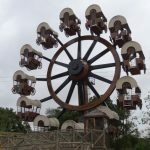 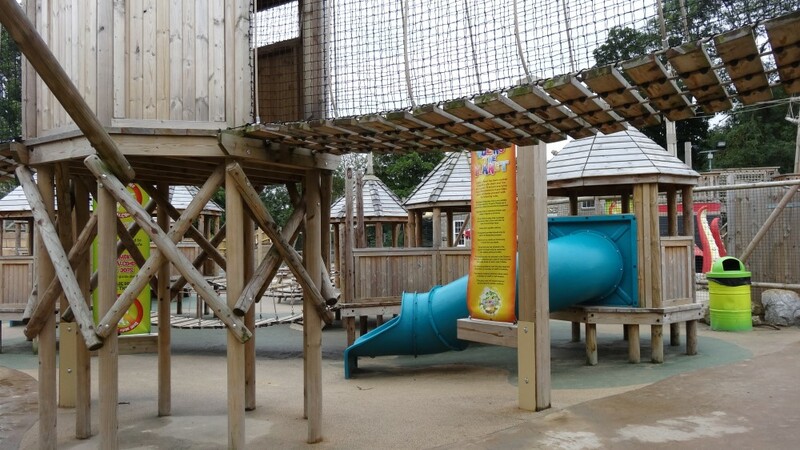 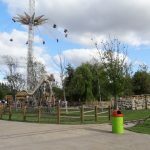 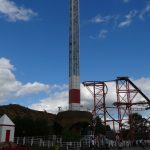 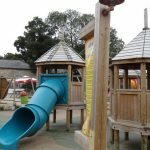 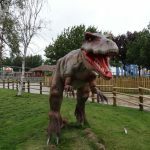 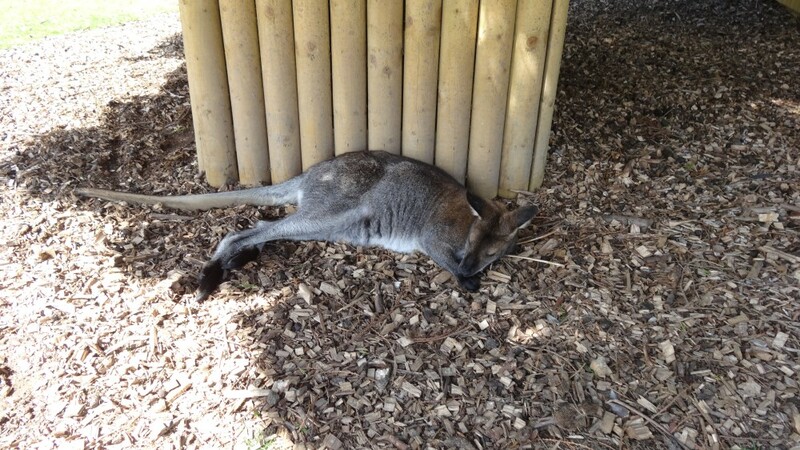 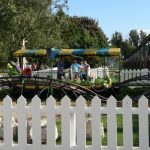 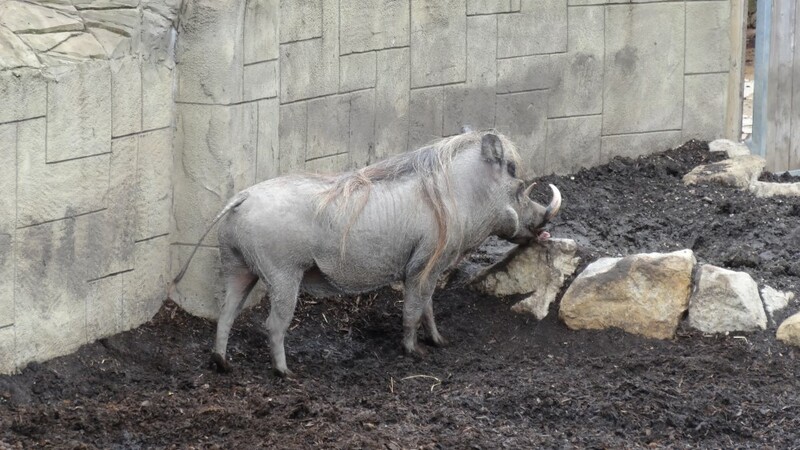 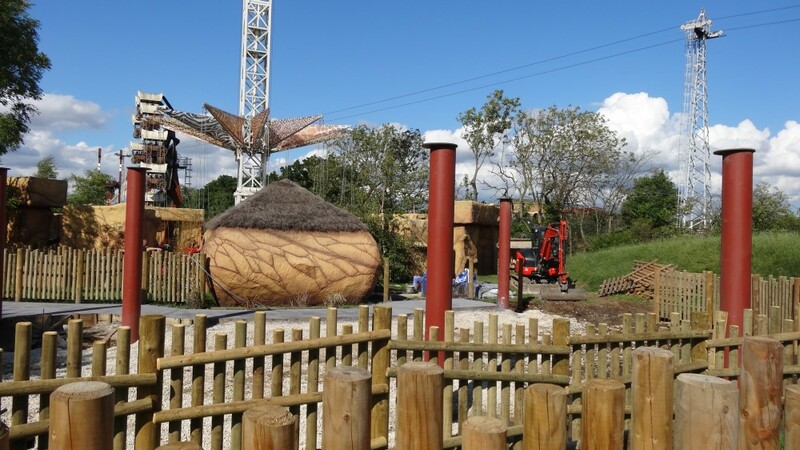 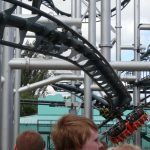 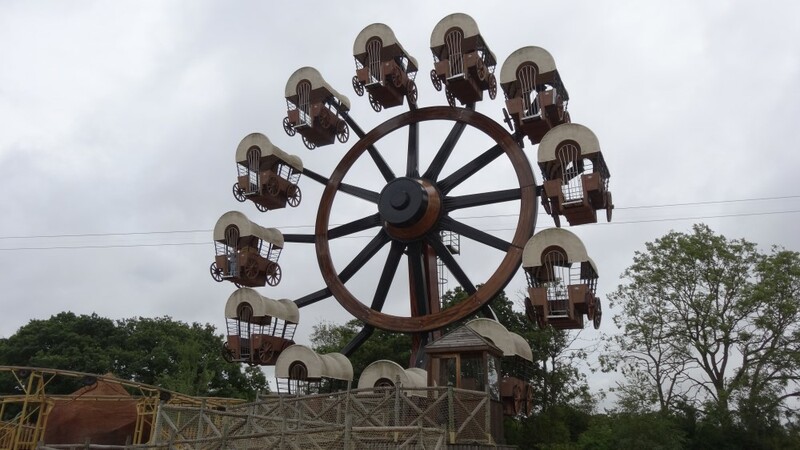 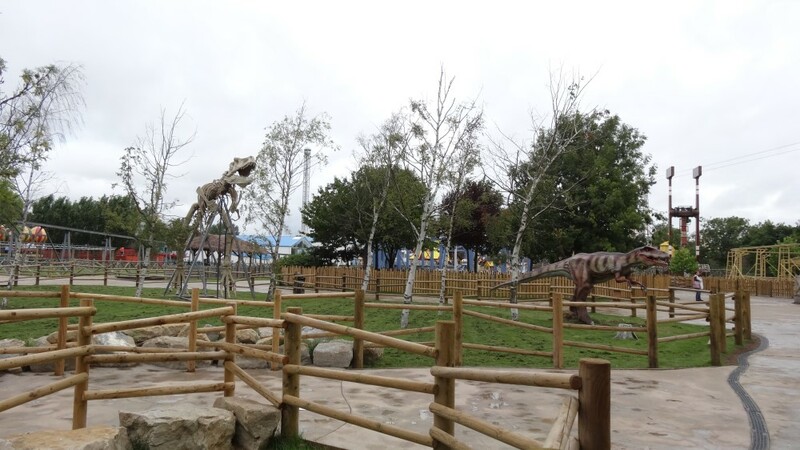 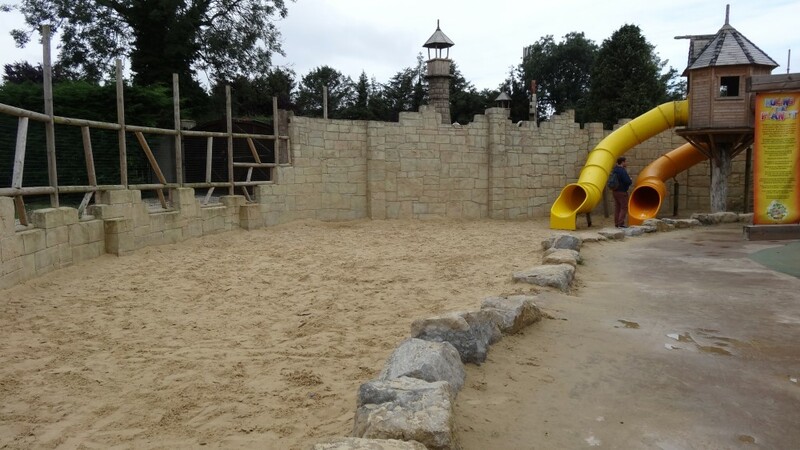 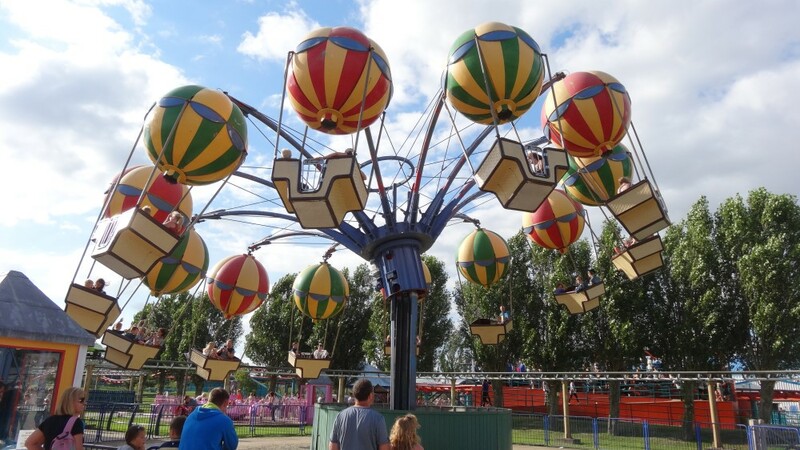 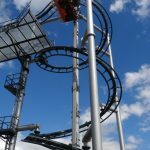 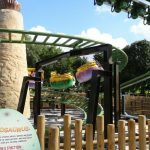 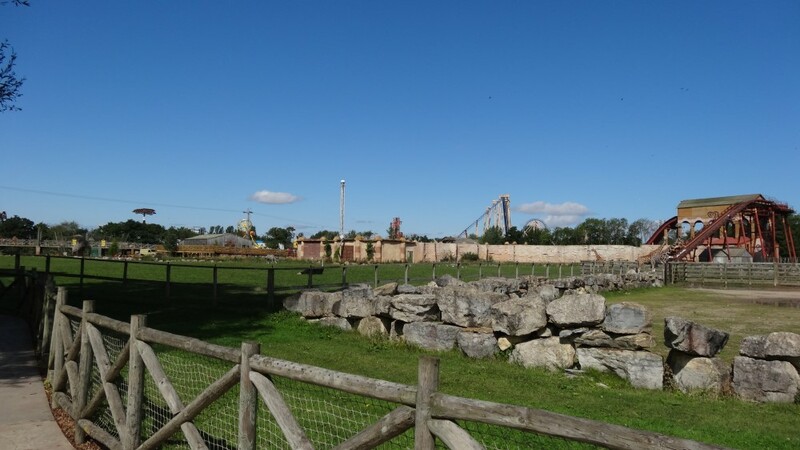 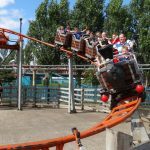 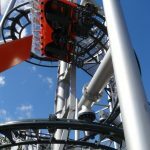 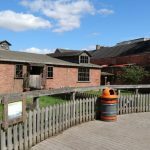 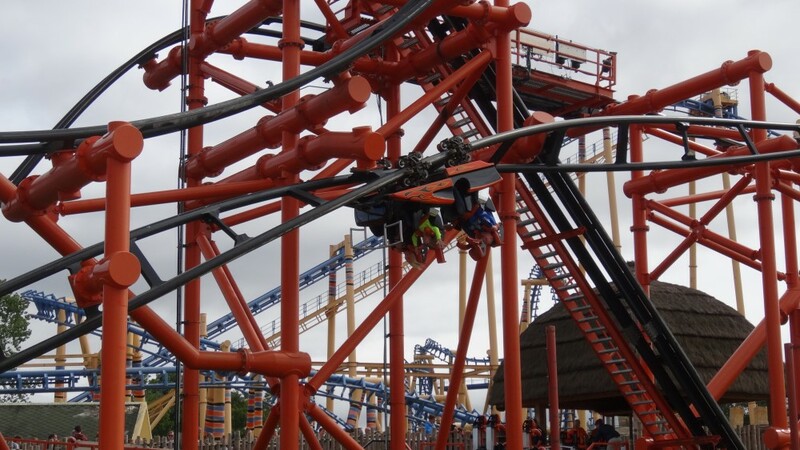 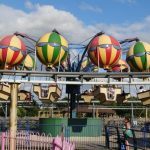 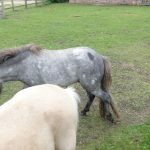 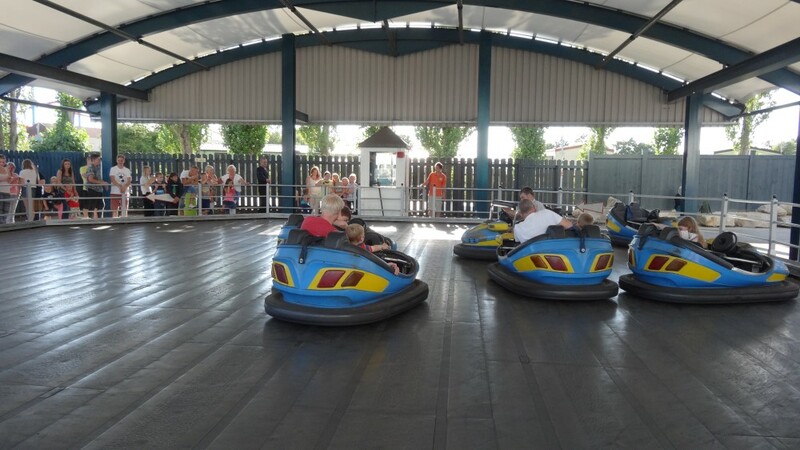 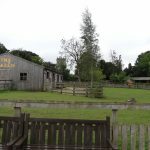 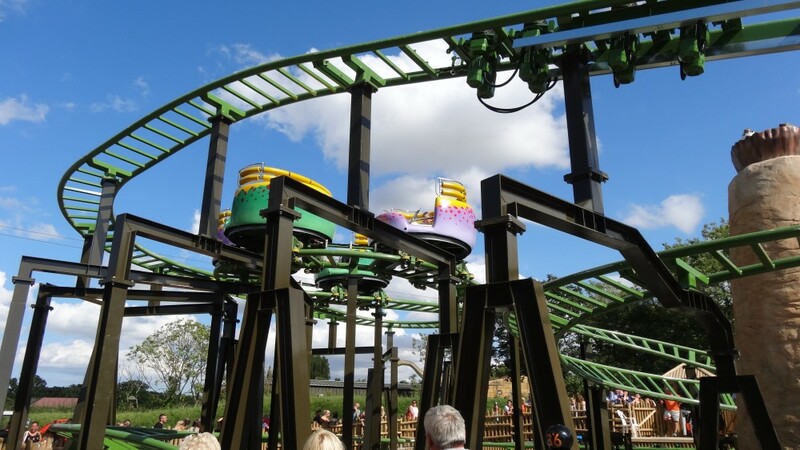 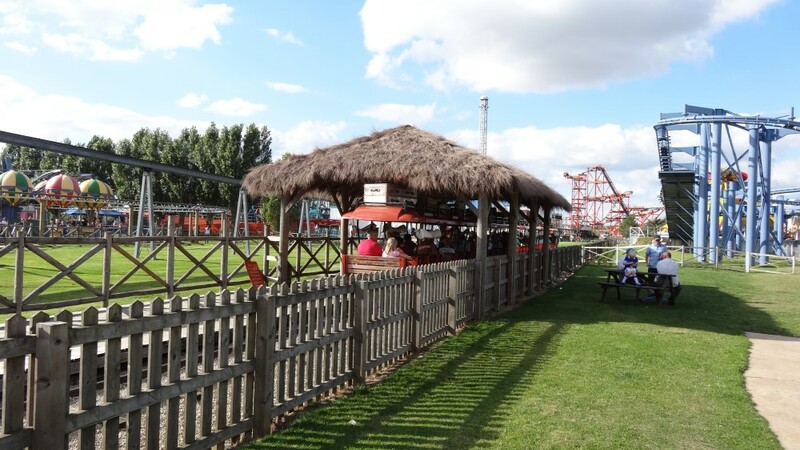 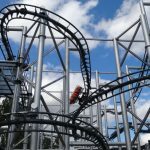 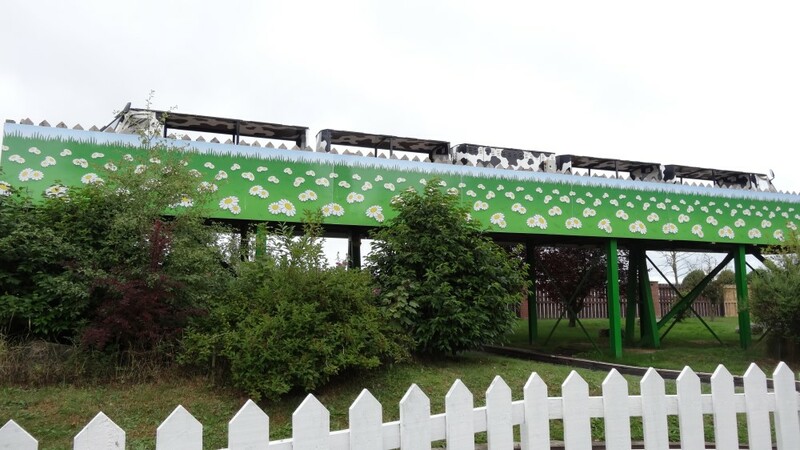 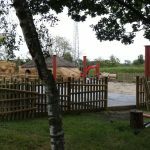 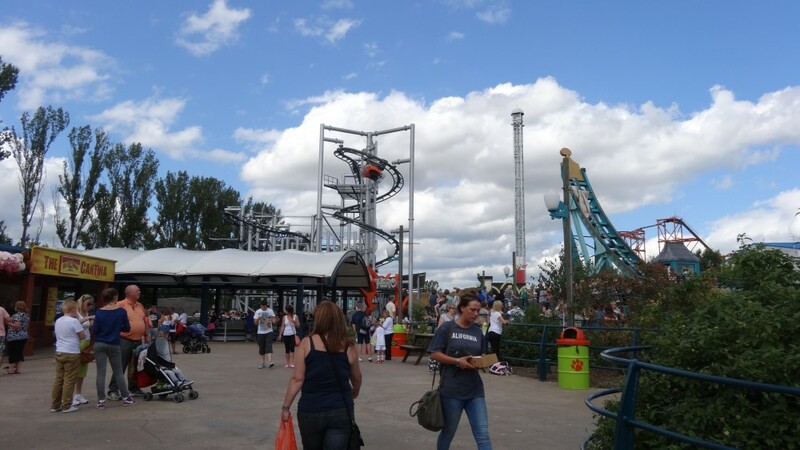 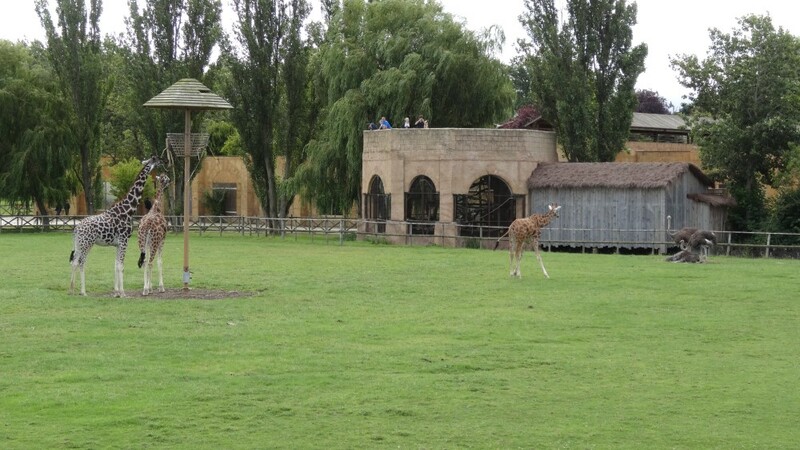 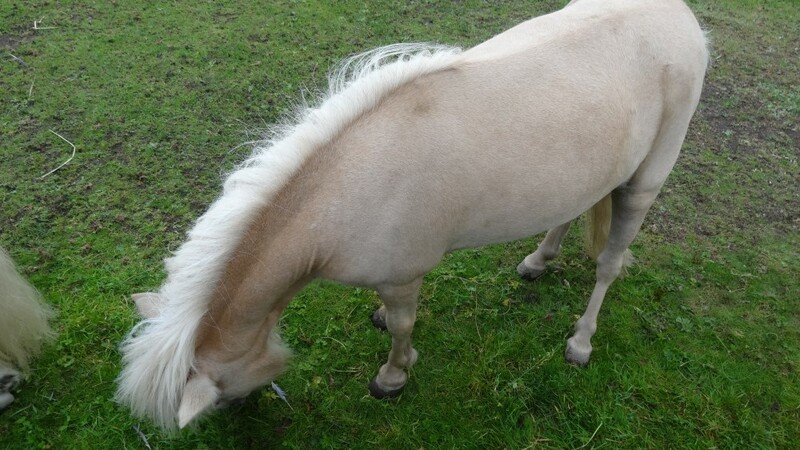 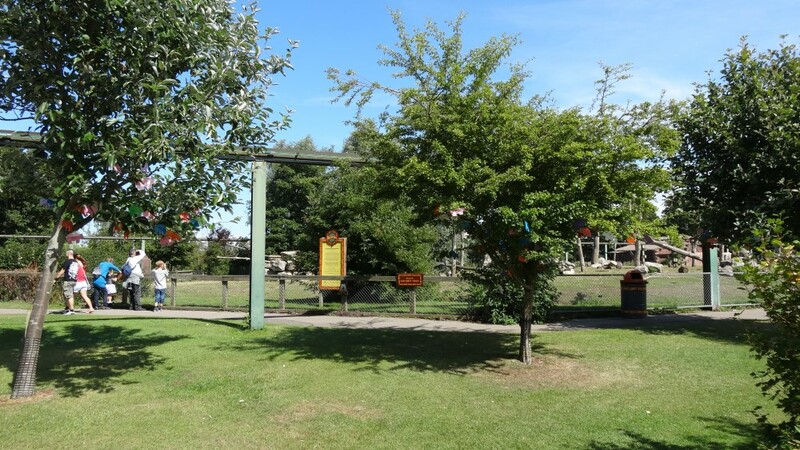 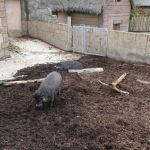 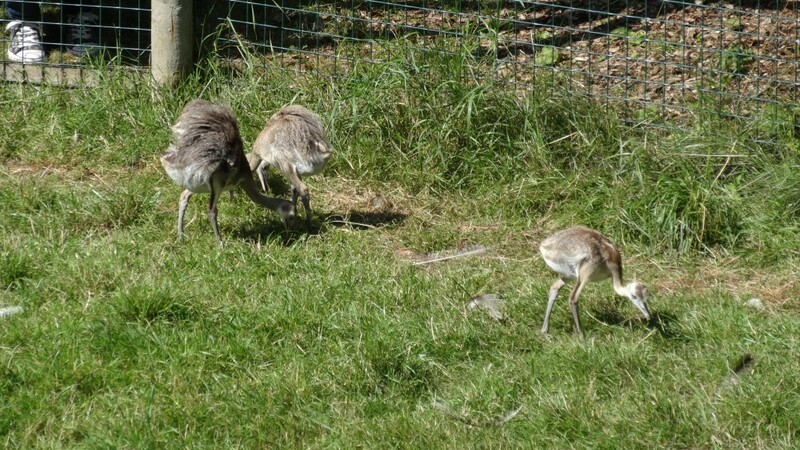 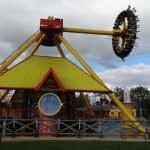 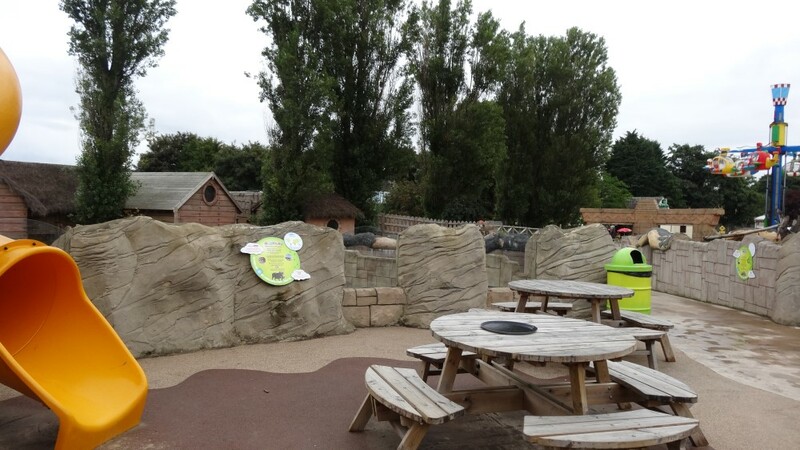 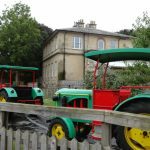 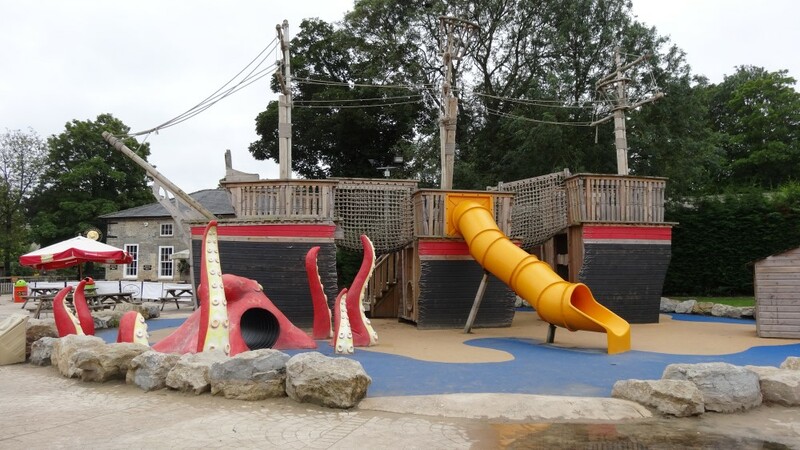 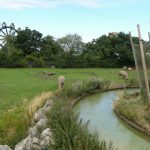 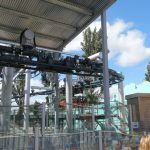 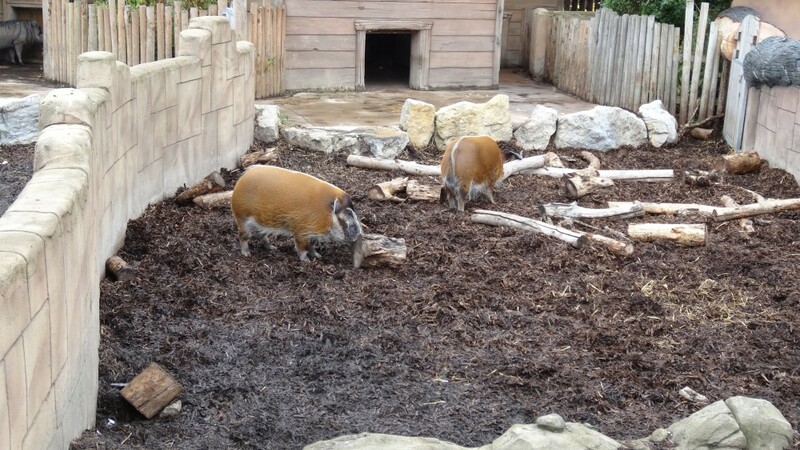 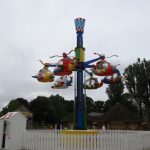 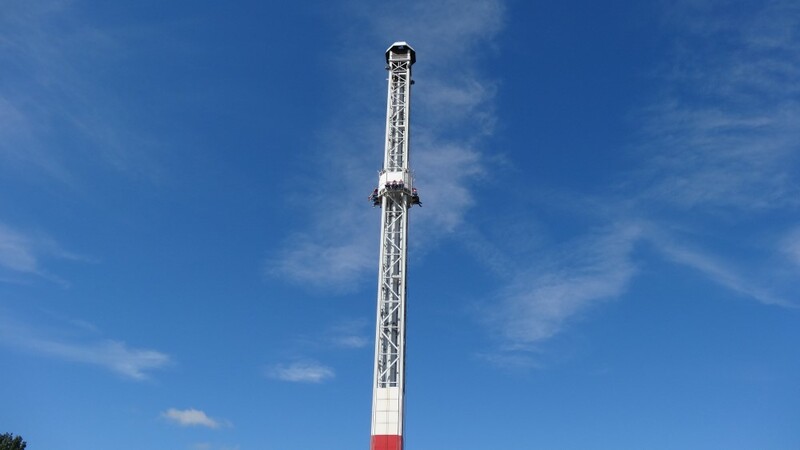 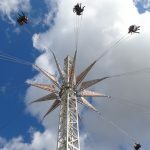 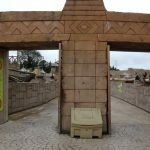 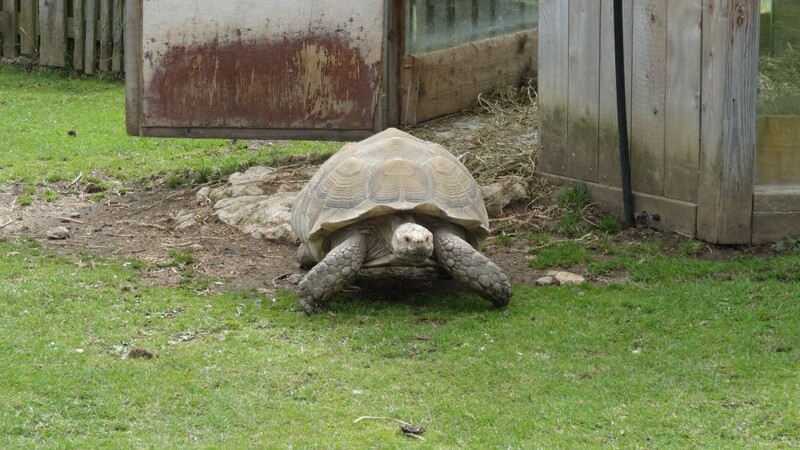 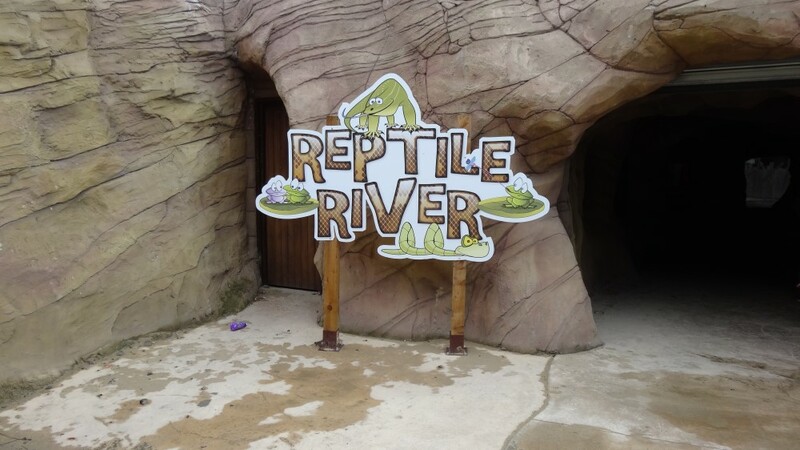 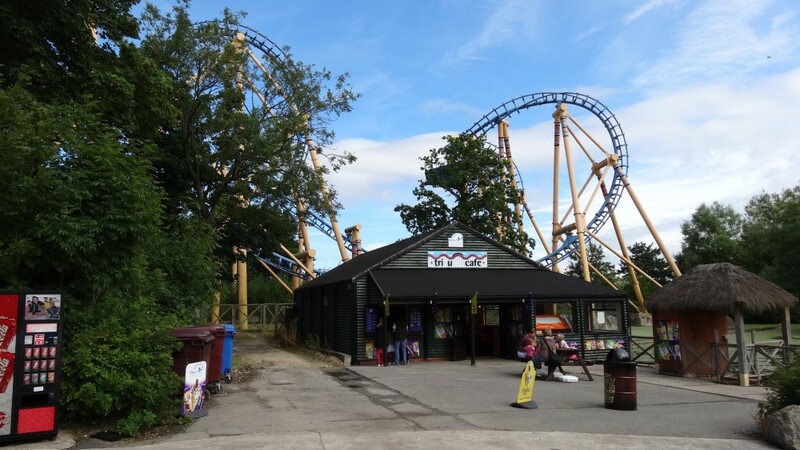 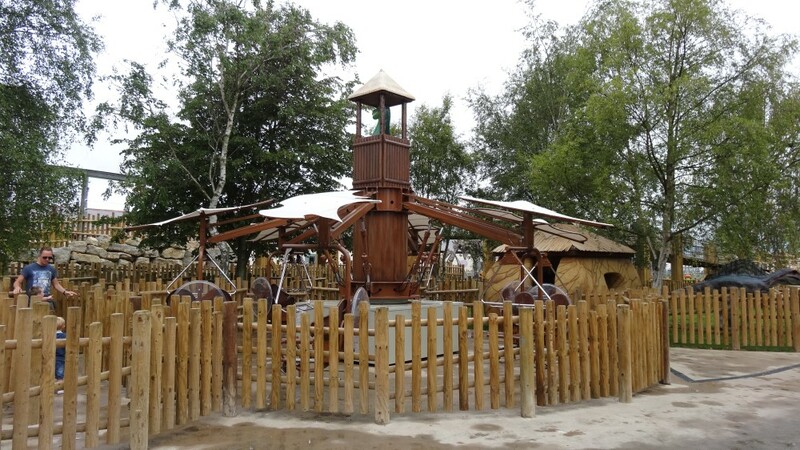 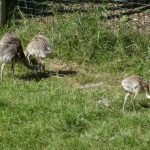 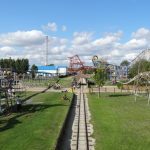 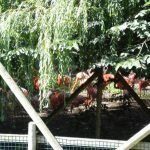 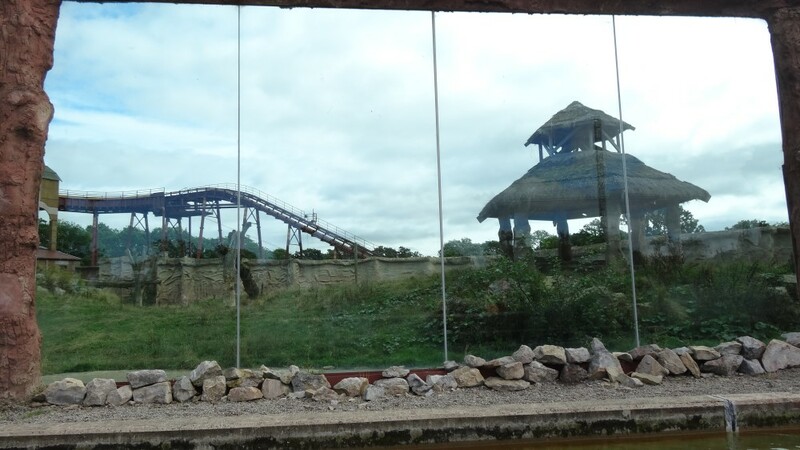 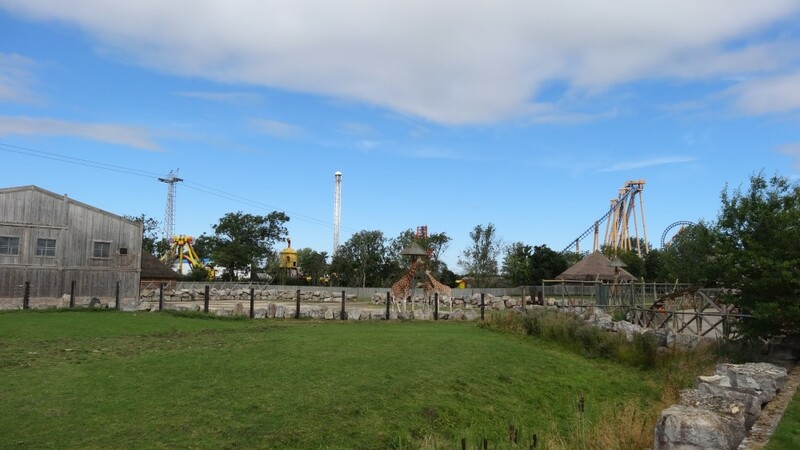 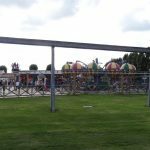 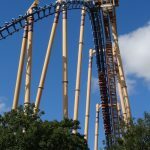 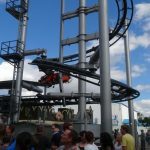 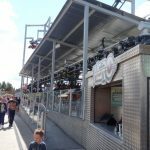 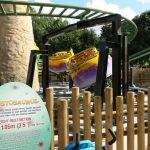 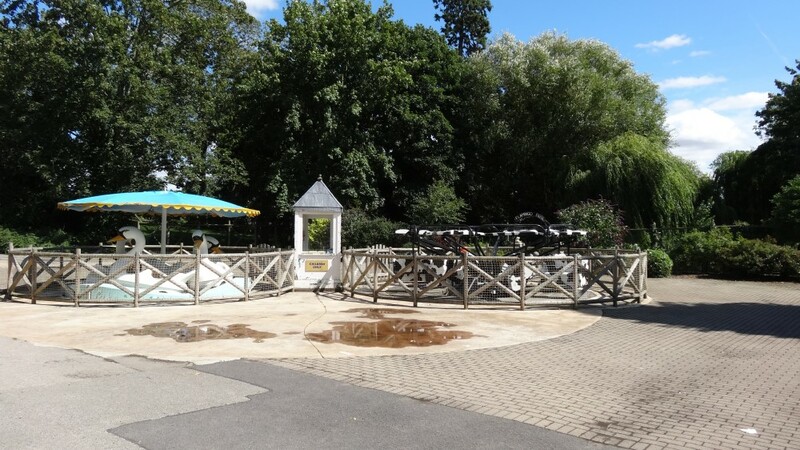 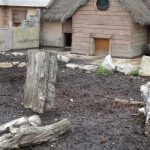 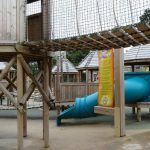 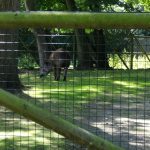 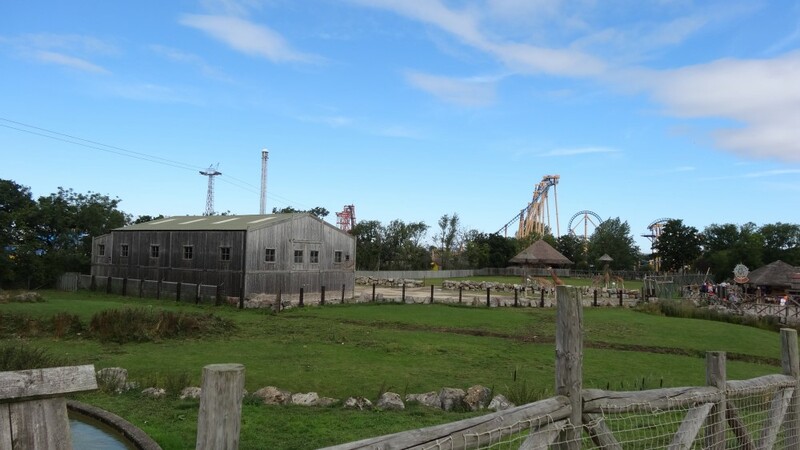 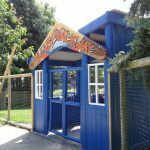 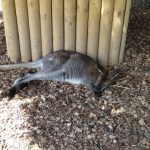 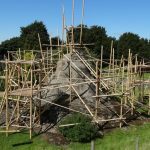 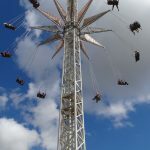 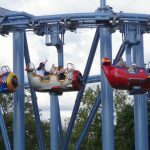 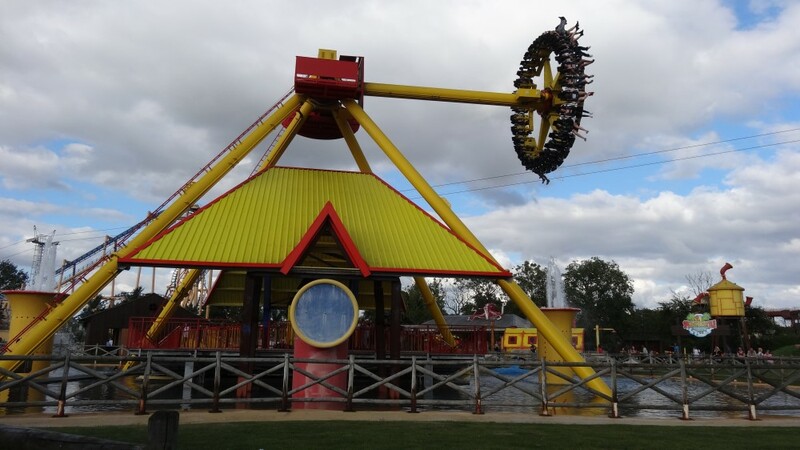 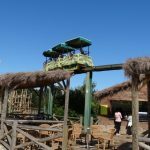 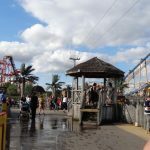 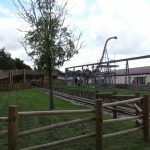 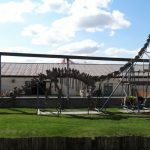 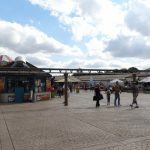 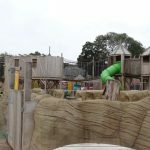 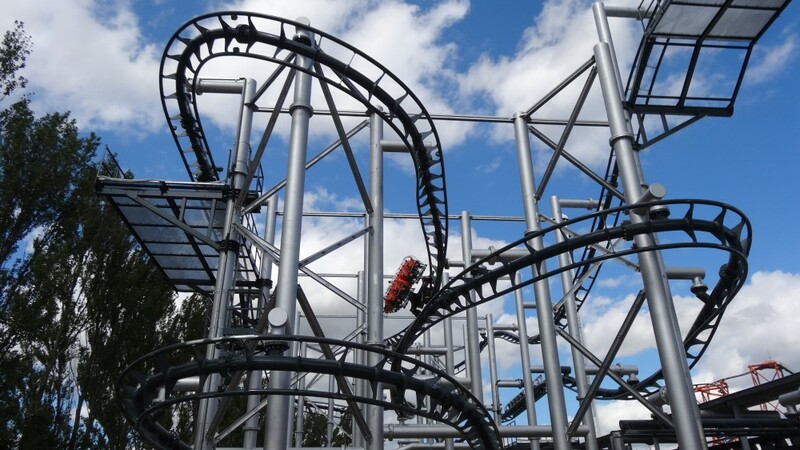 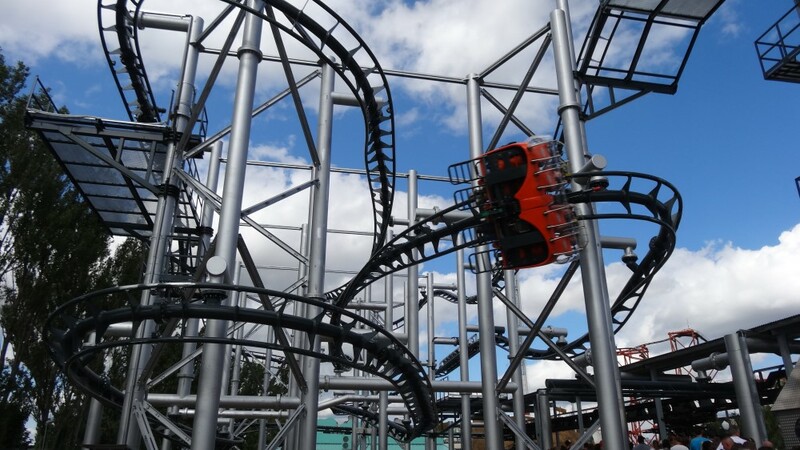 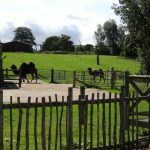 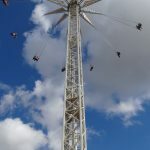 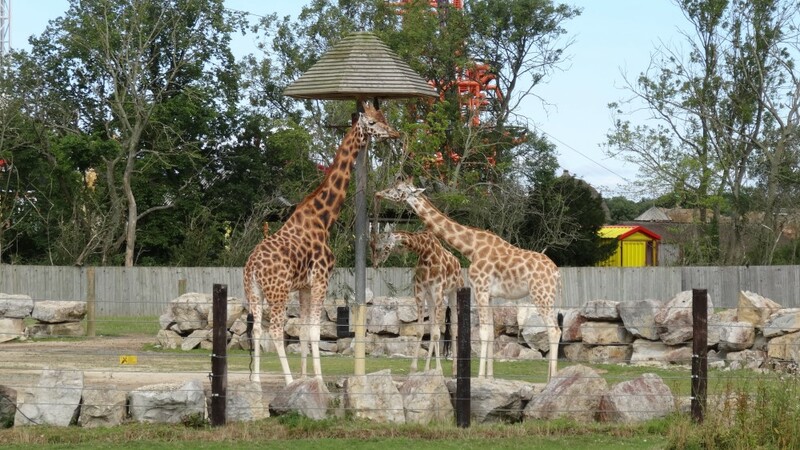 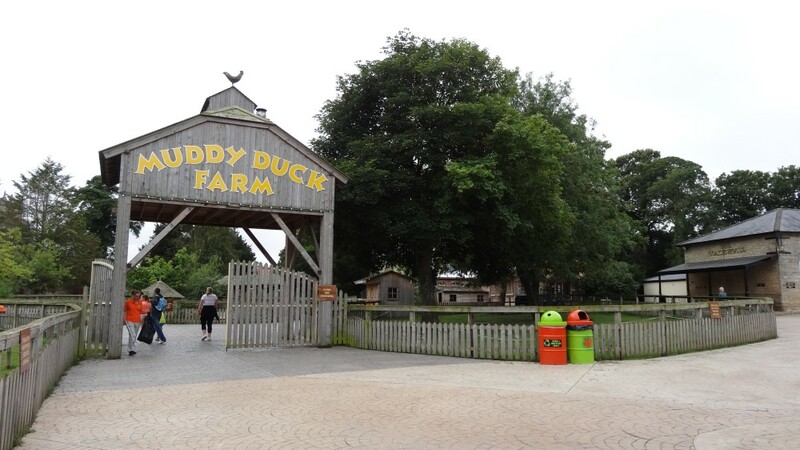 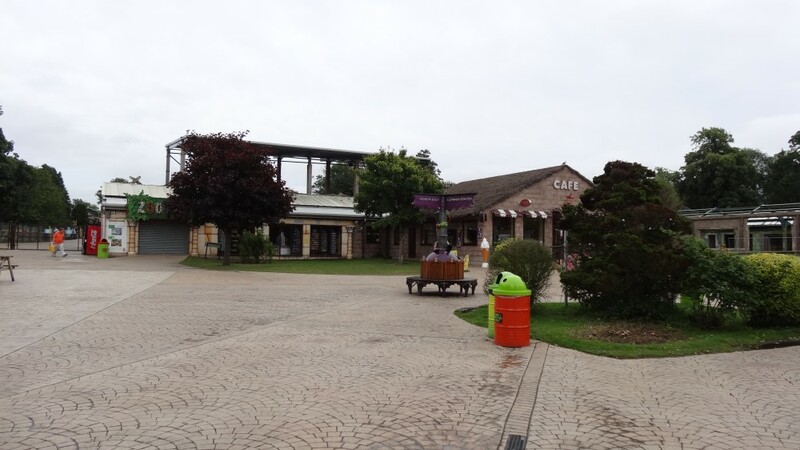 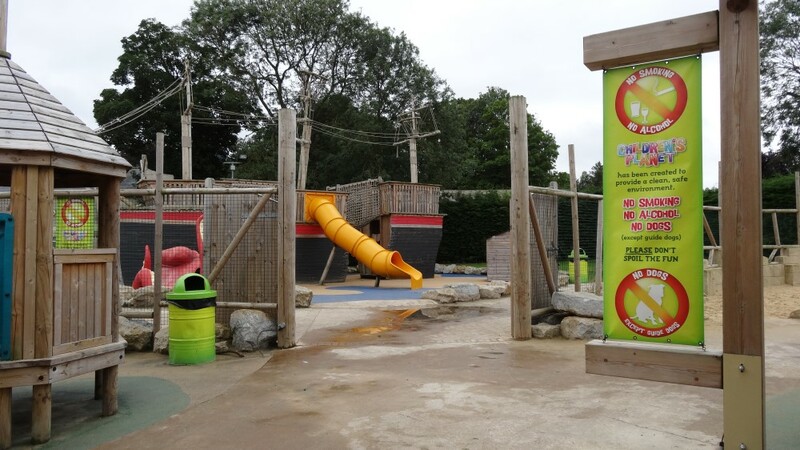 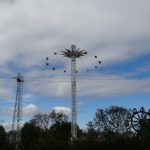 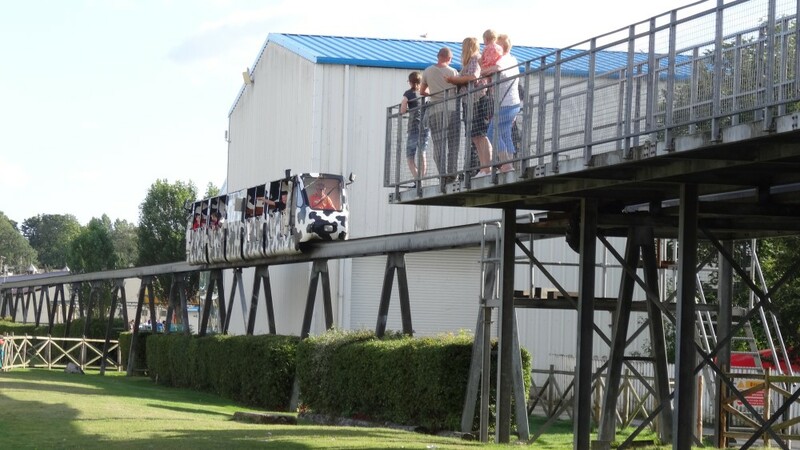 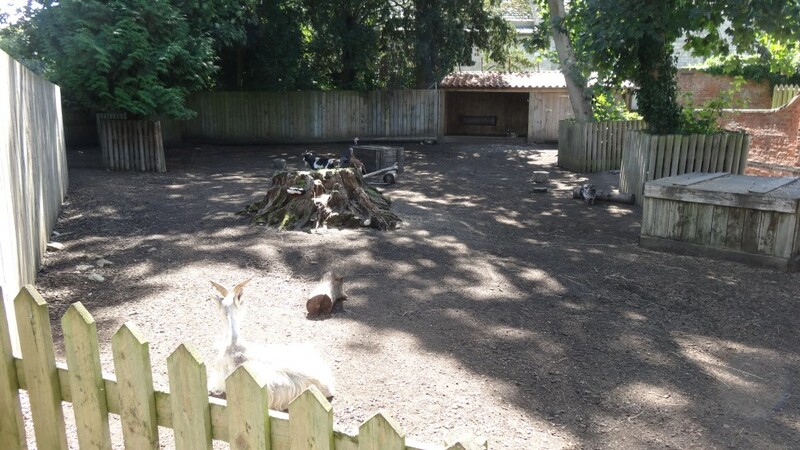 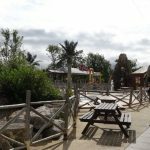 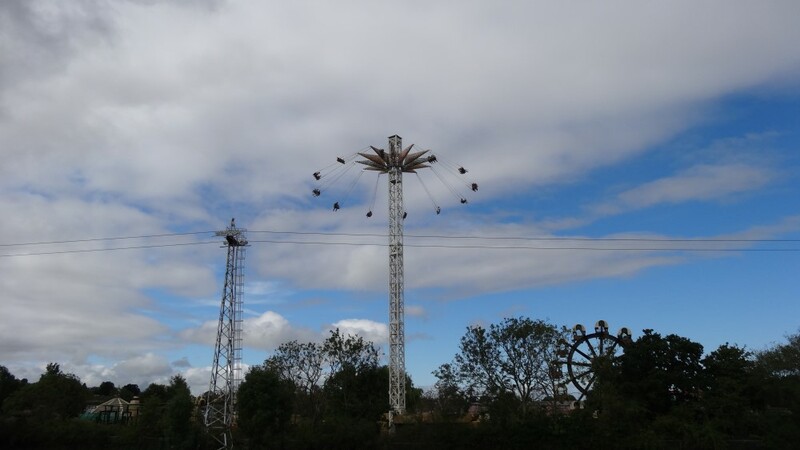 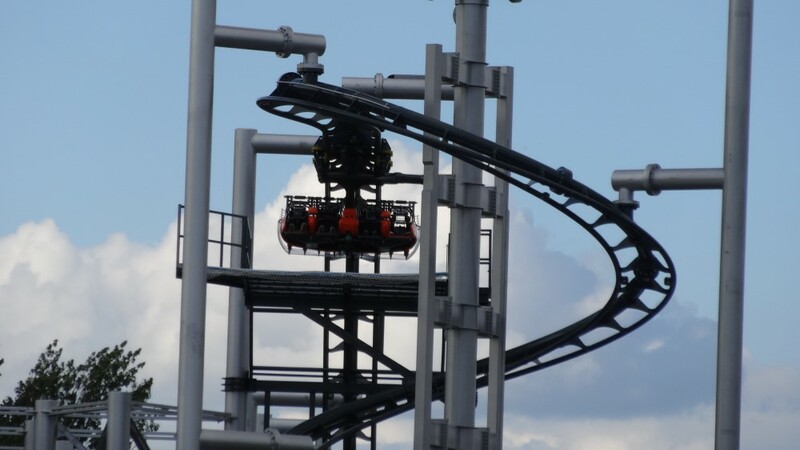 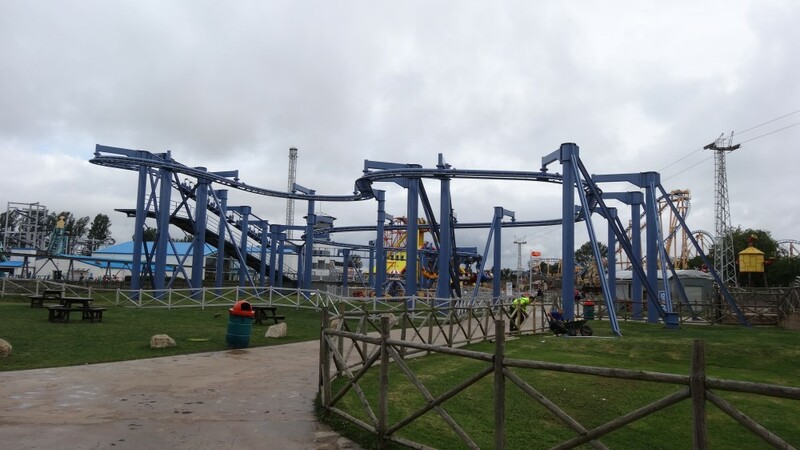 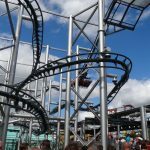 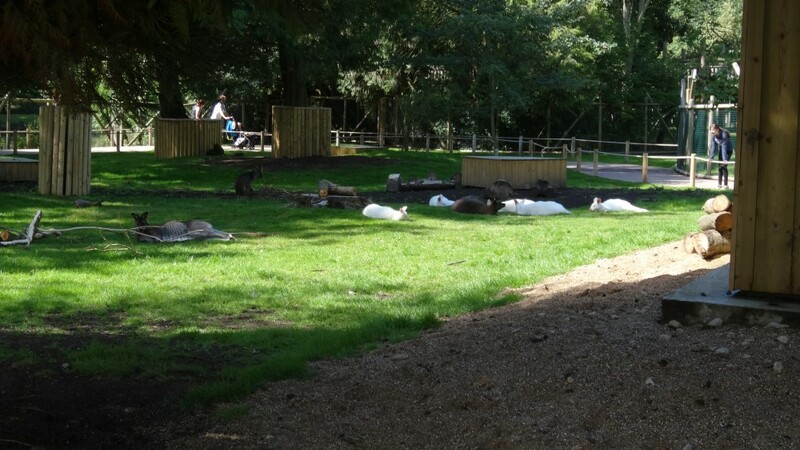 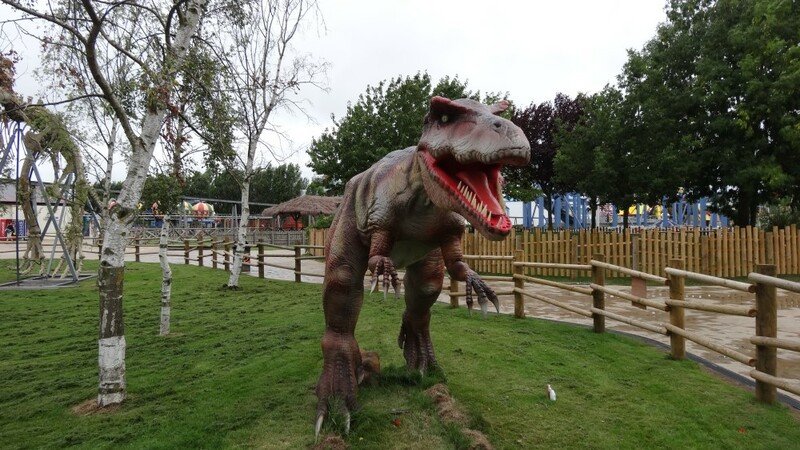 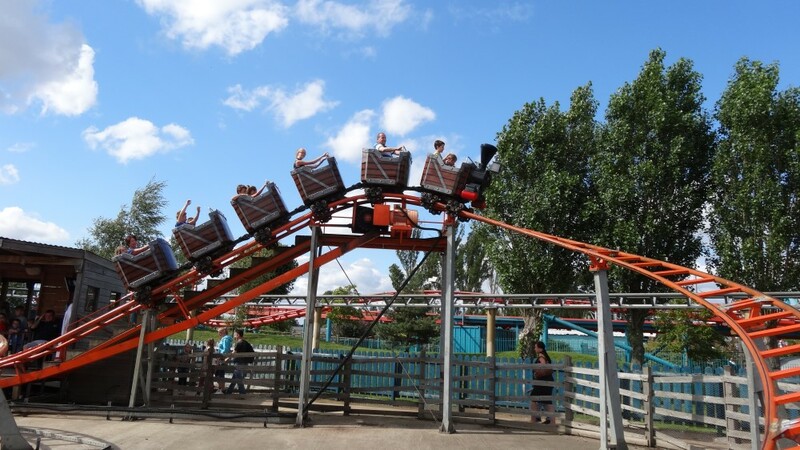 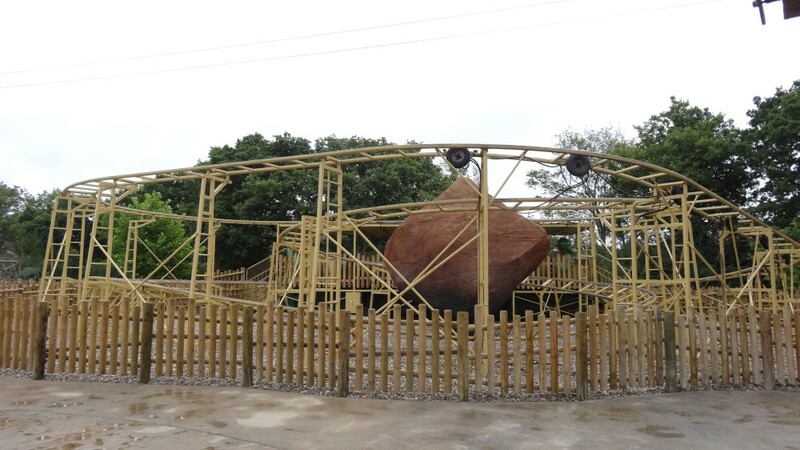 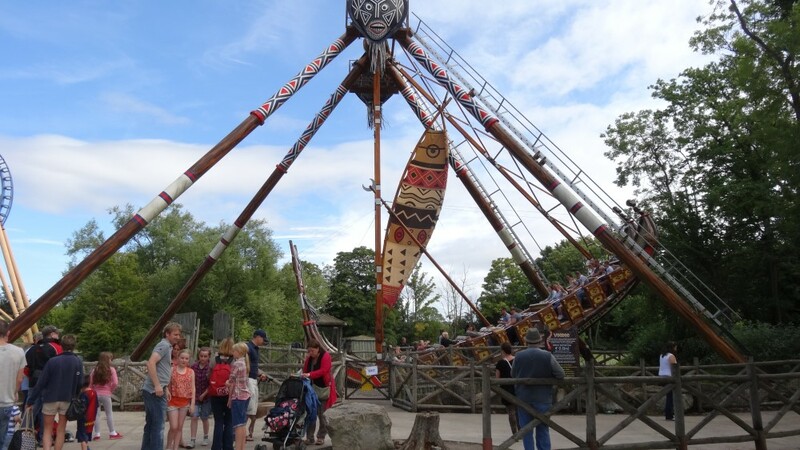 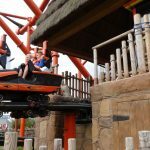 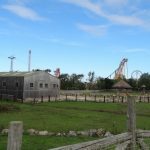 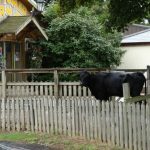 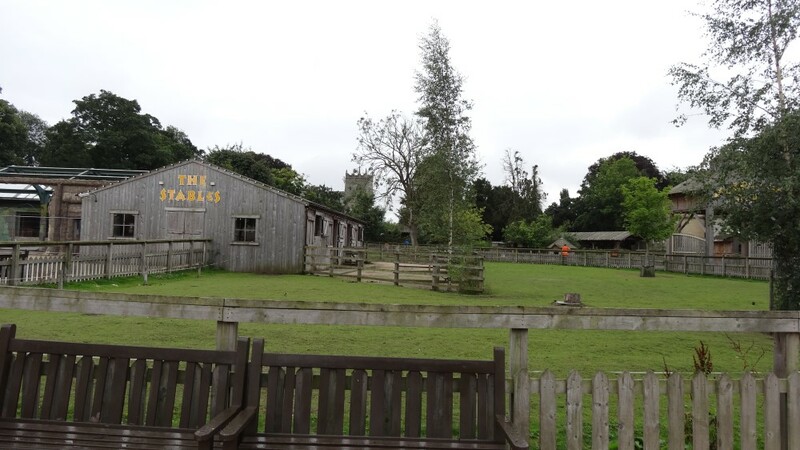 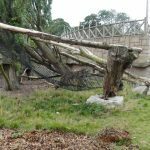 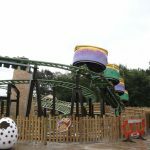 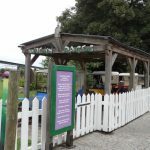 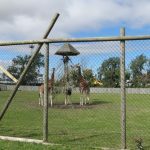 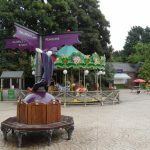 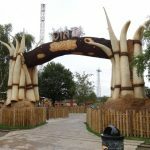 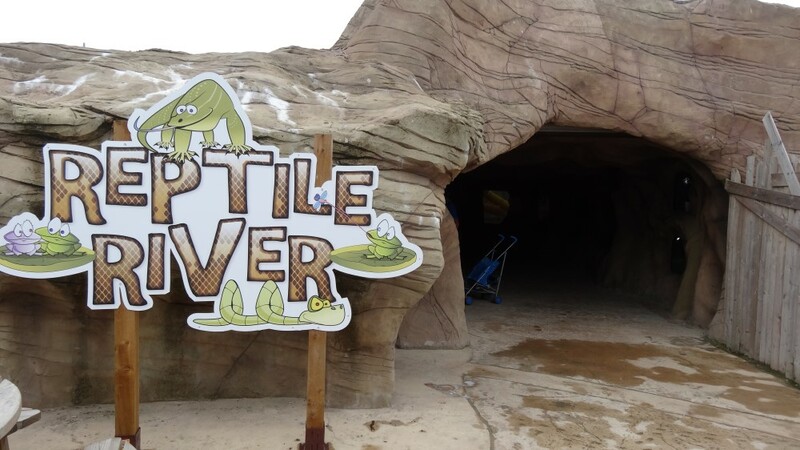 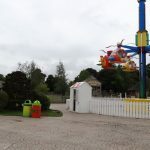 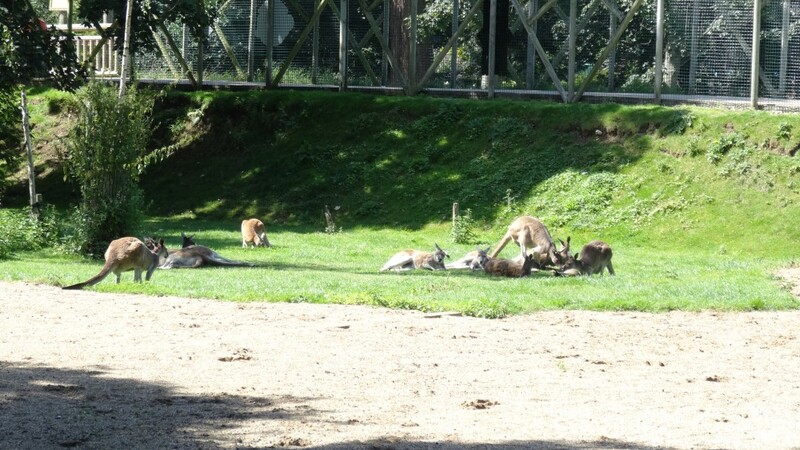 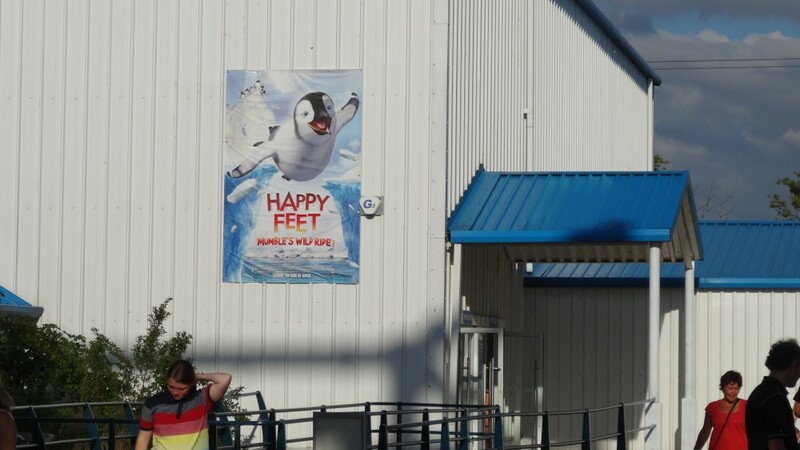 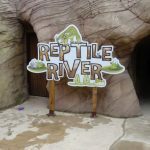 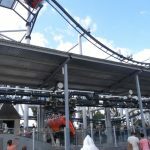 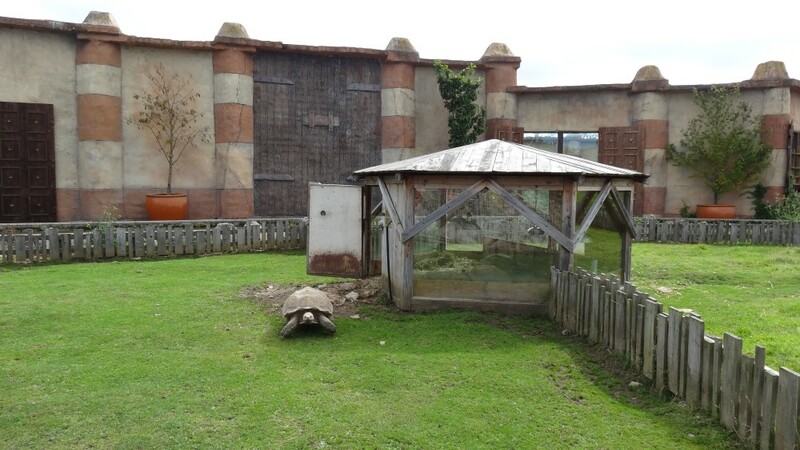 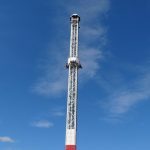 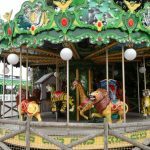 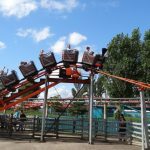 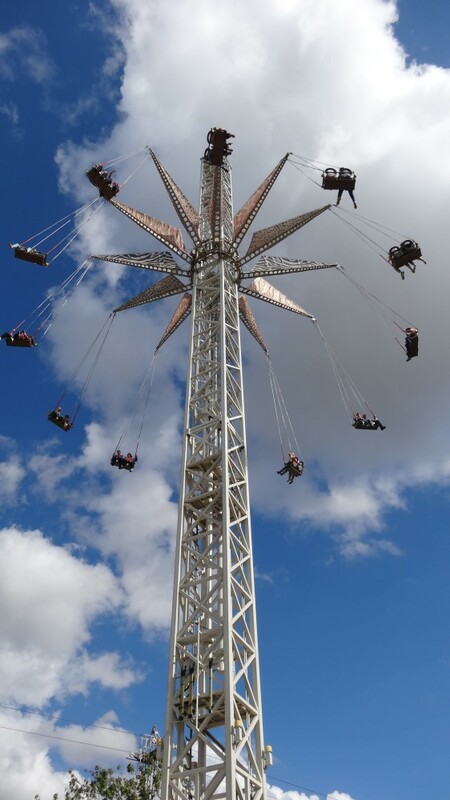 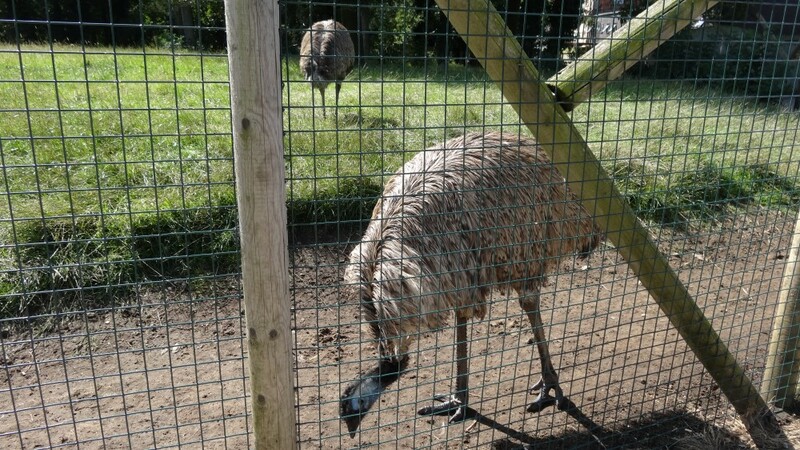 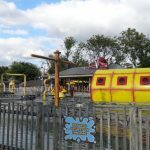 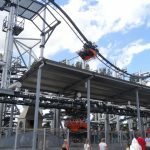 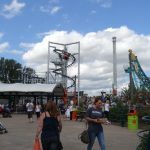 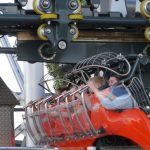 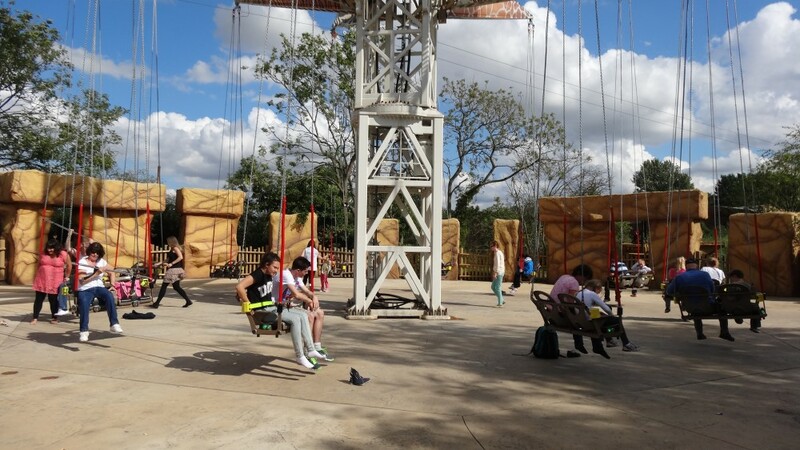 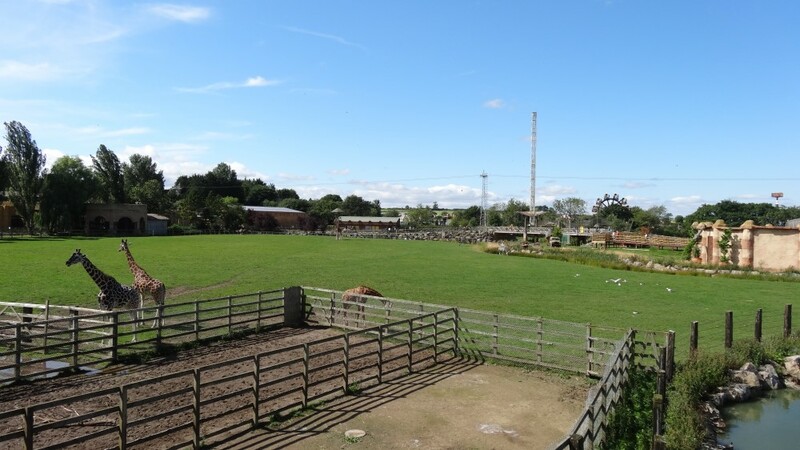 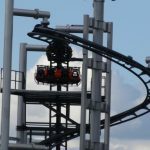 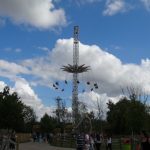 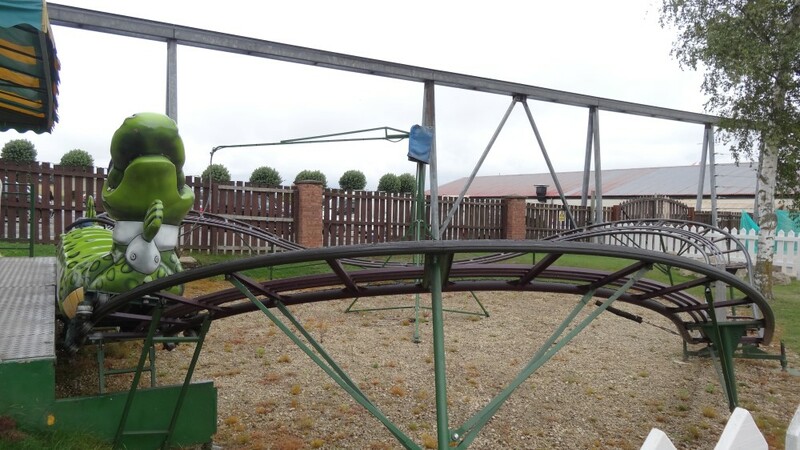 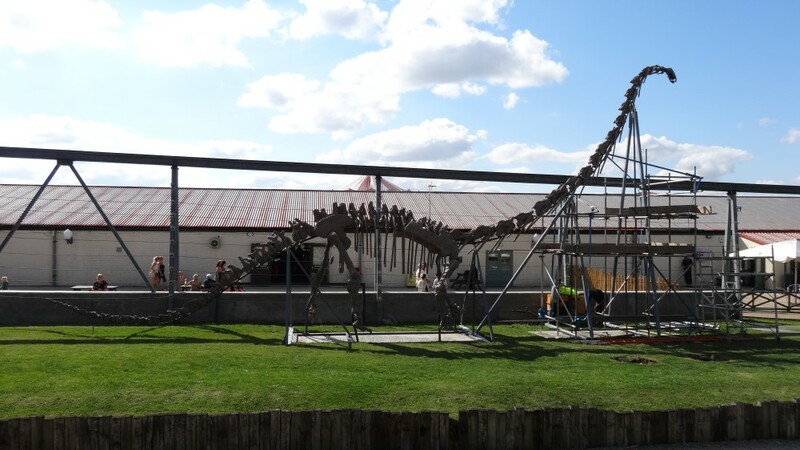 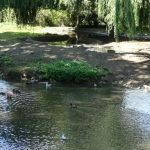 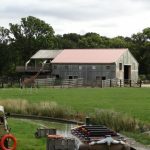 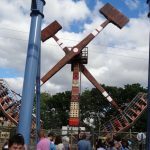 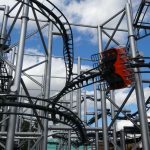 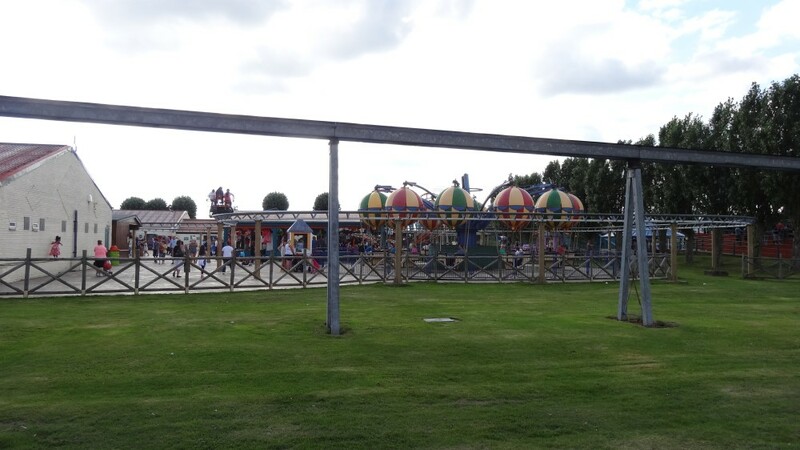 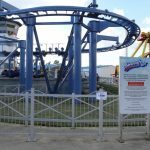 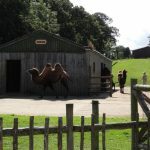 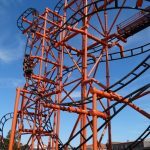 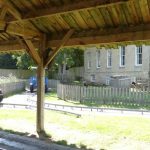 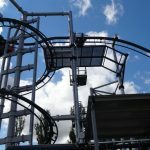 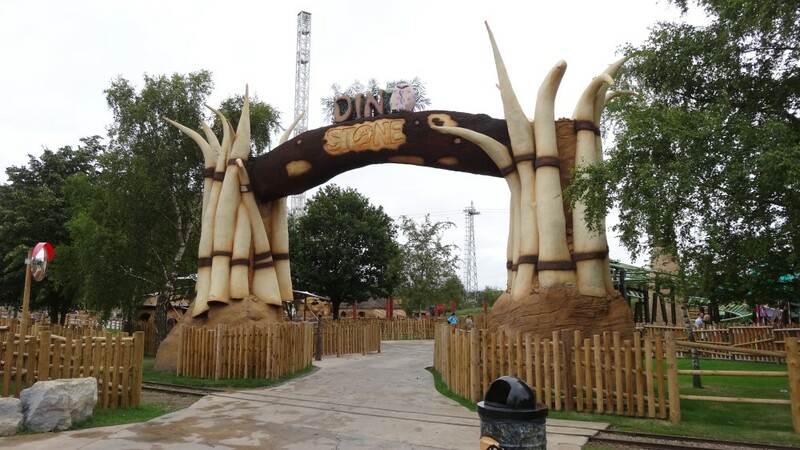 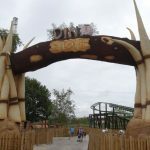 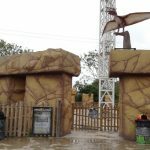 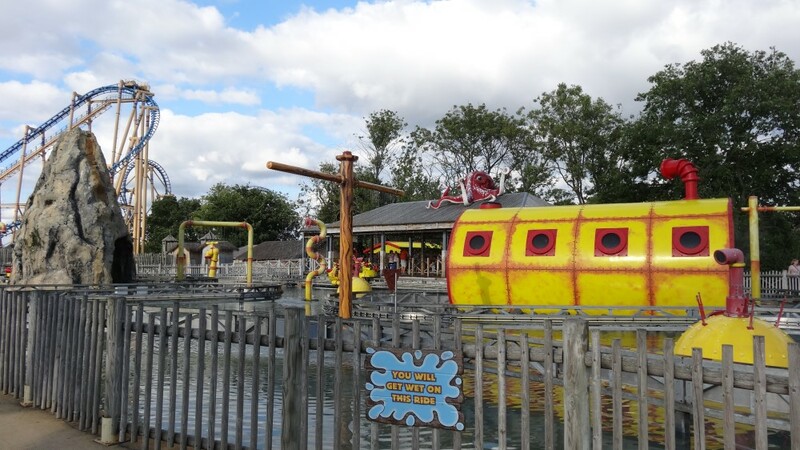 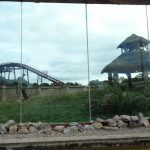 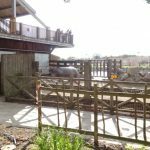 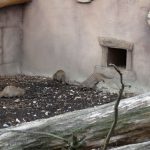 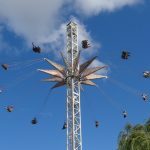 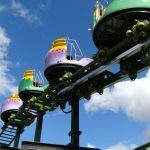 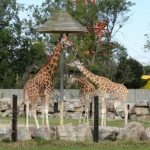 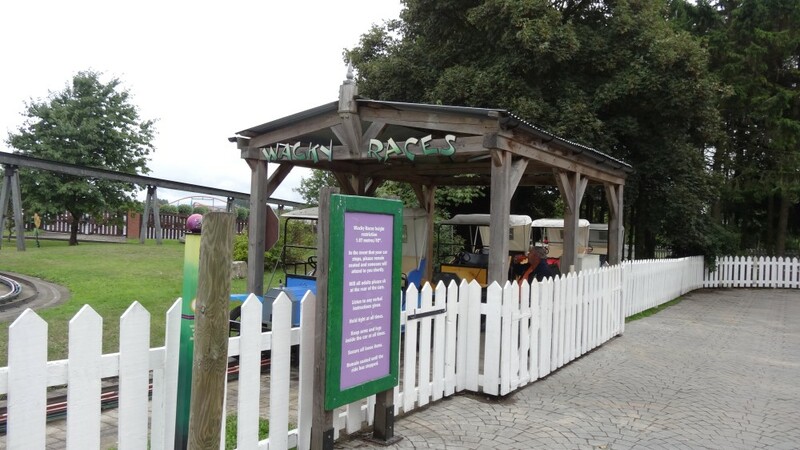 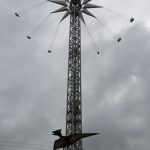 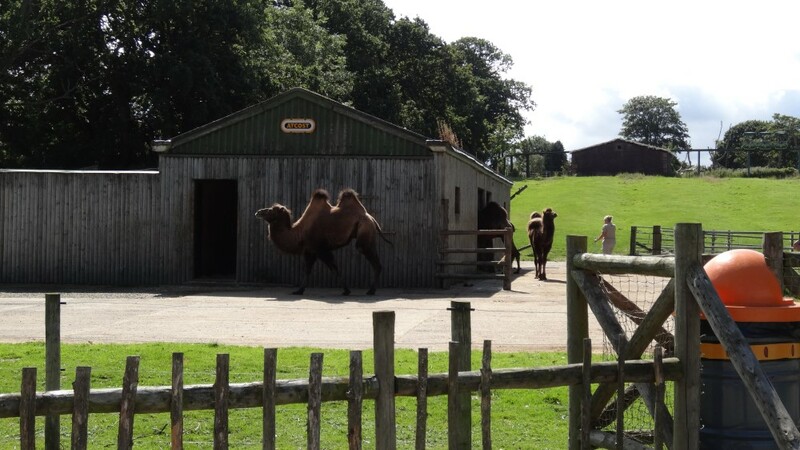 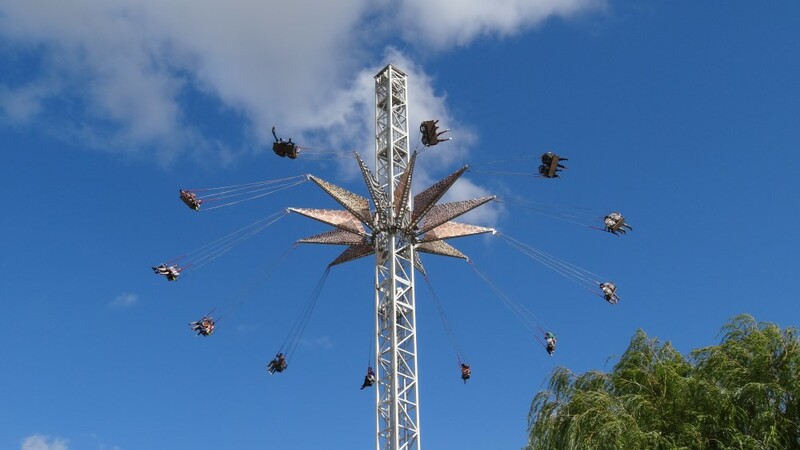 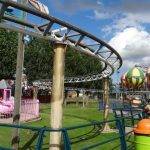 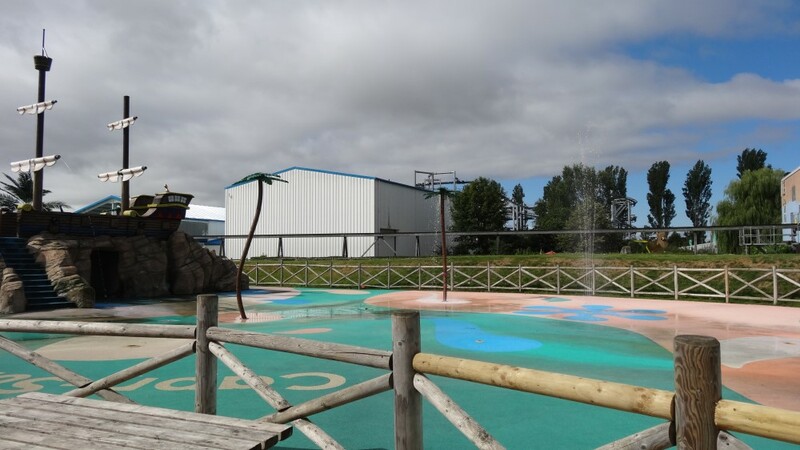 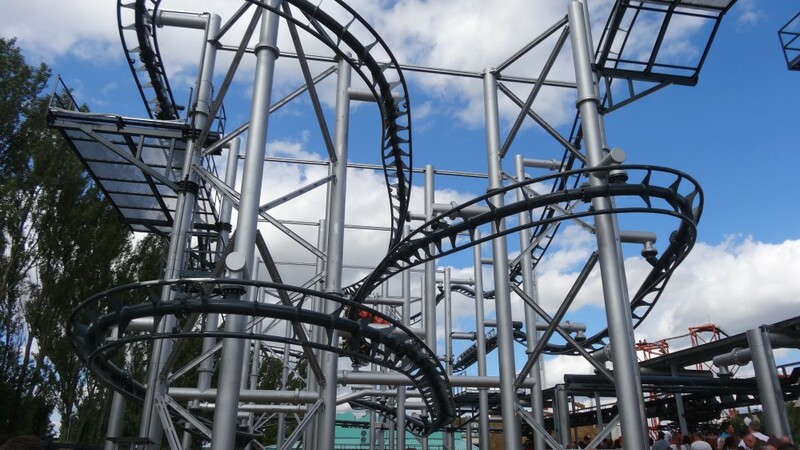 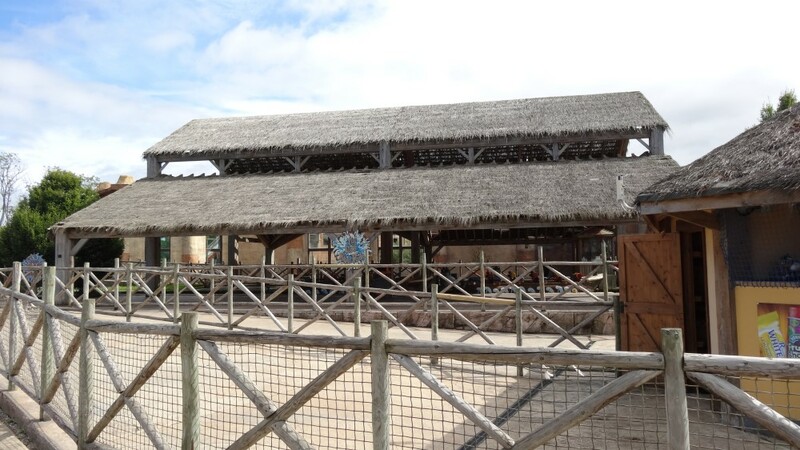 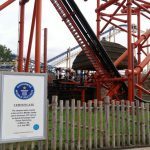 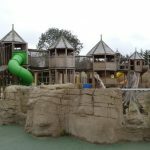 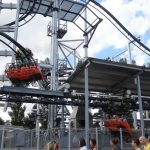 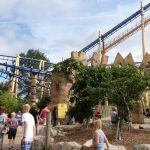 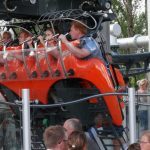 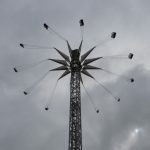 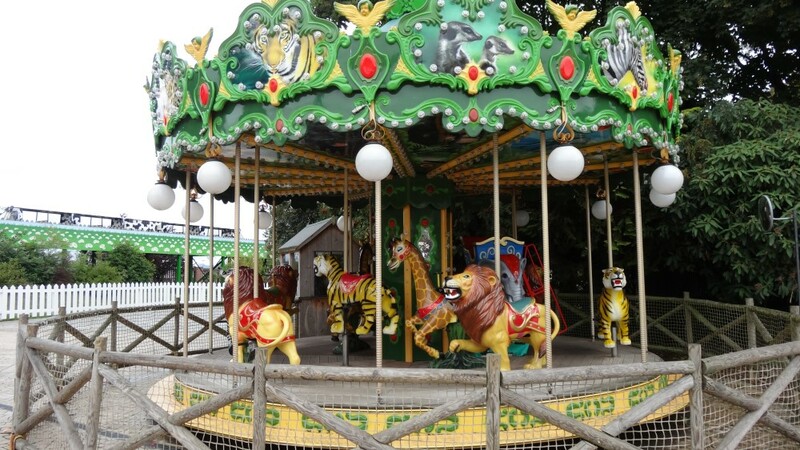 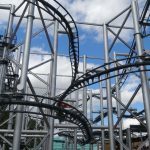 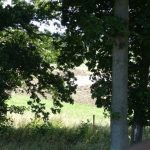 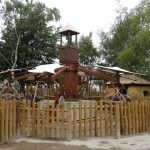 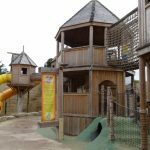 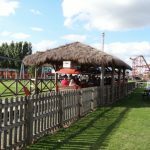 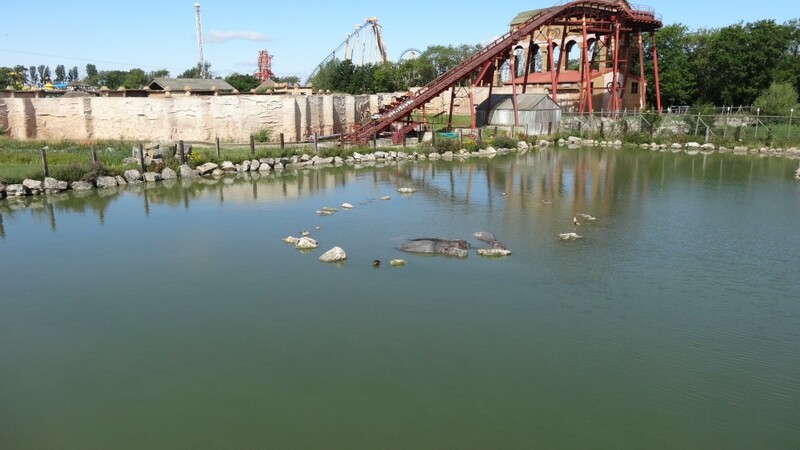 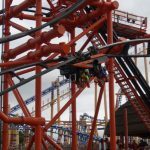 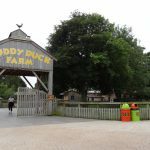 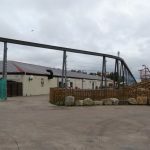 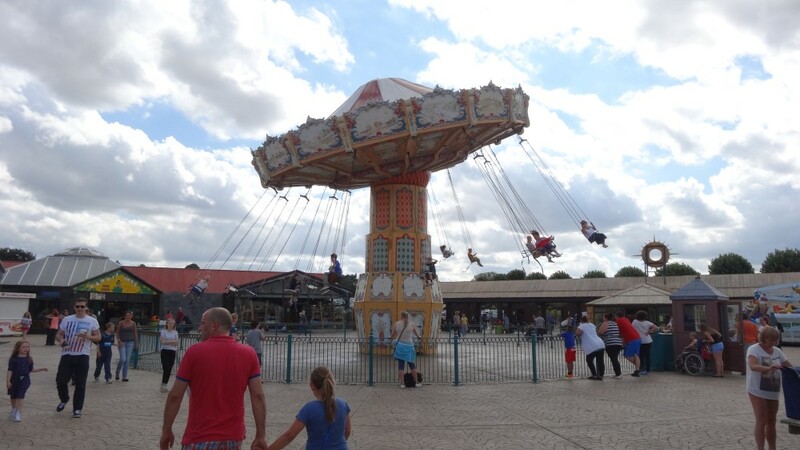 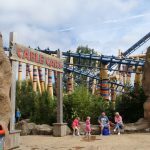 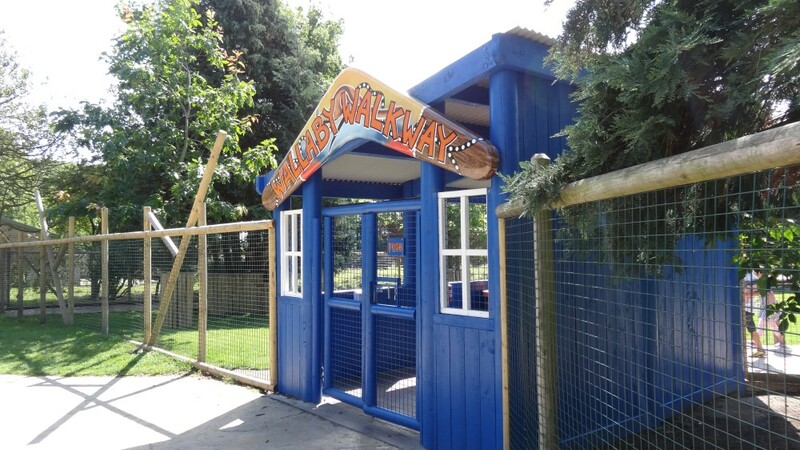 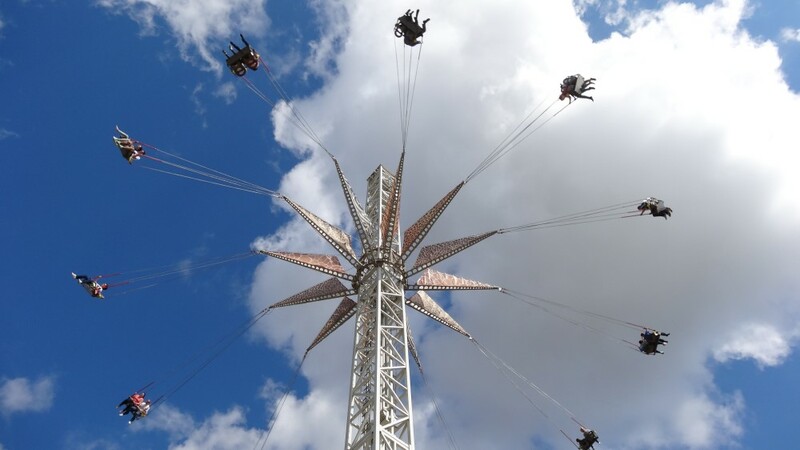 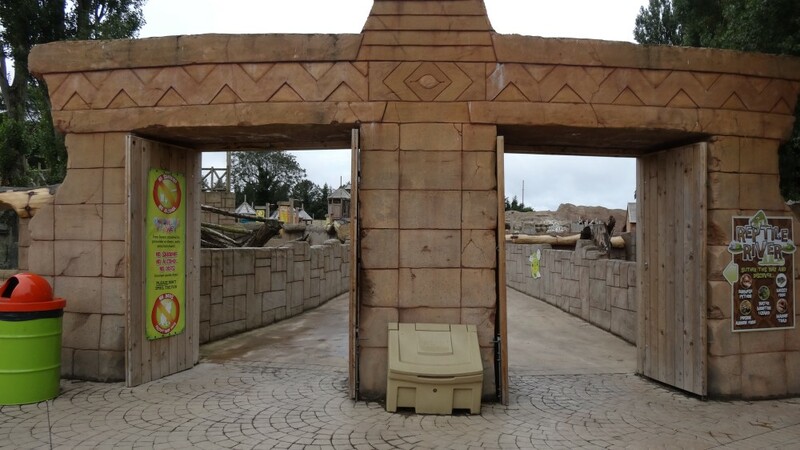 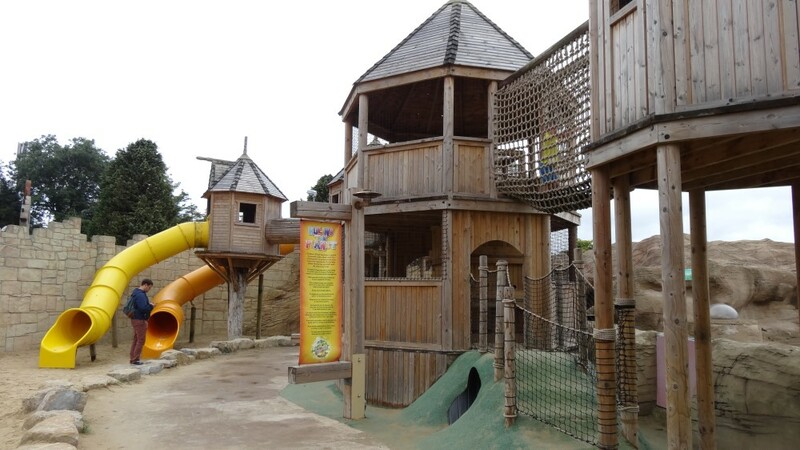 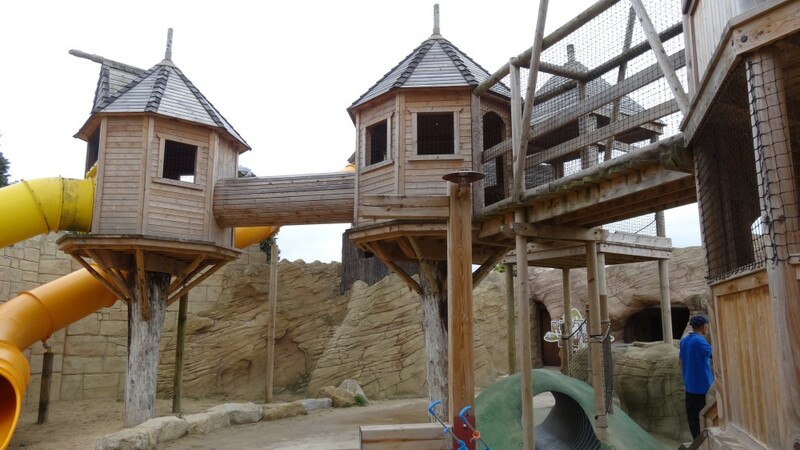 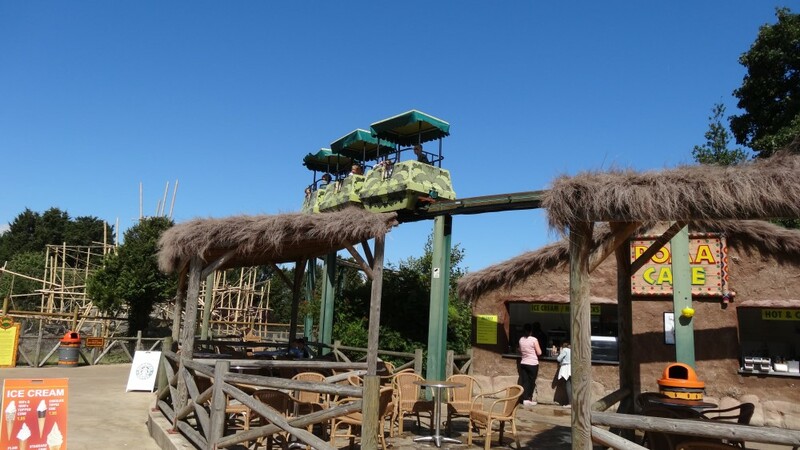 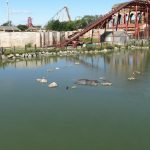 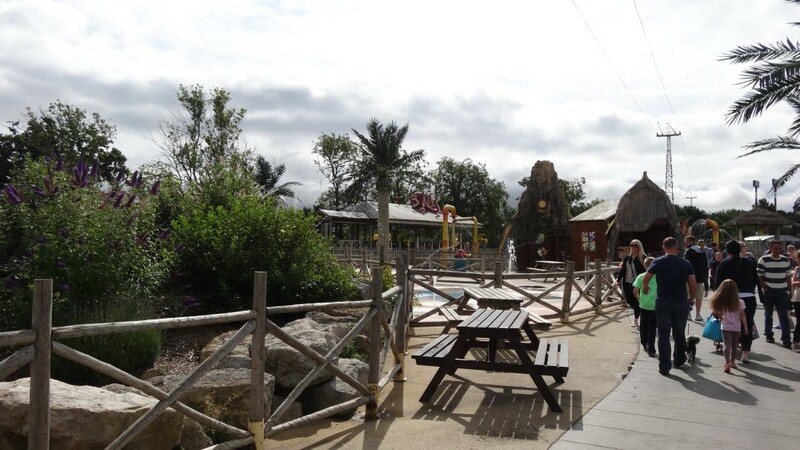 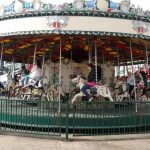 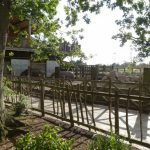 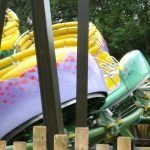 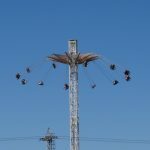 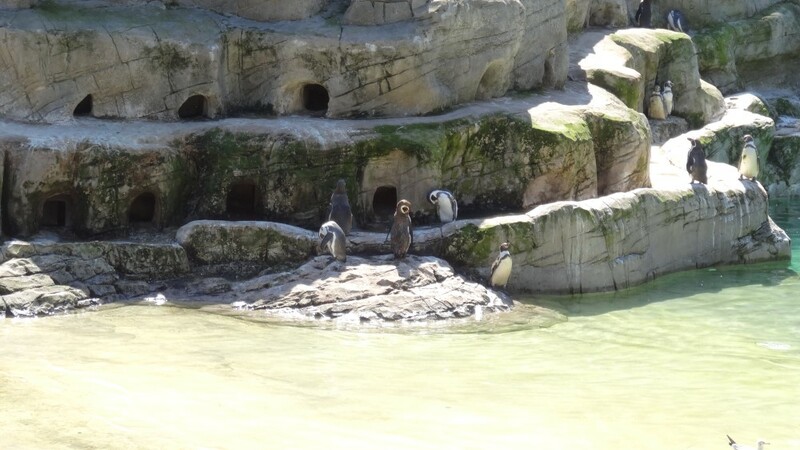 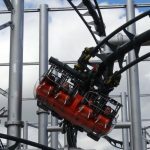 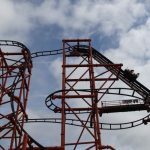 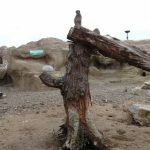 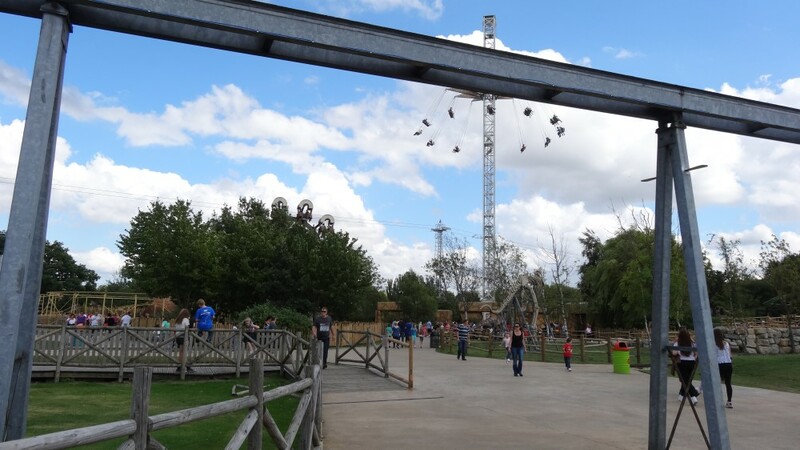 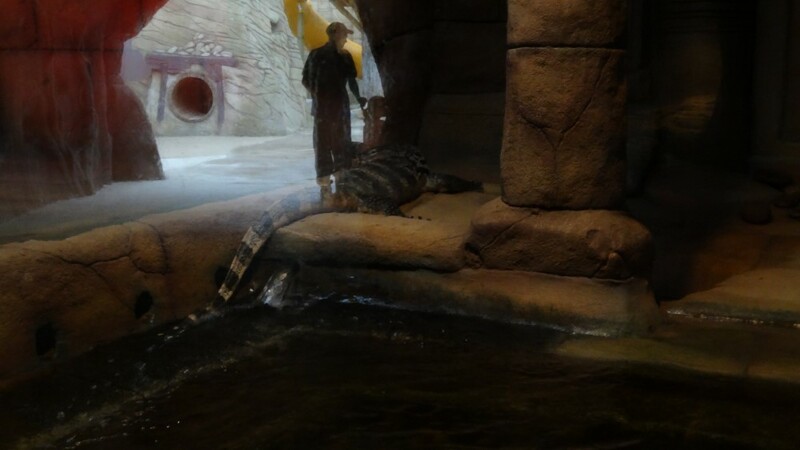 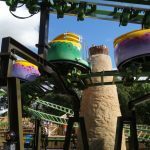 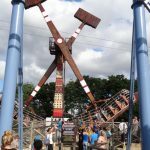 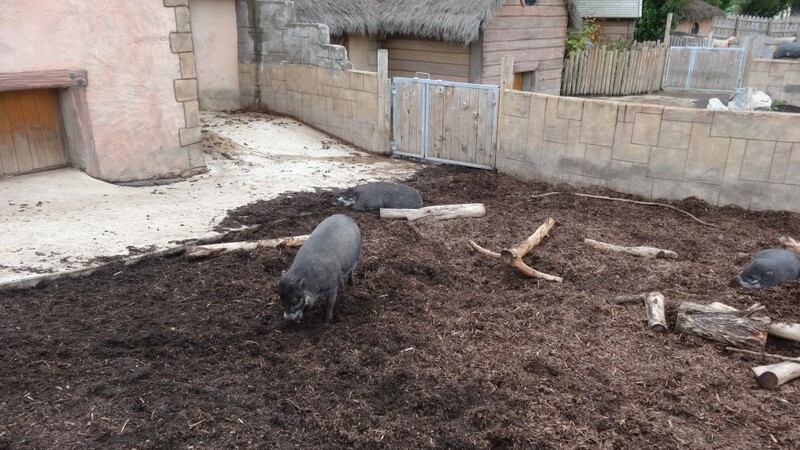 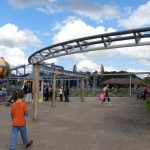 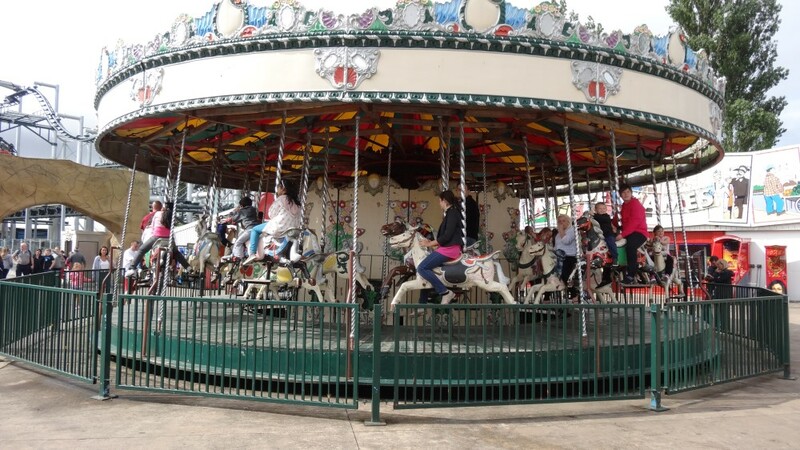 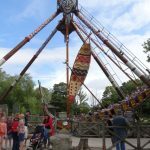 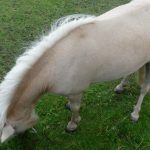 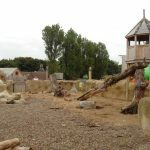 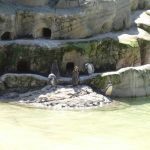 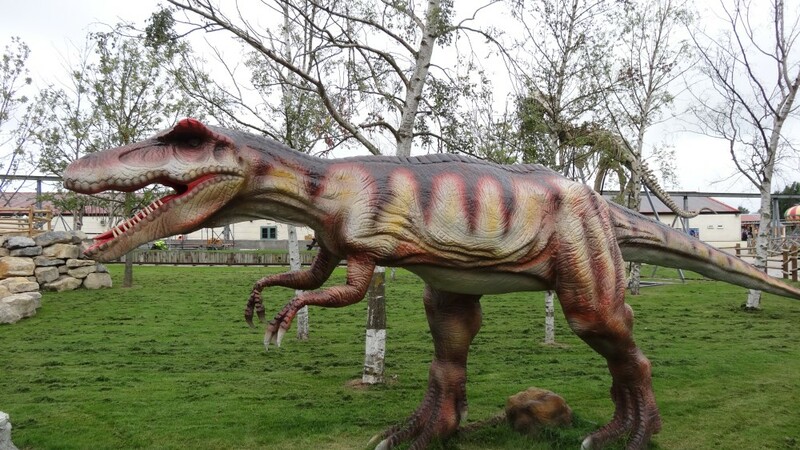 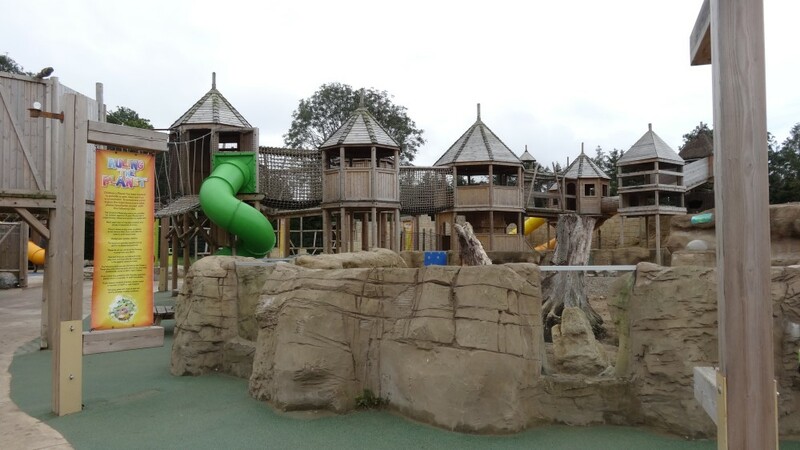 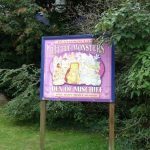 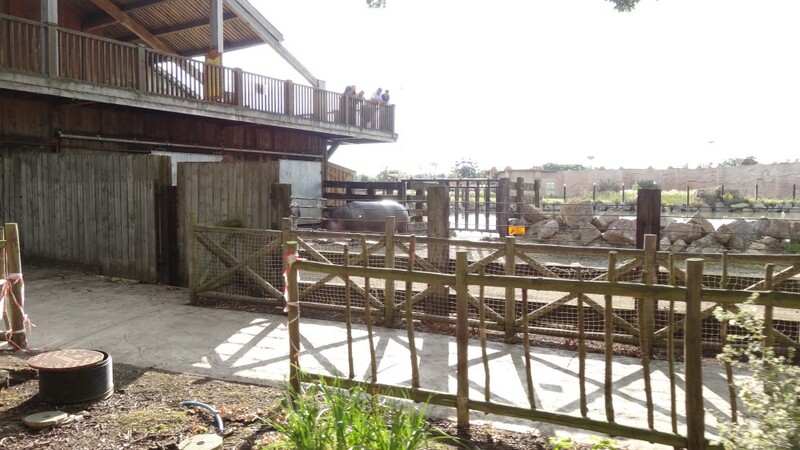 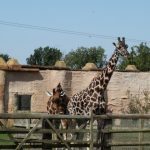 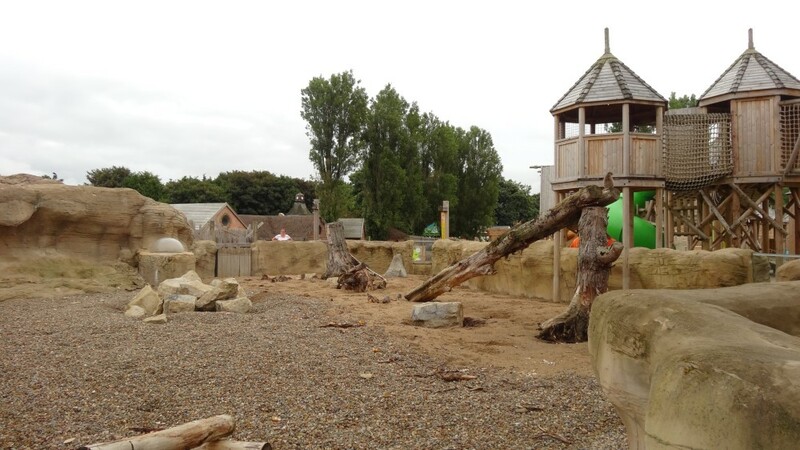 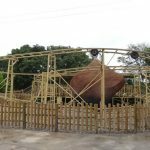 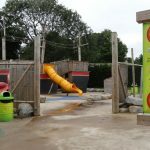 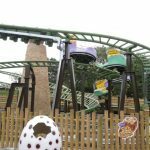 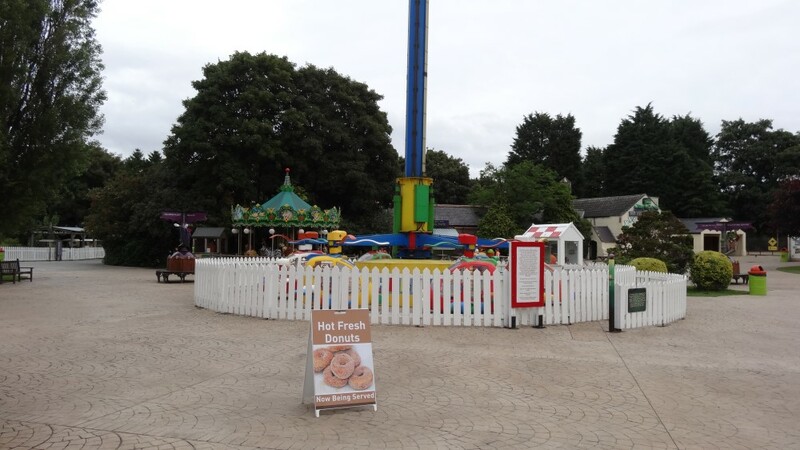 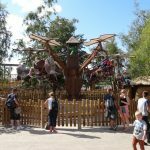 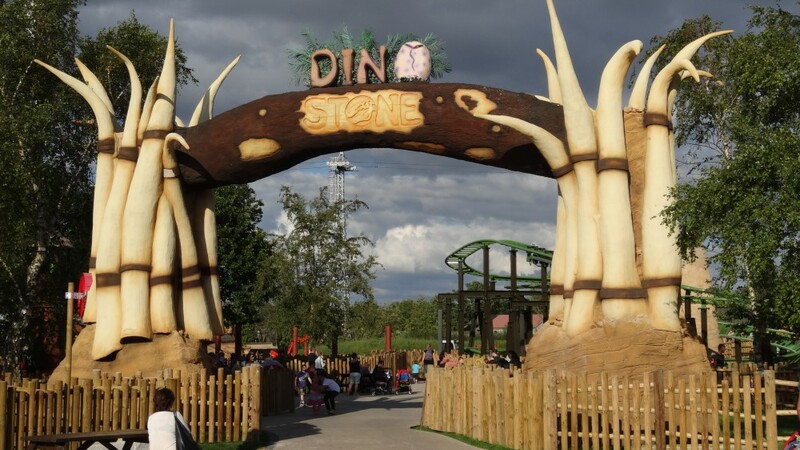 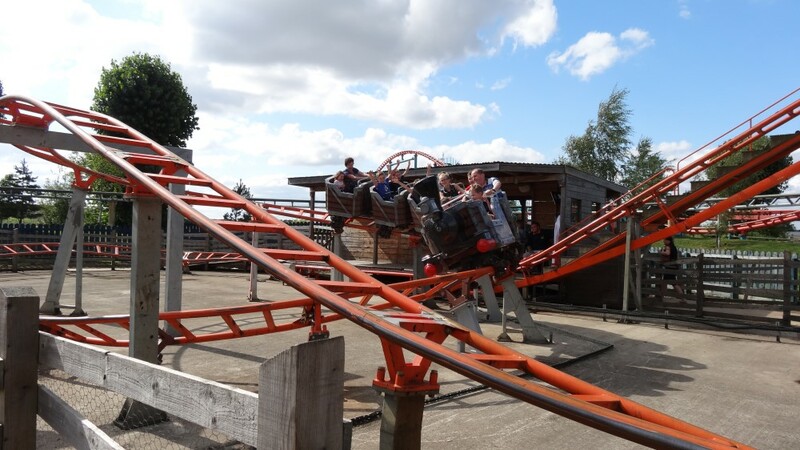 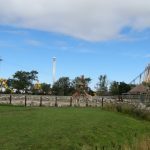 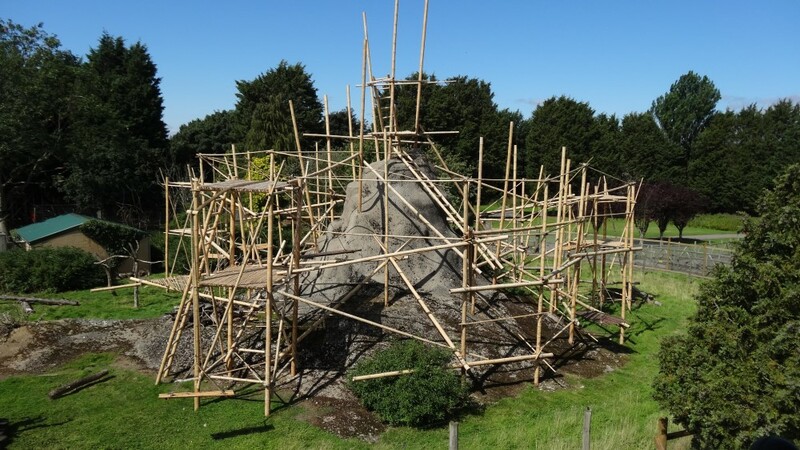 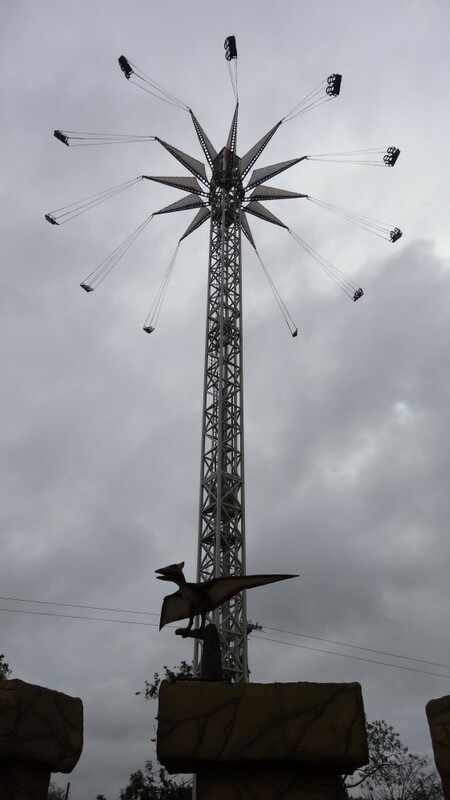 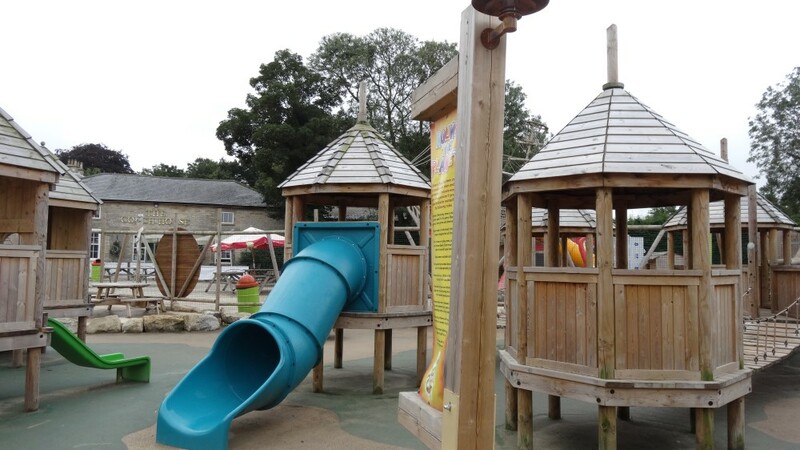 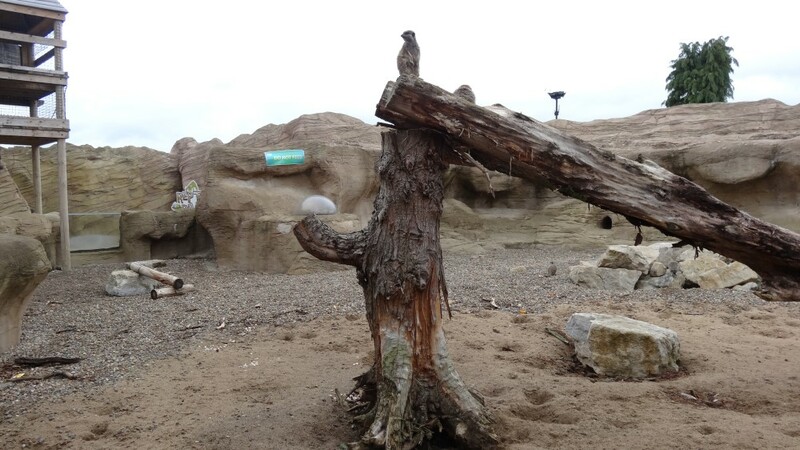 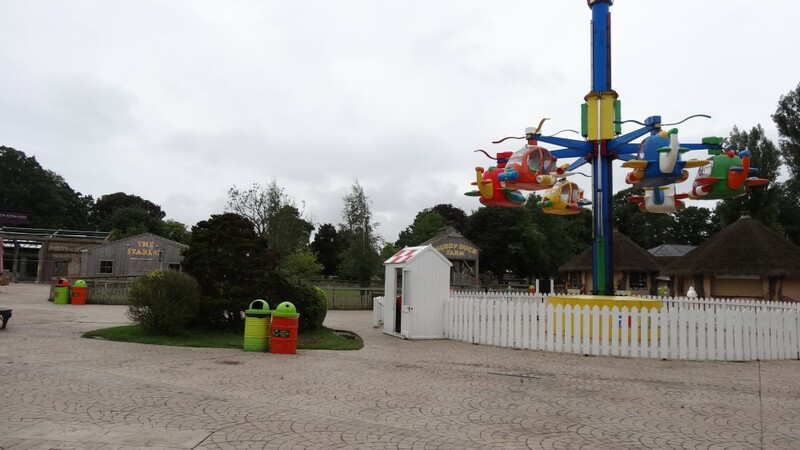 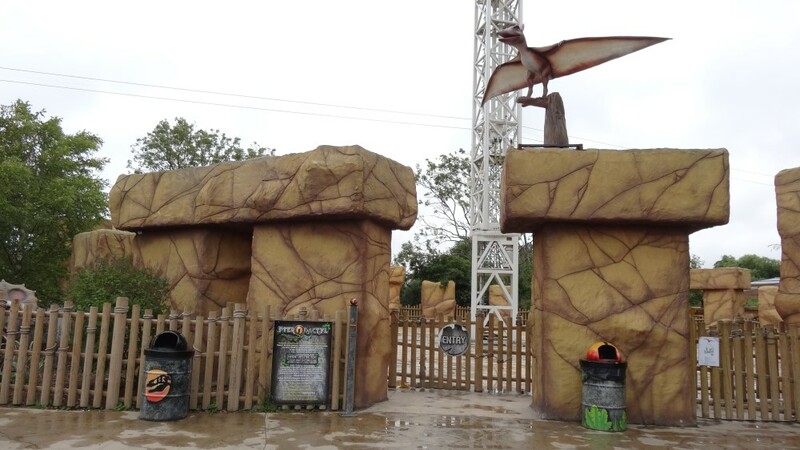 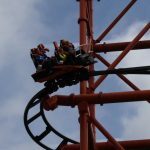 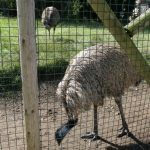 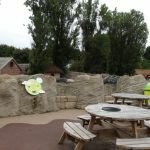 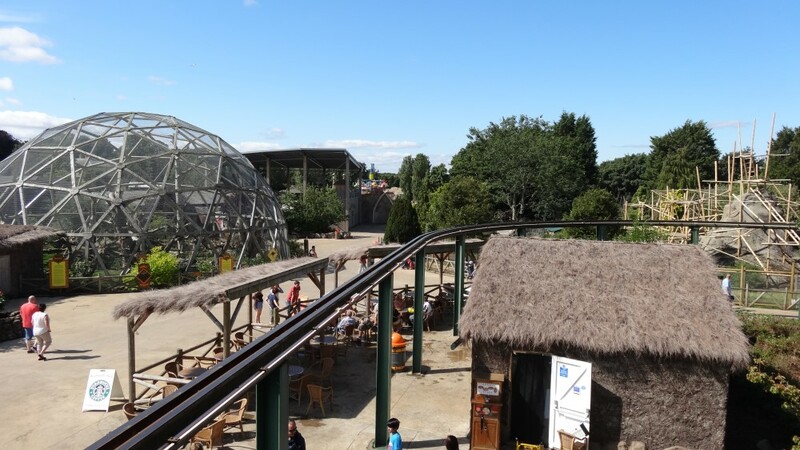 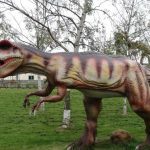 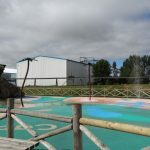 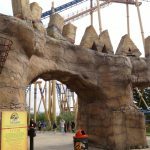 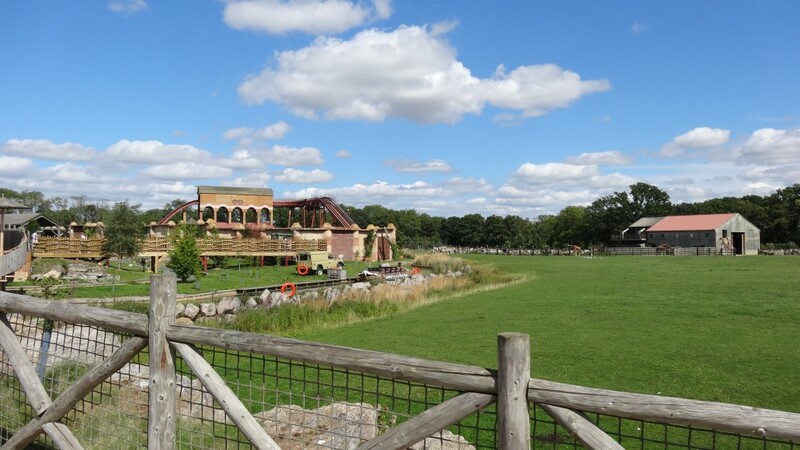 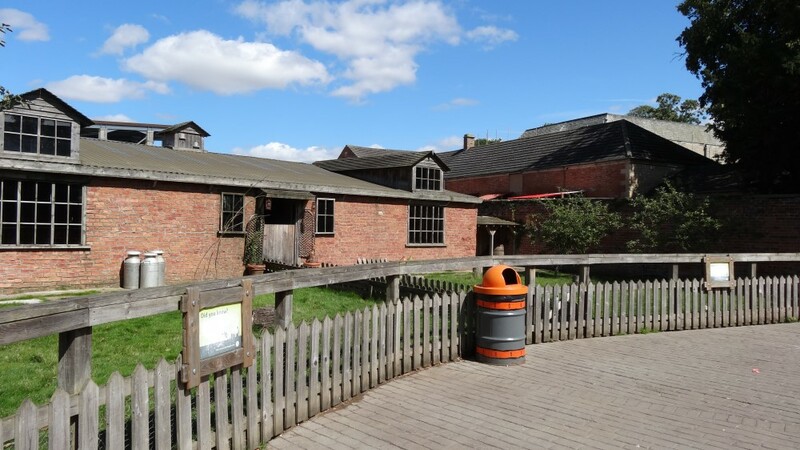 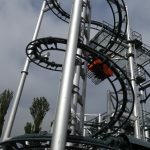 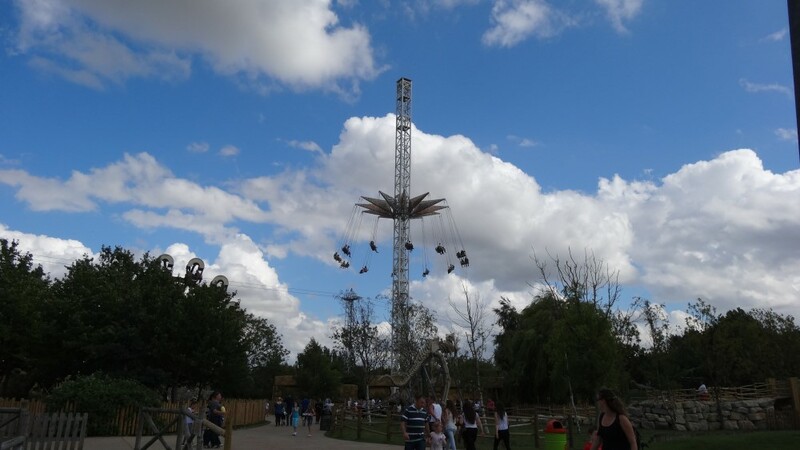 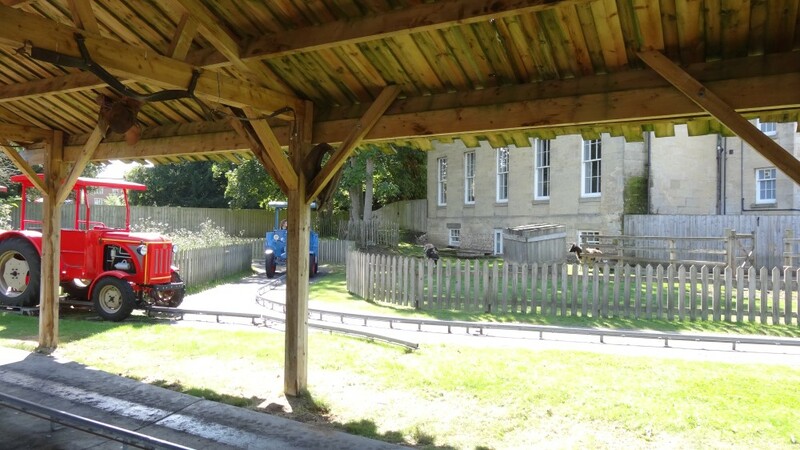 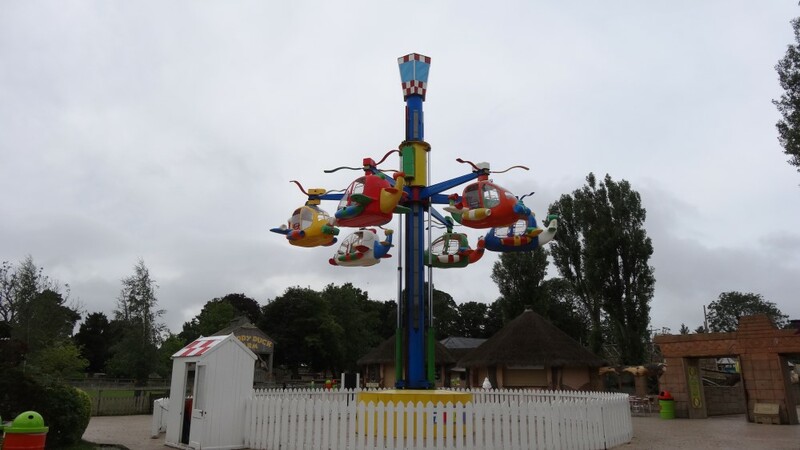 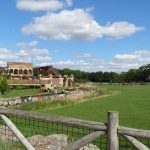 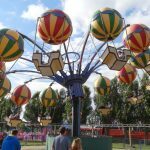 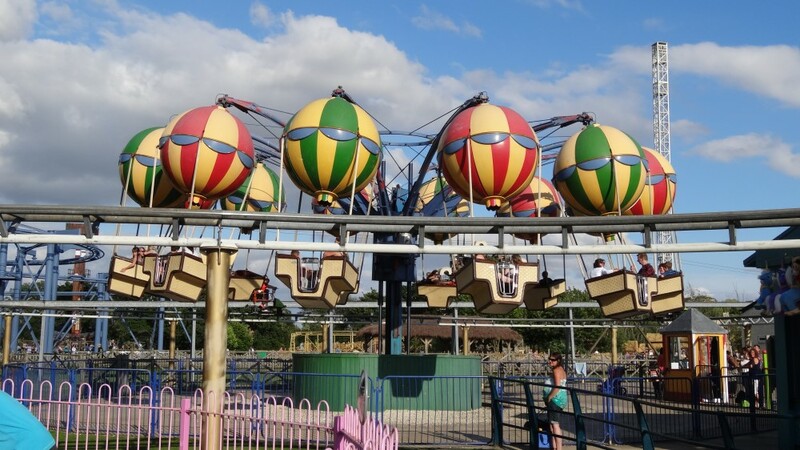 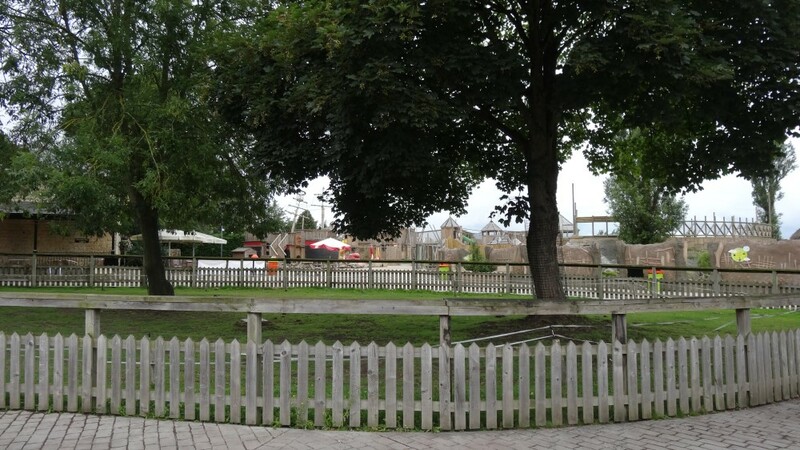 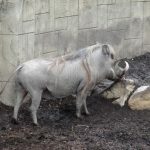 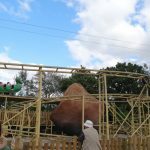 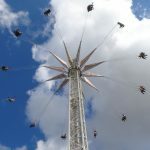 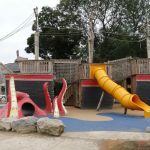 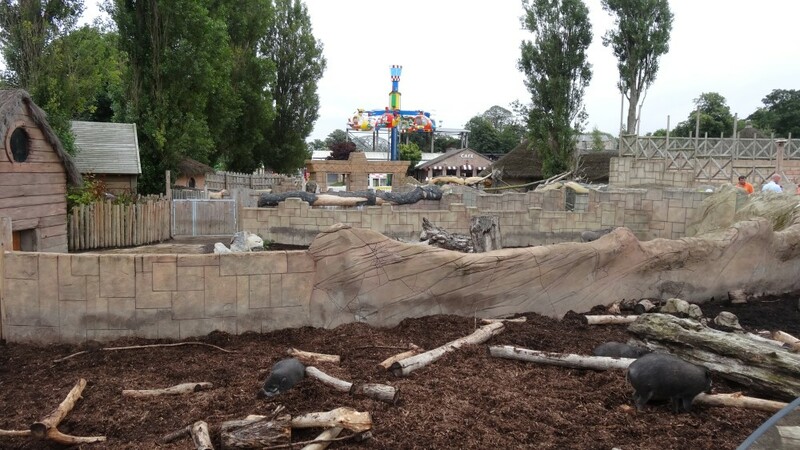 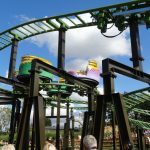 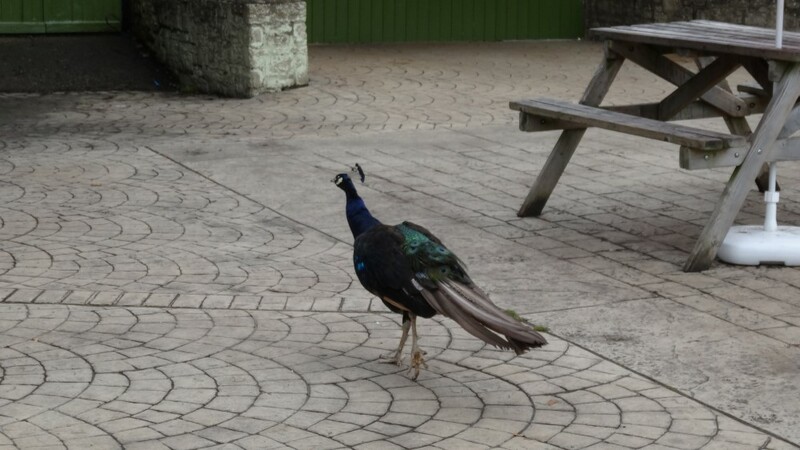 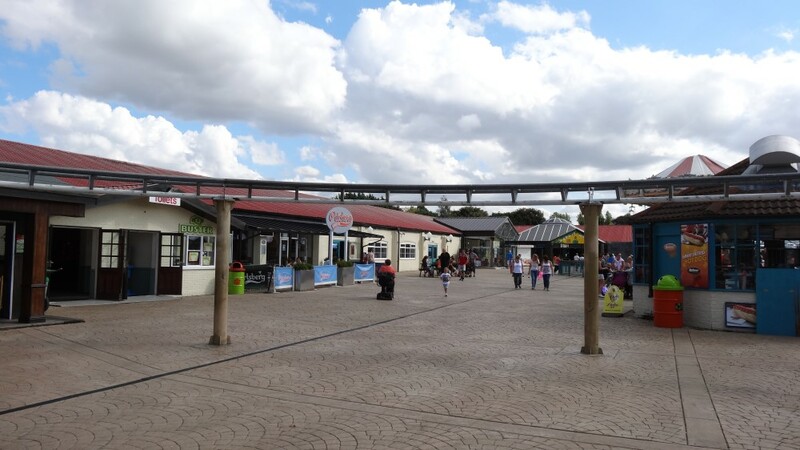 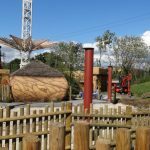 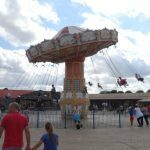 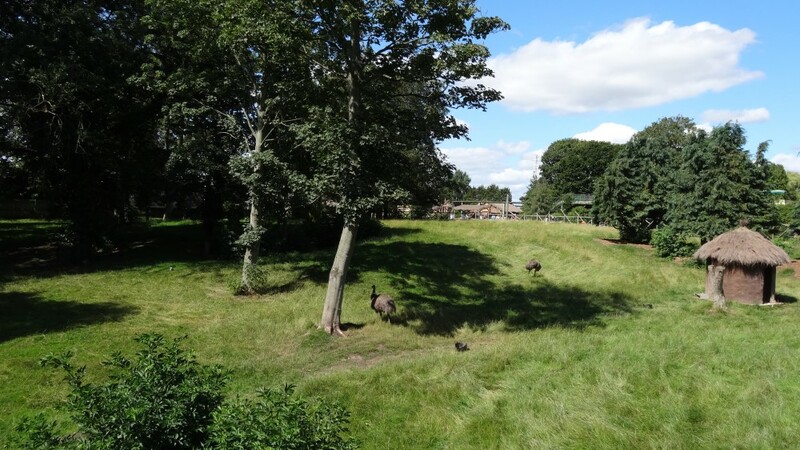 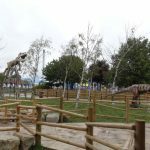 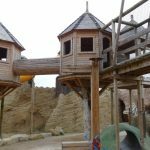 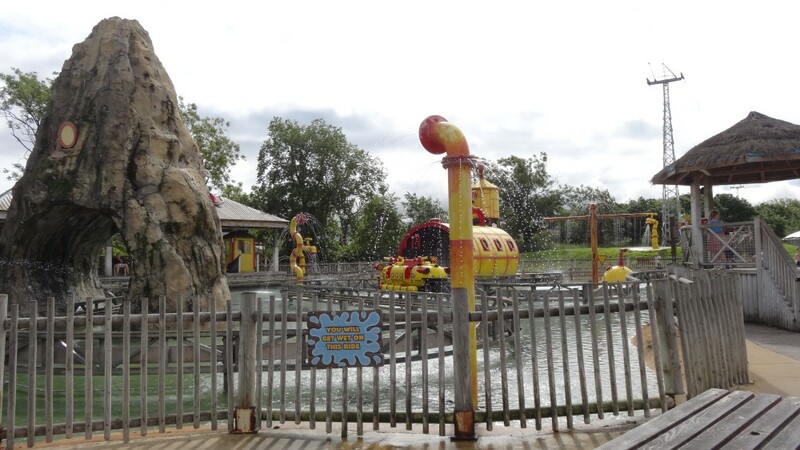 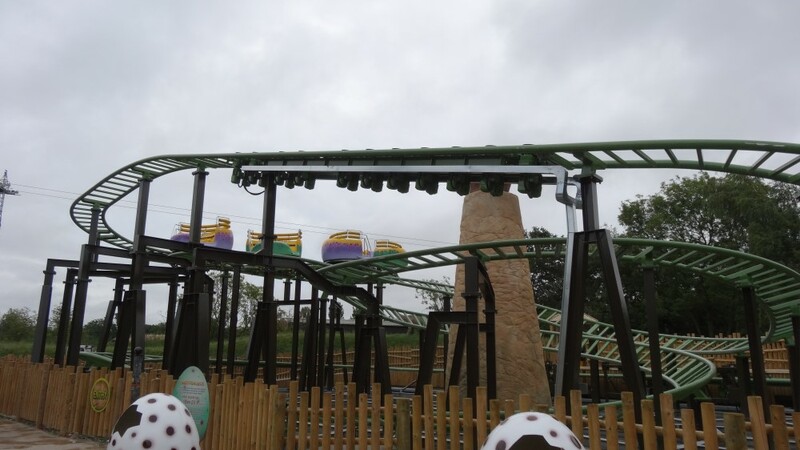 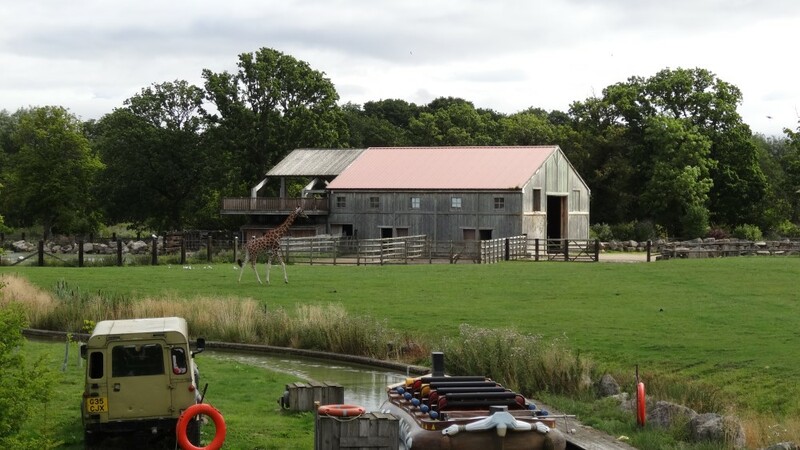 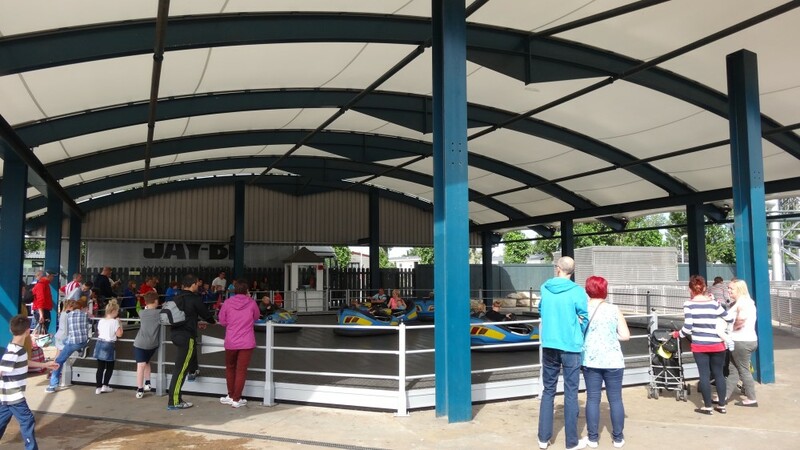 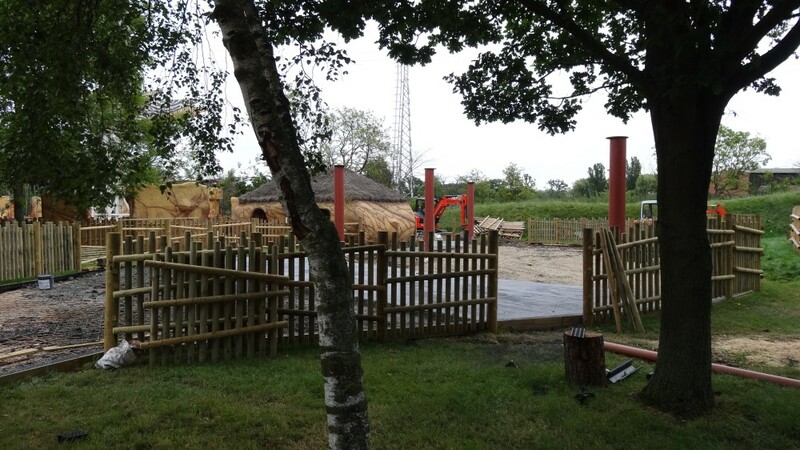 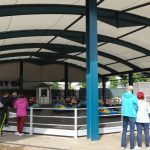 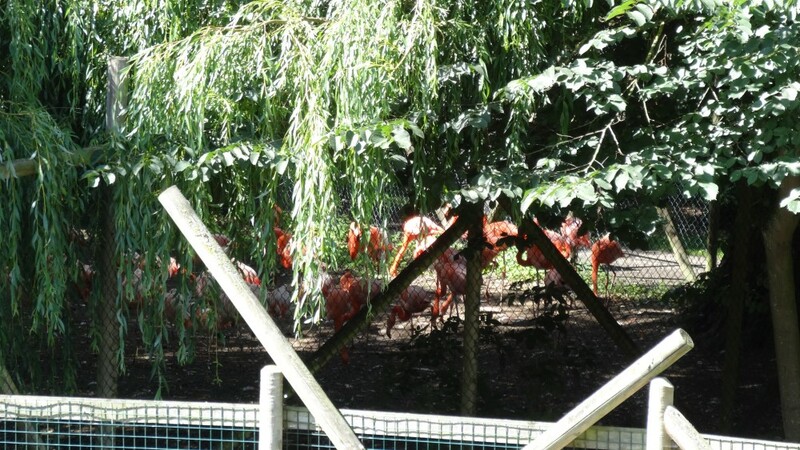 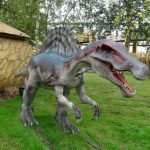 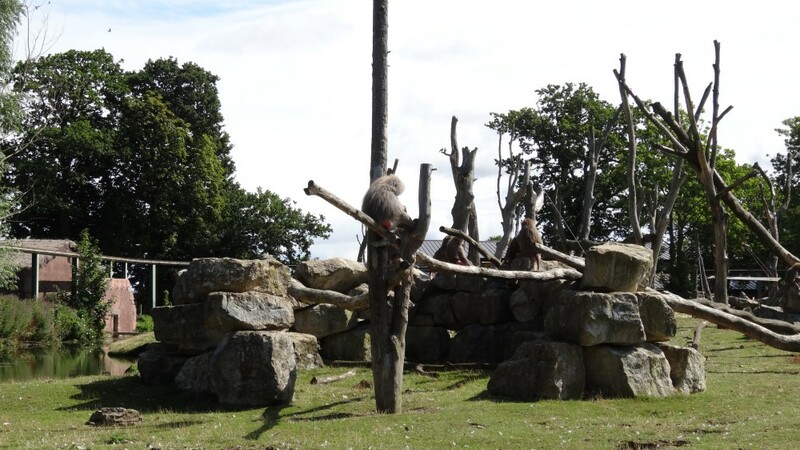 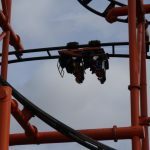 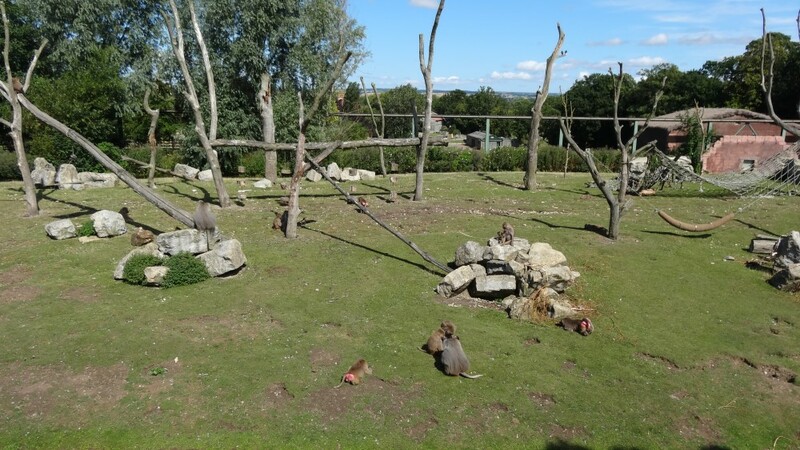 Flamingo Land has a host of very different rides not seen else where in the UK, accompany this with a very good zoo makes it one of the must visit theme parks. 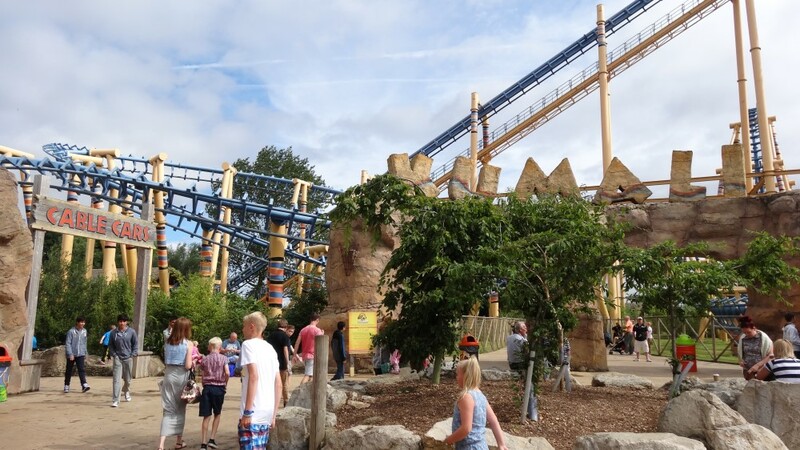 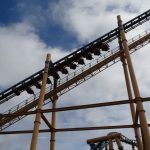 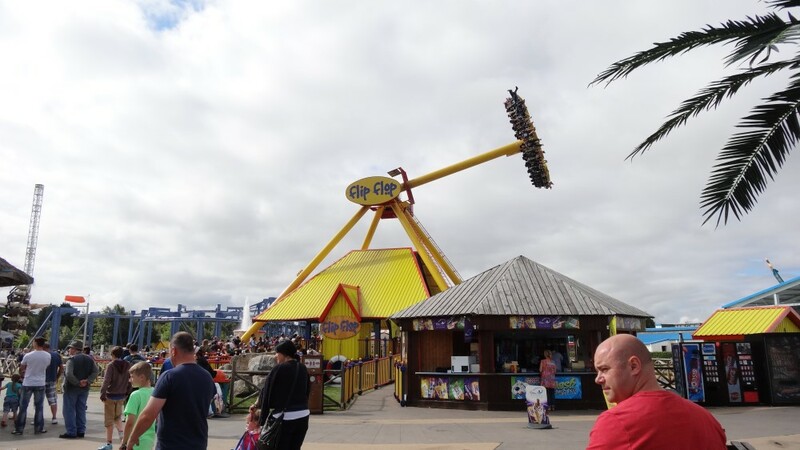 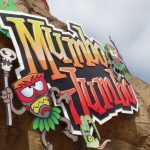 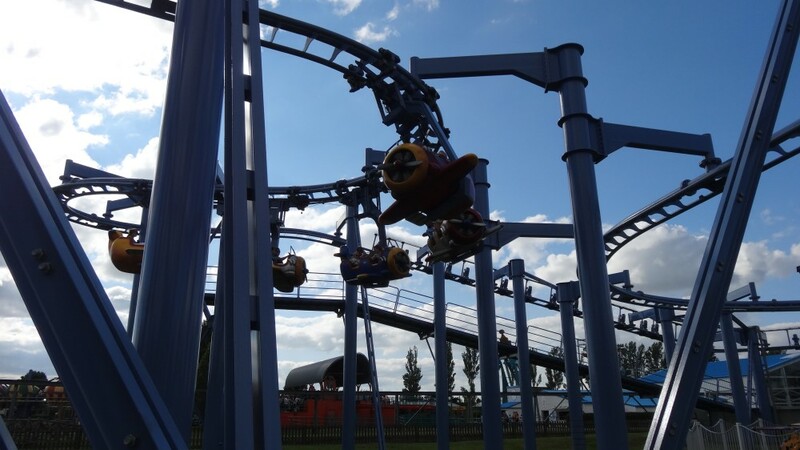 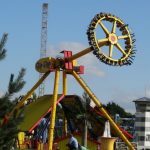 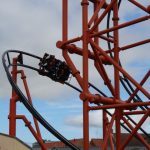 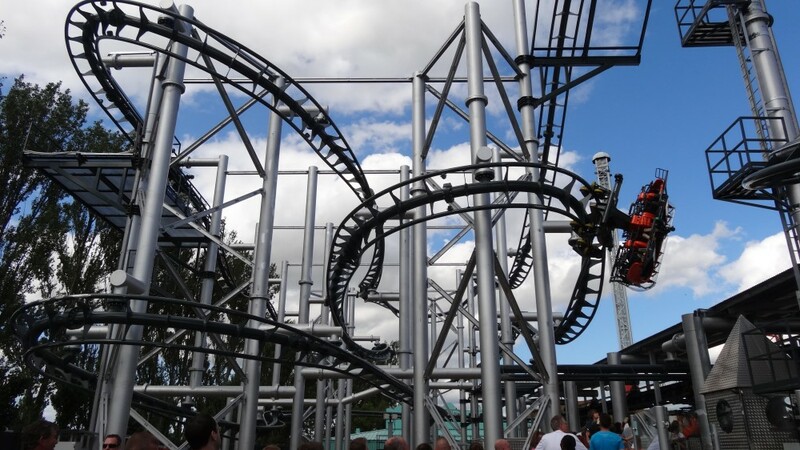 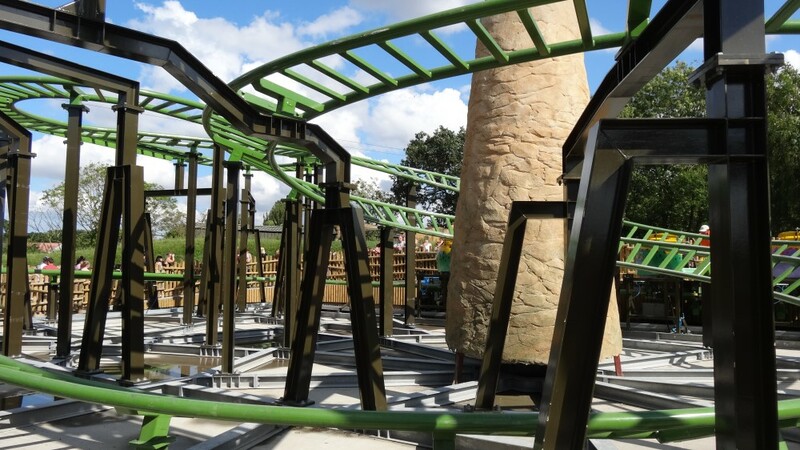 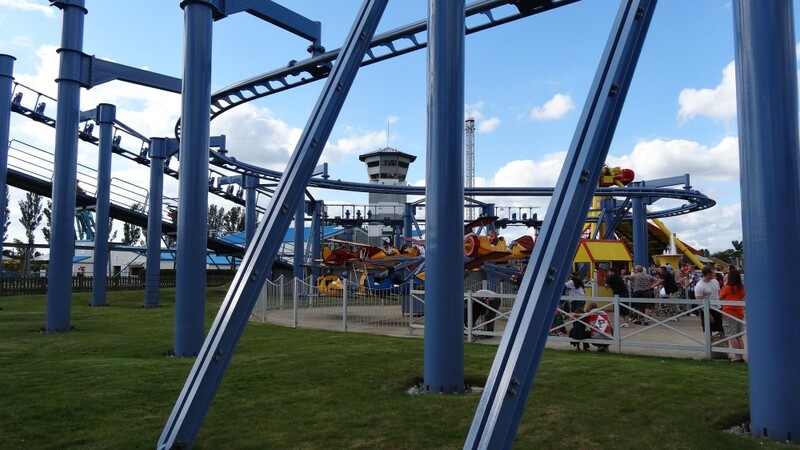 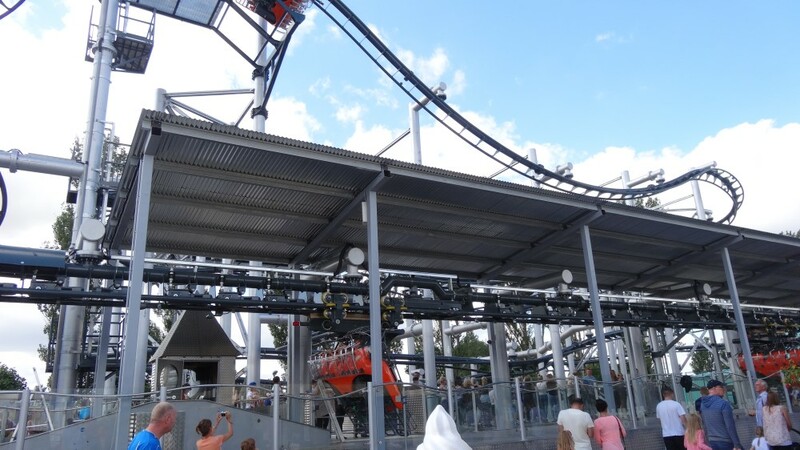 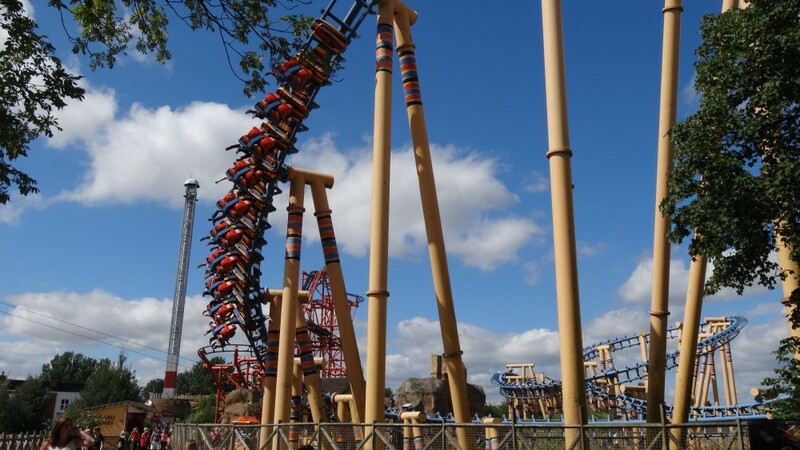 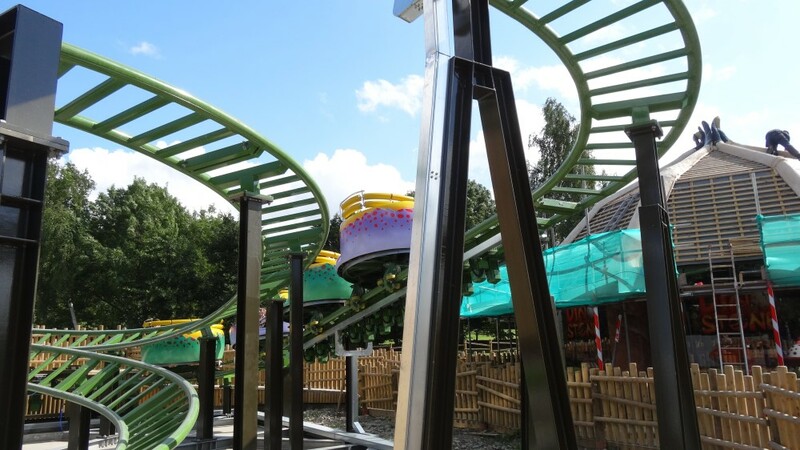 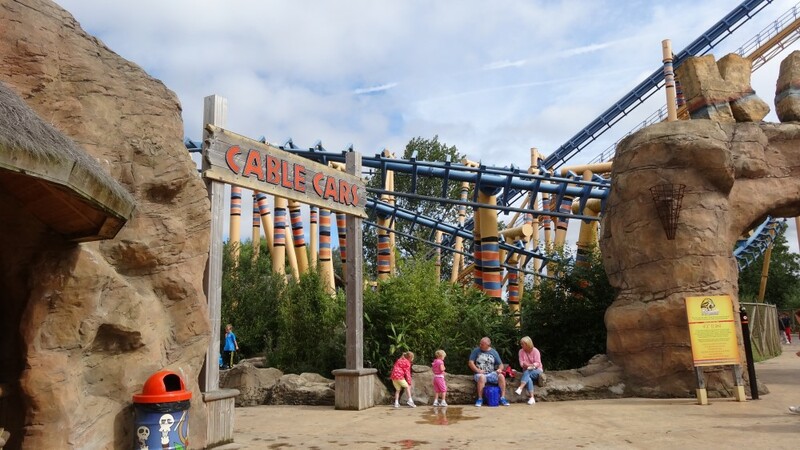 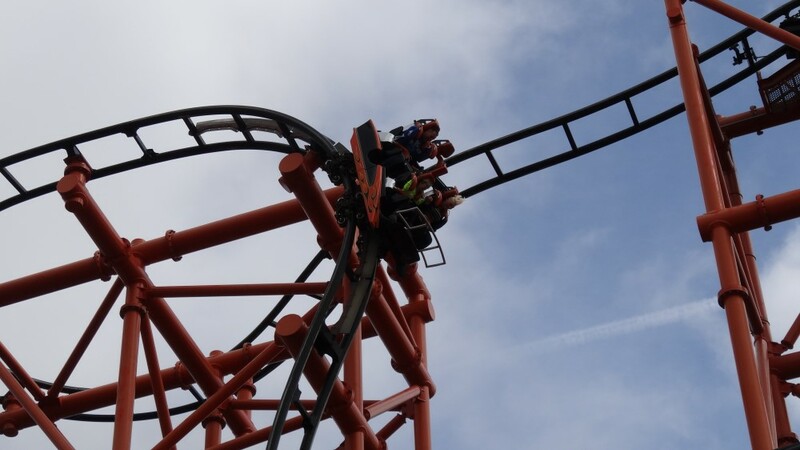 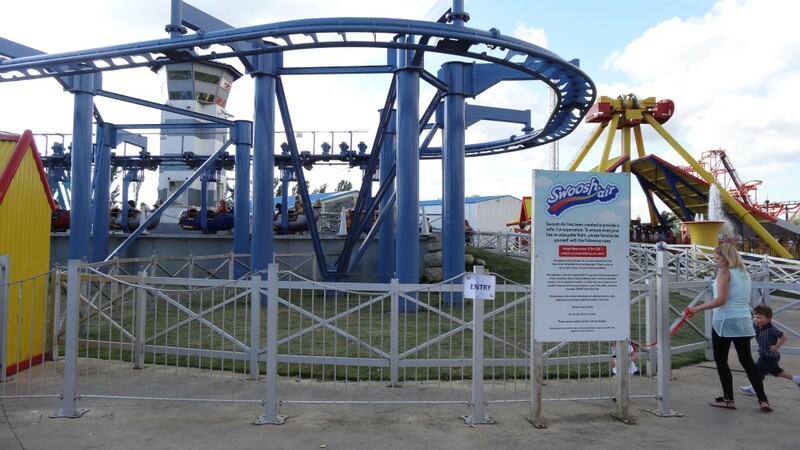 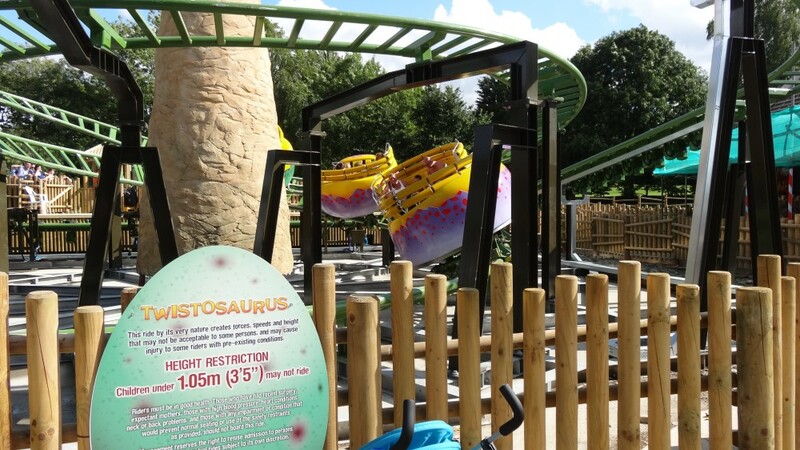 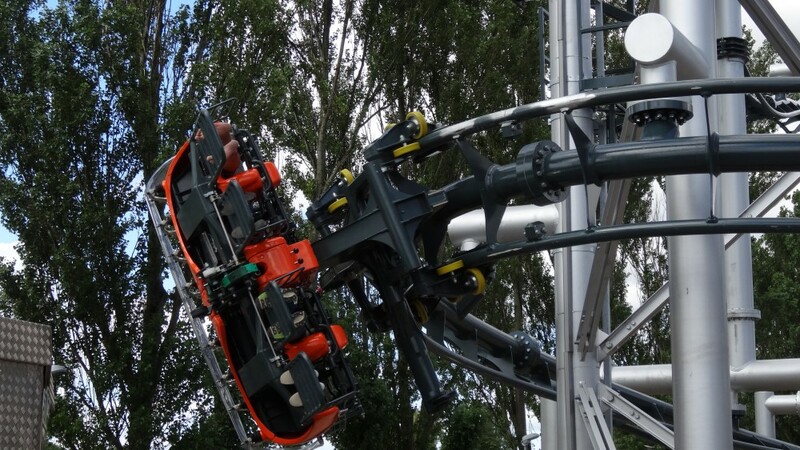 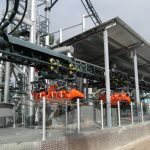 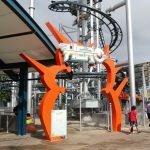 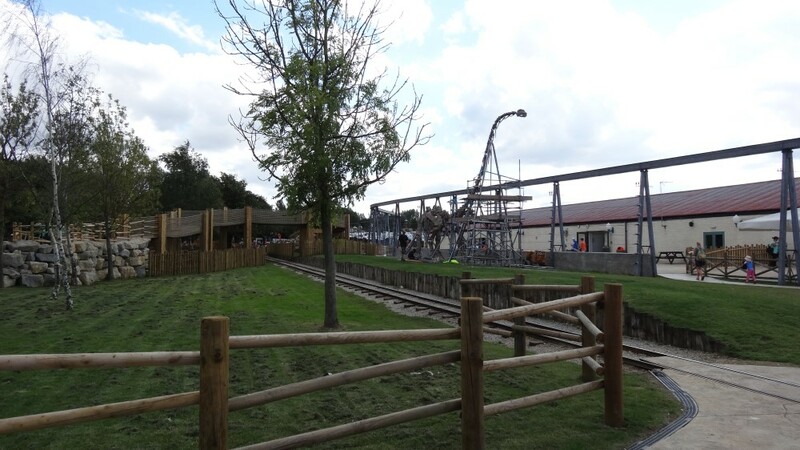 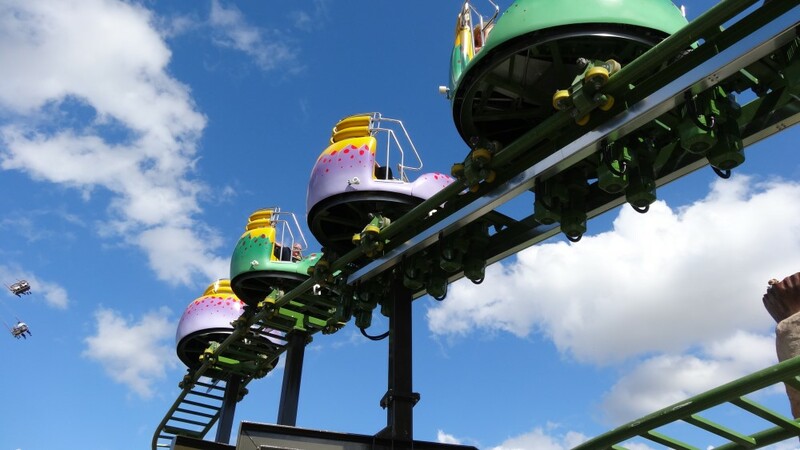 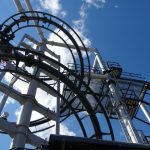 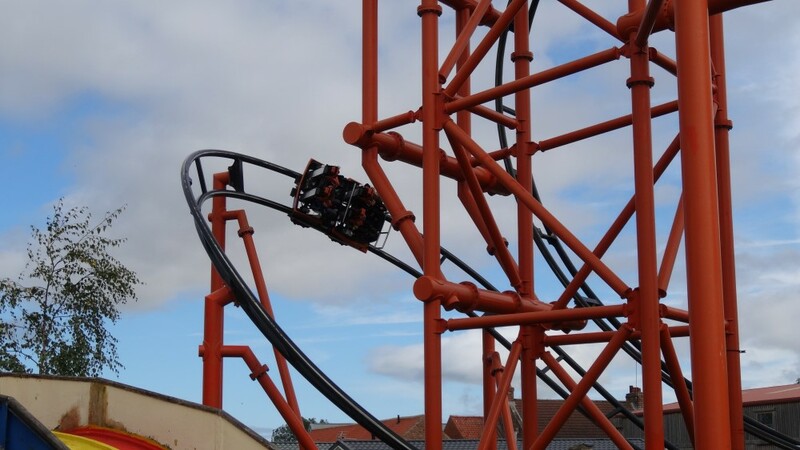 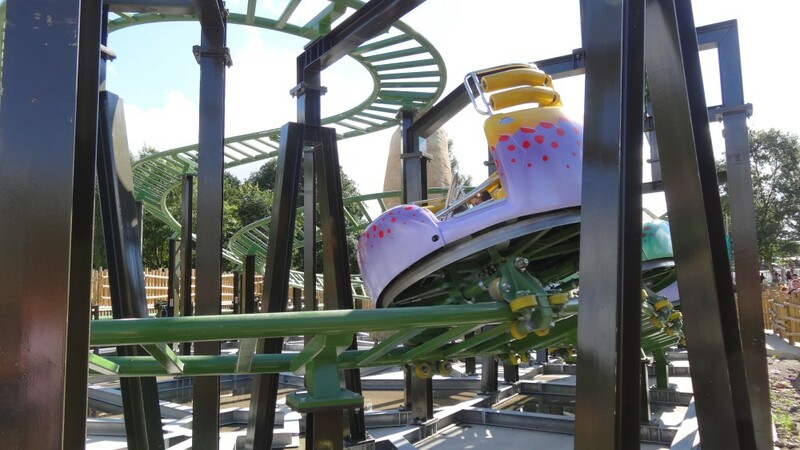 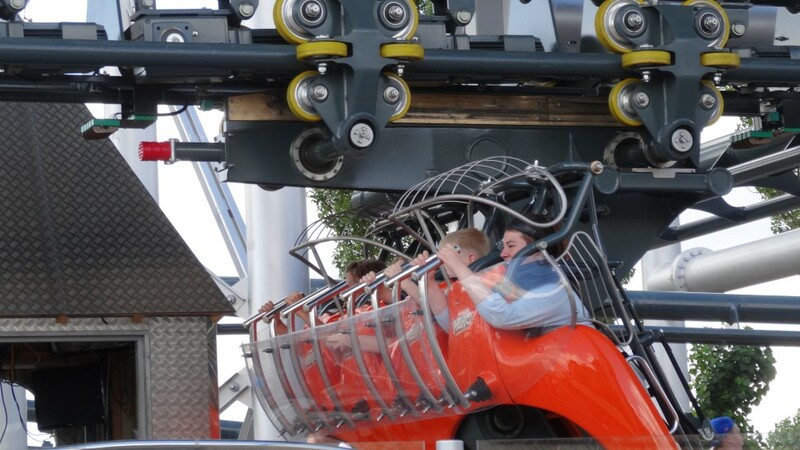 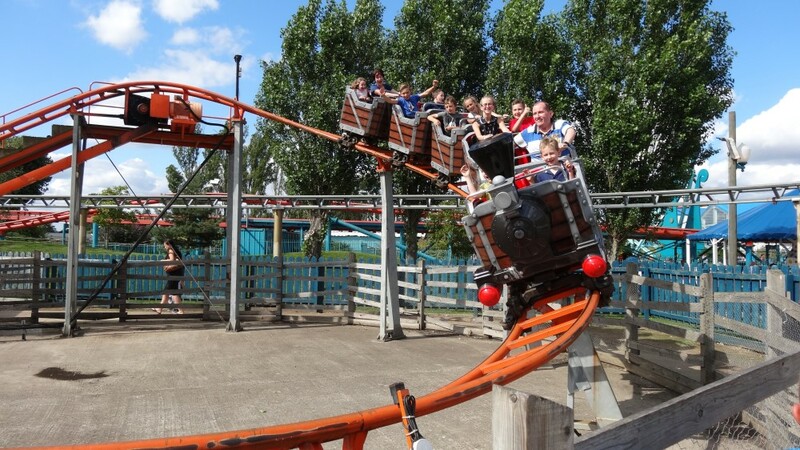 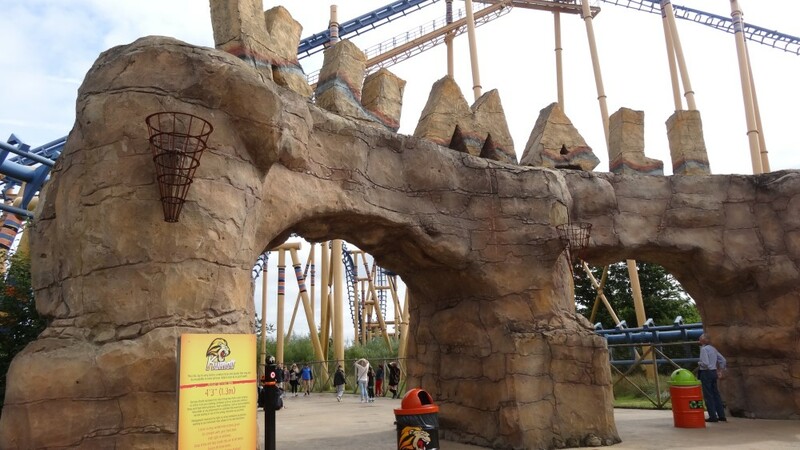 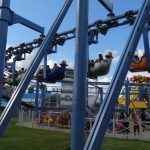 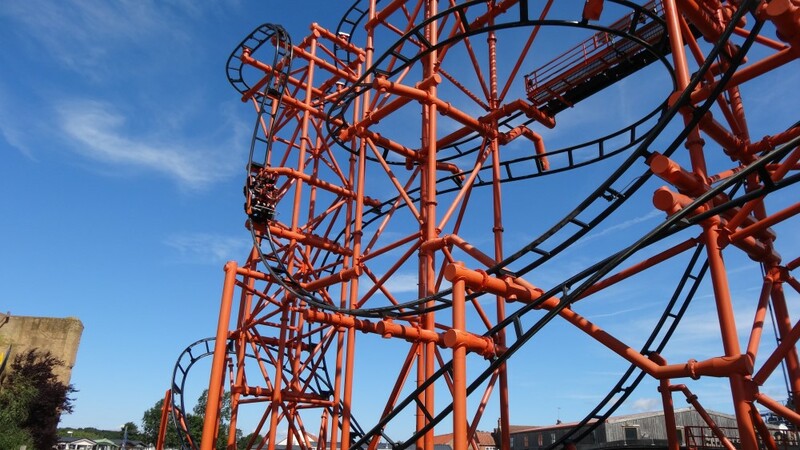 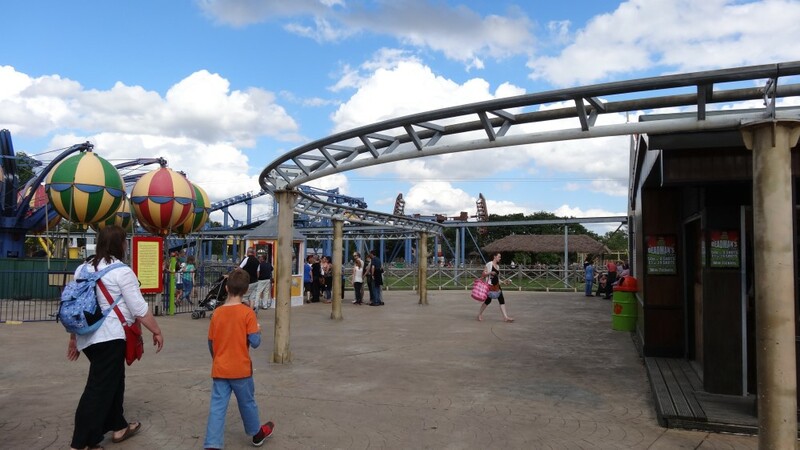 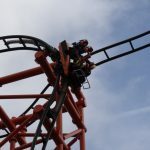 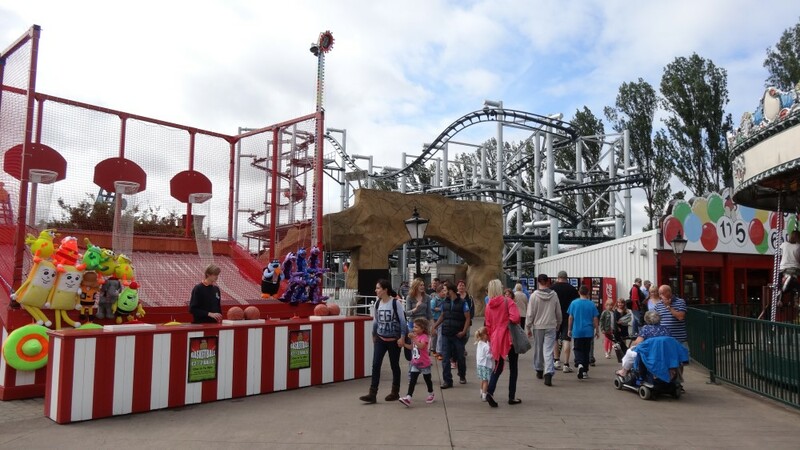 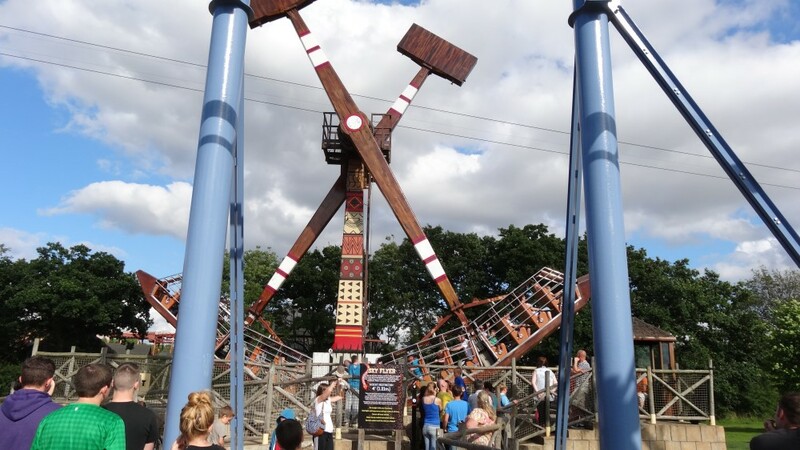 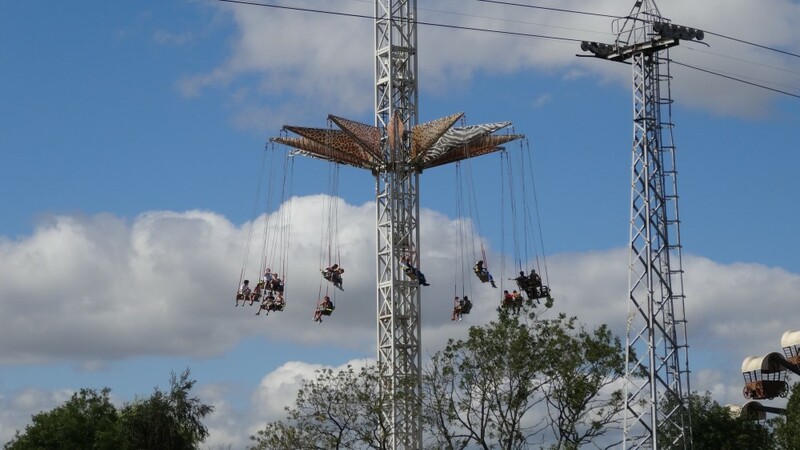 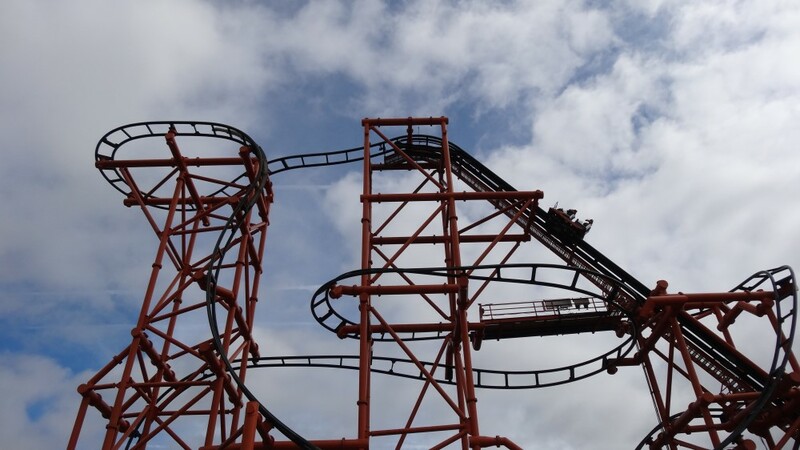 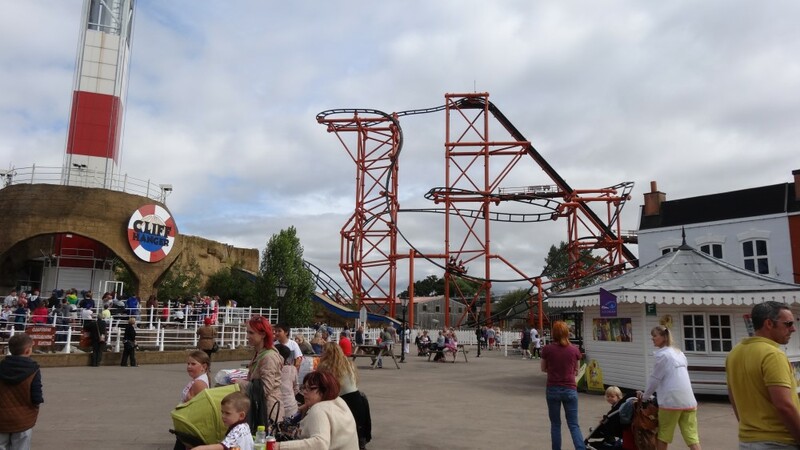 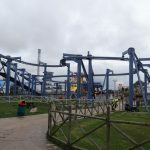 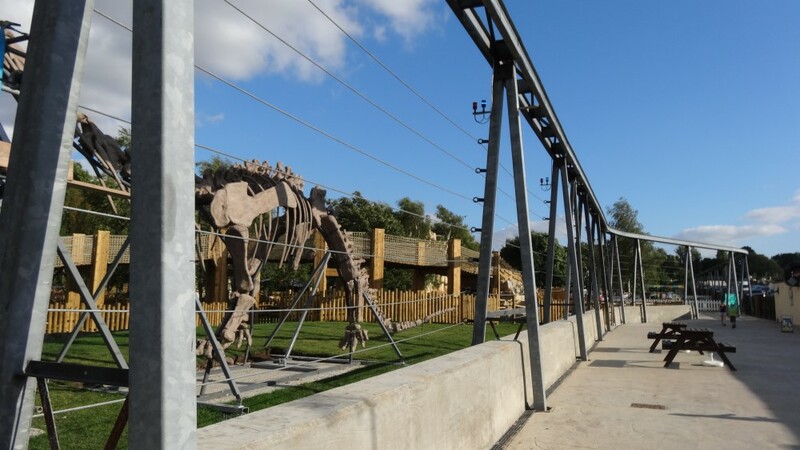 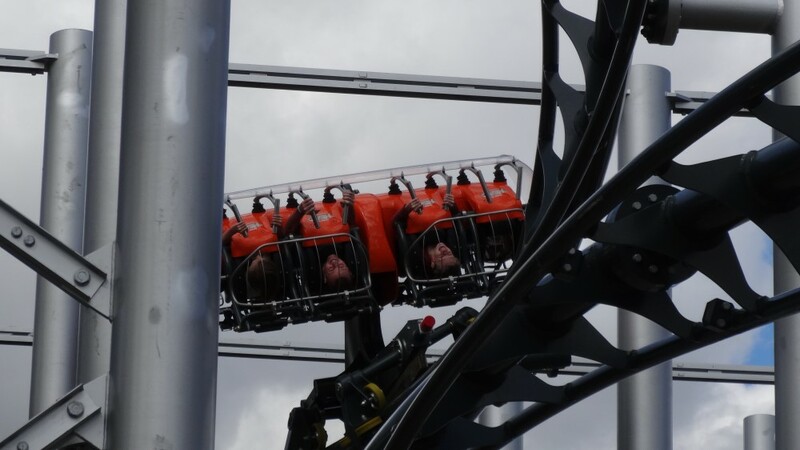 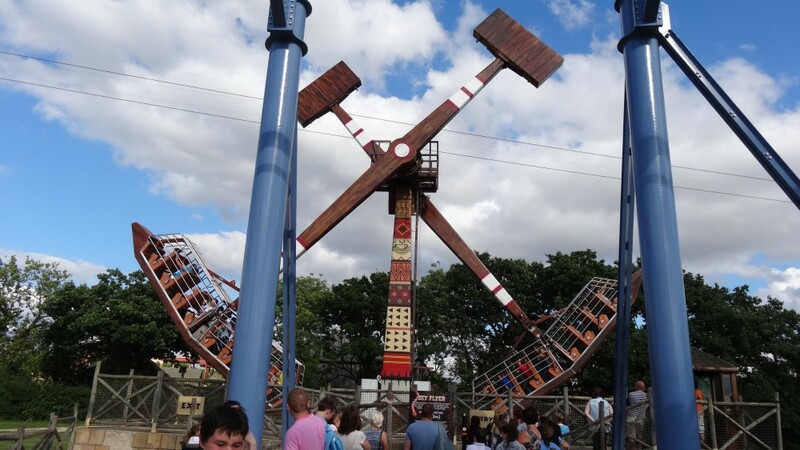 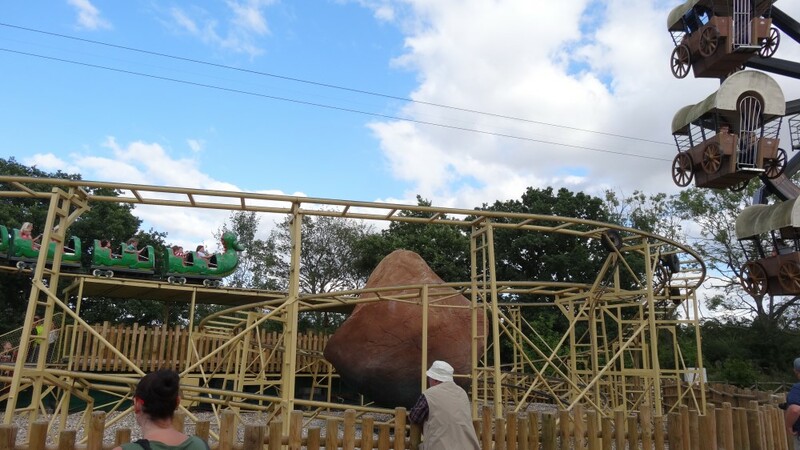 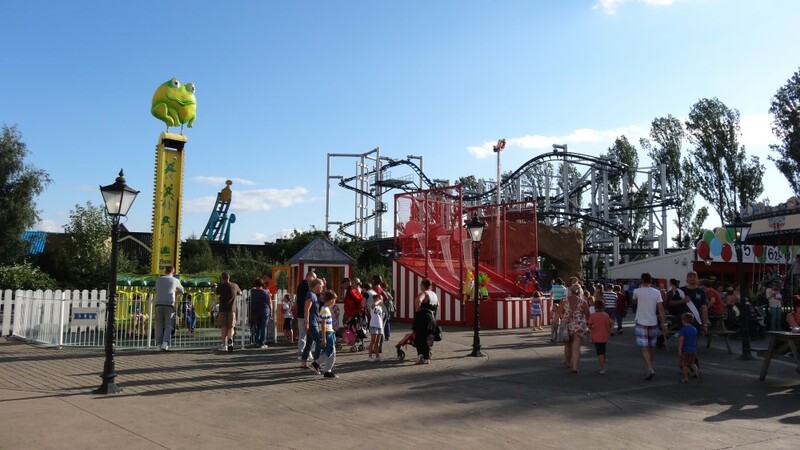 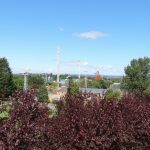 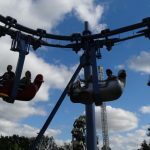 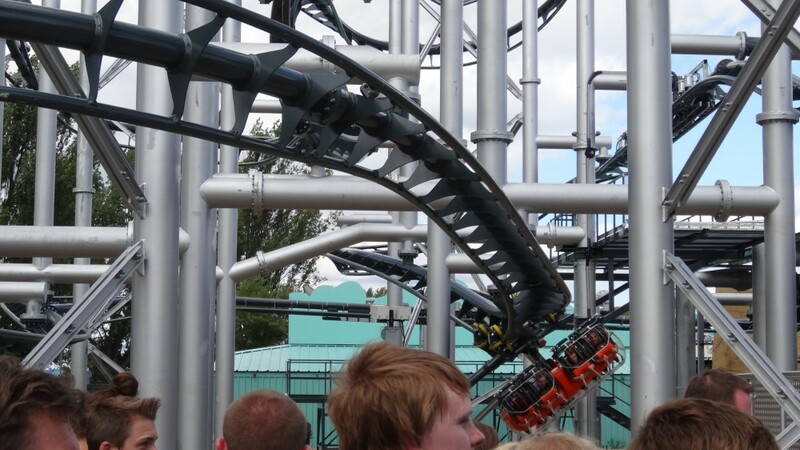 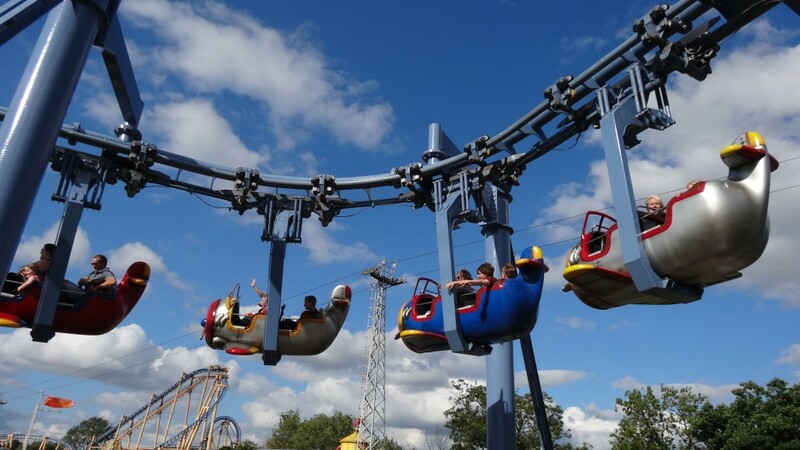 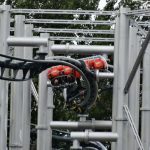 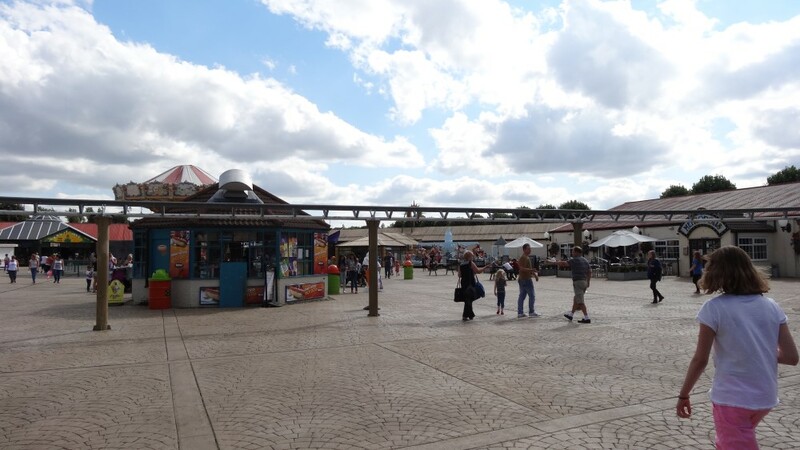 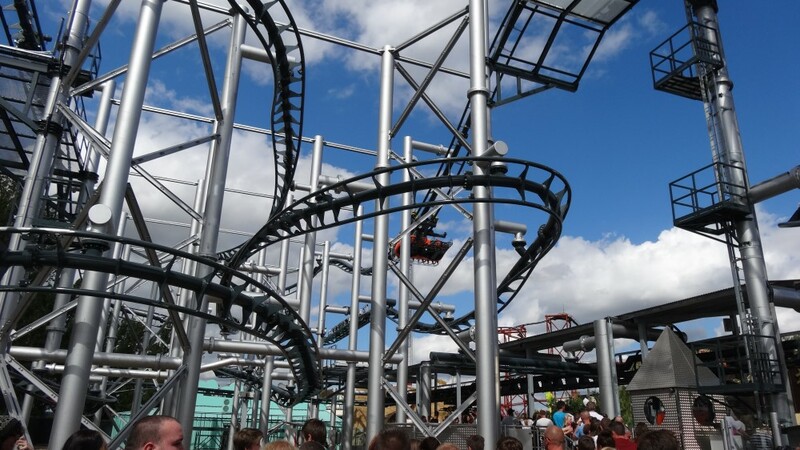 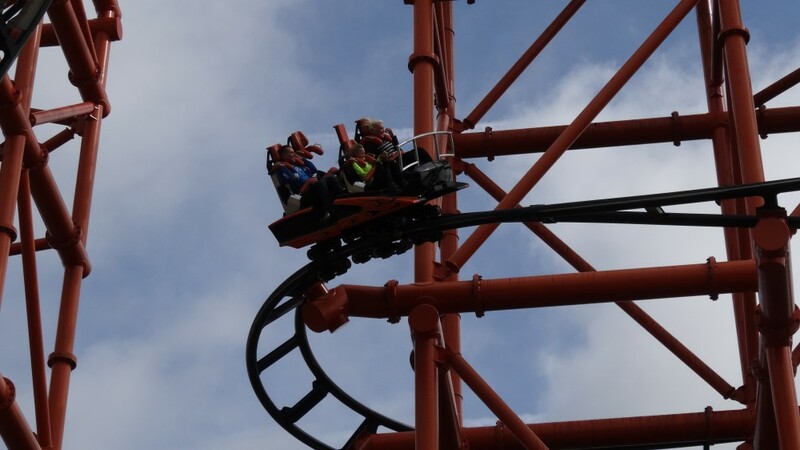 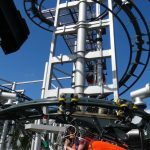 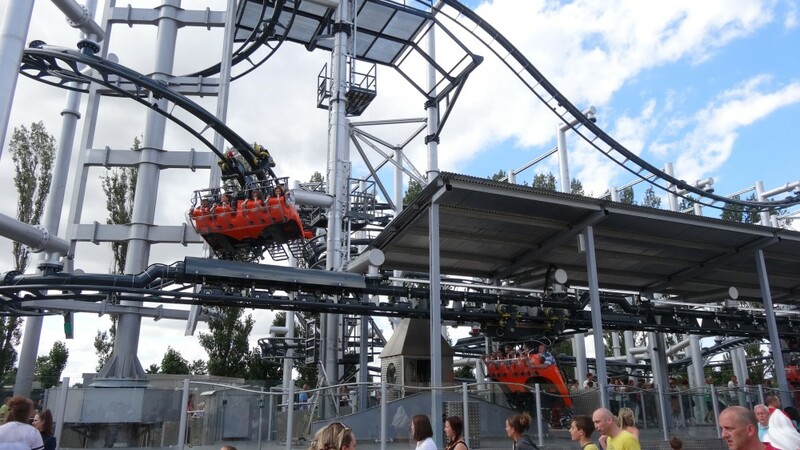 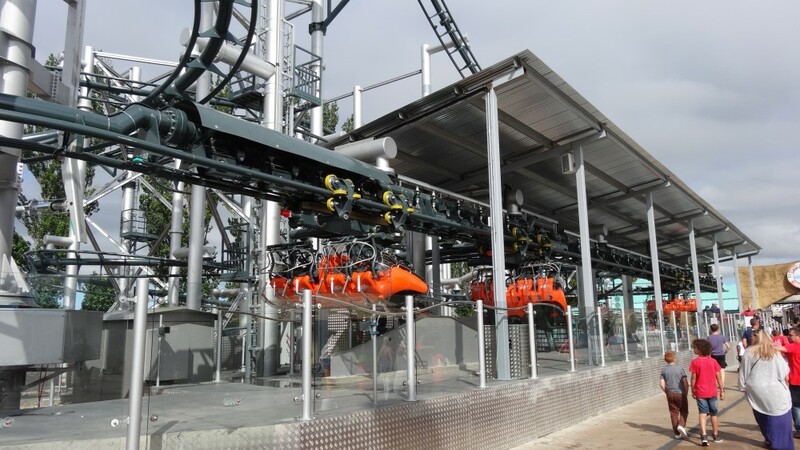 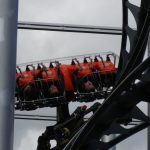 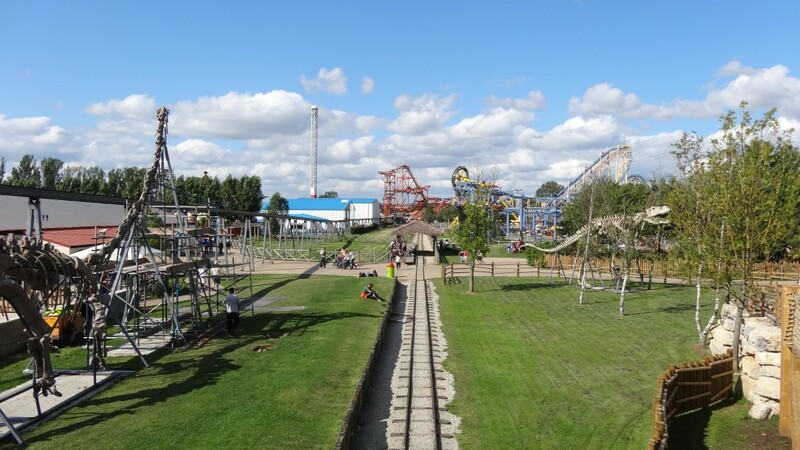 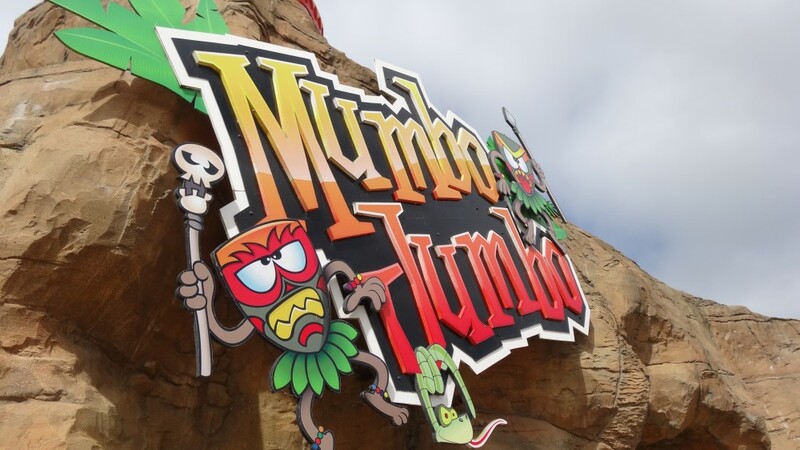 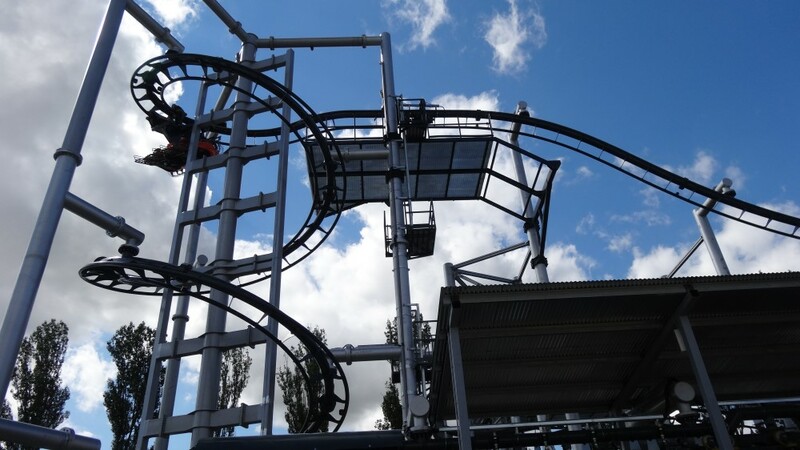 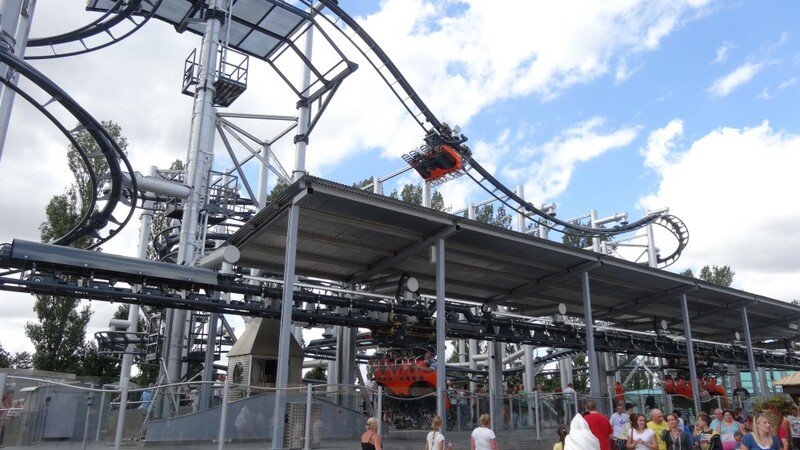 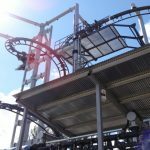 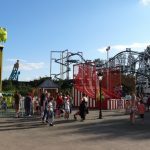 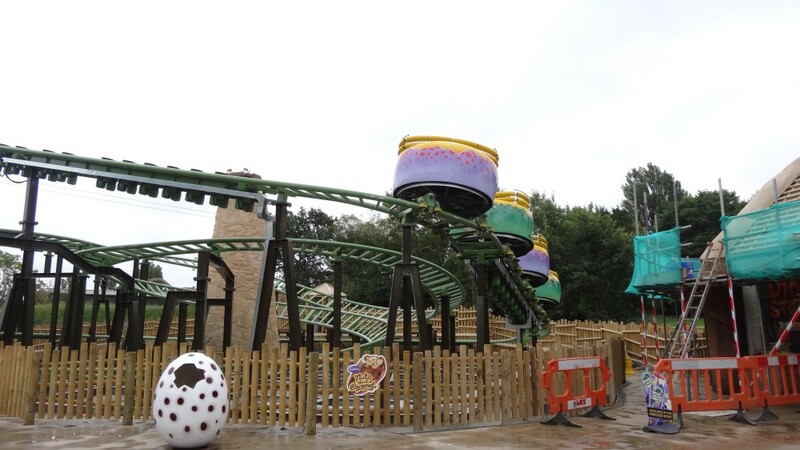 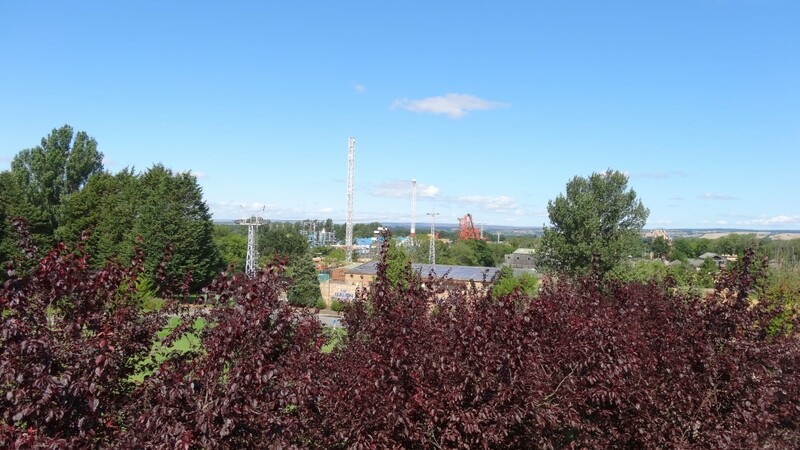 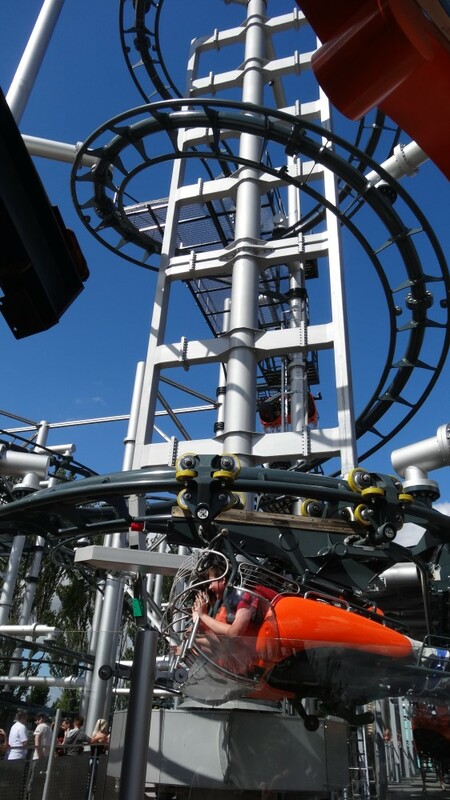 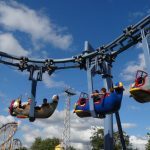 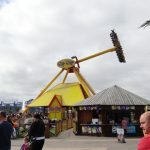 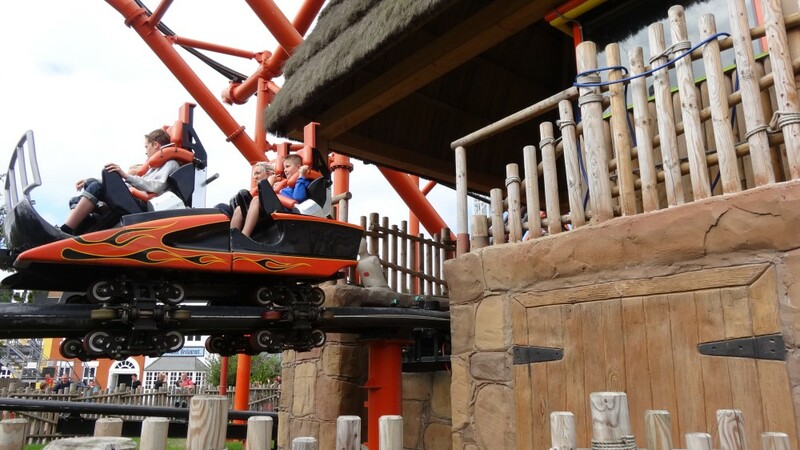 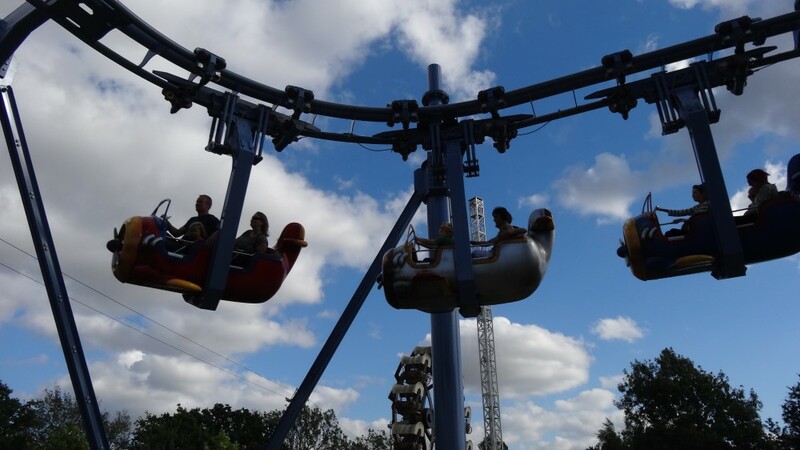 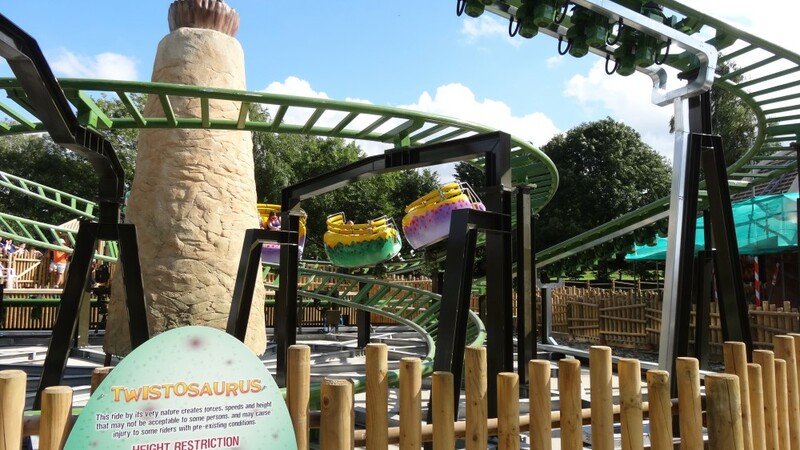 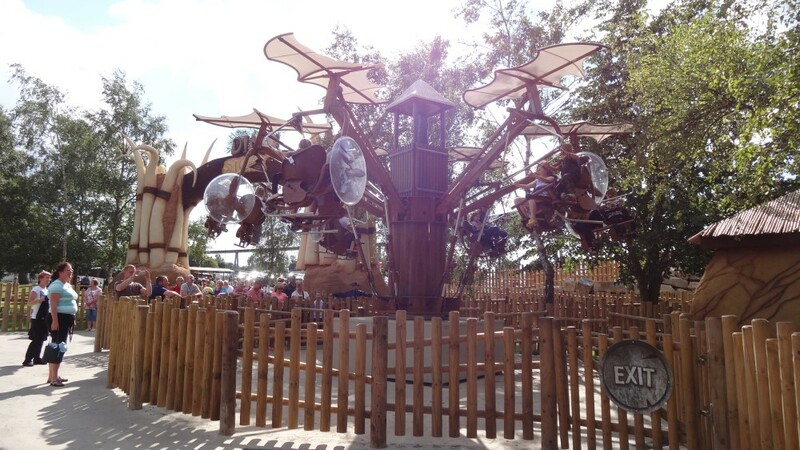 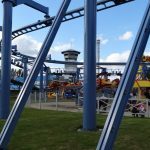 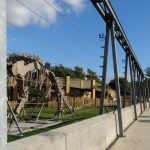 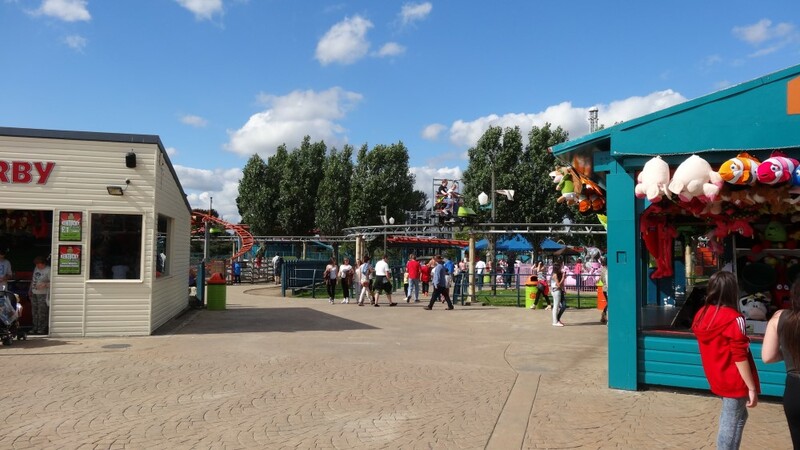 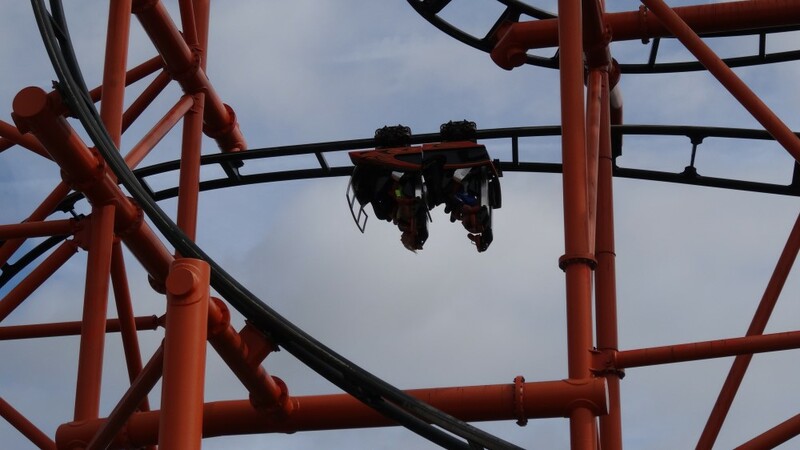 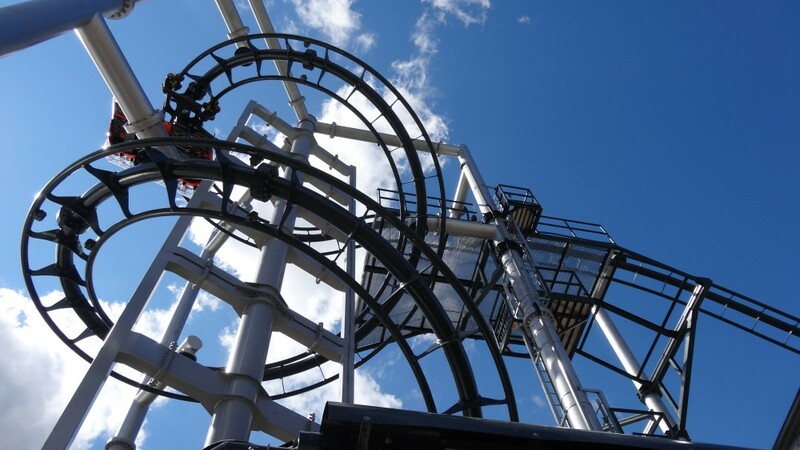 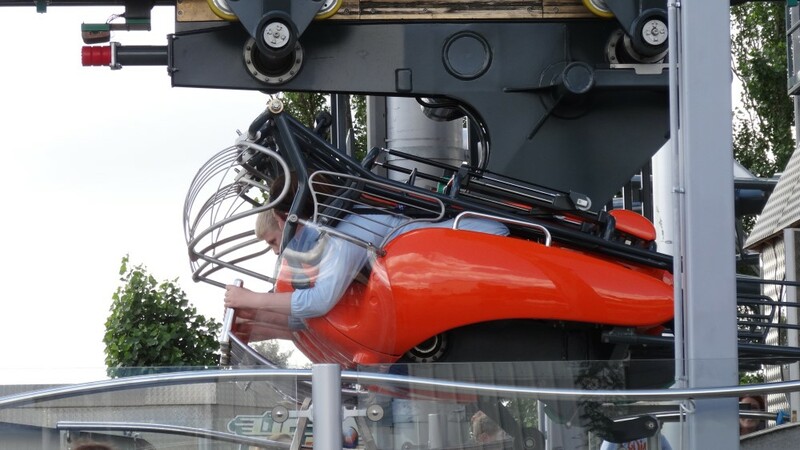 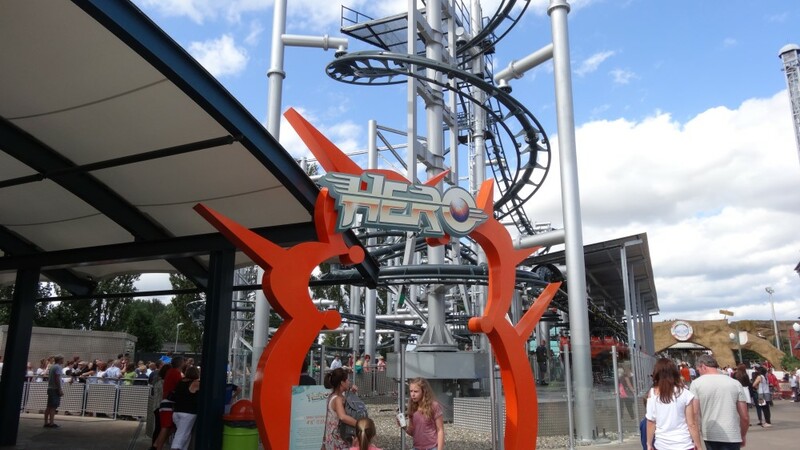 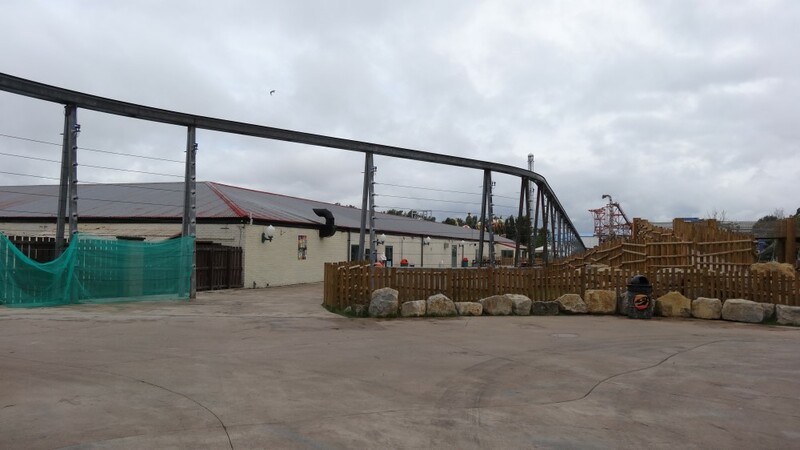 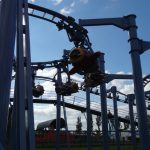 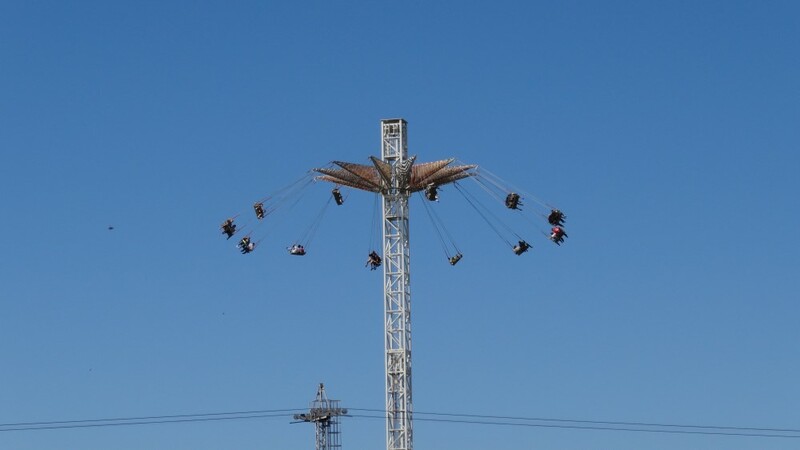 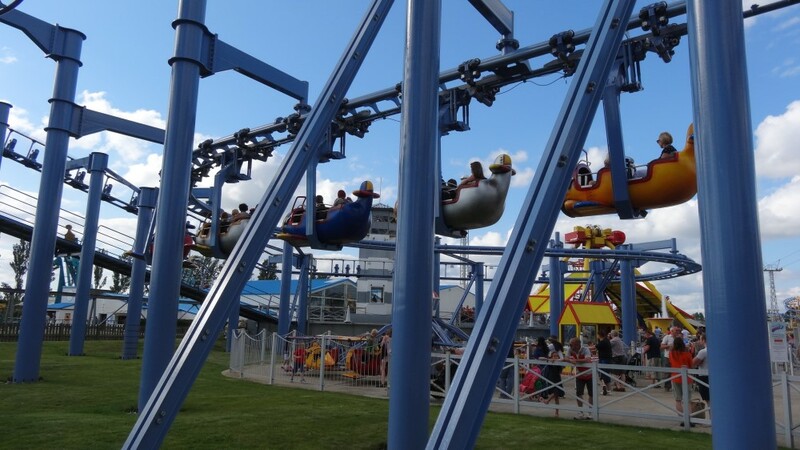 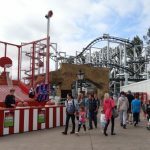 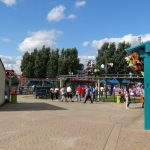 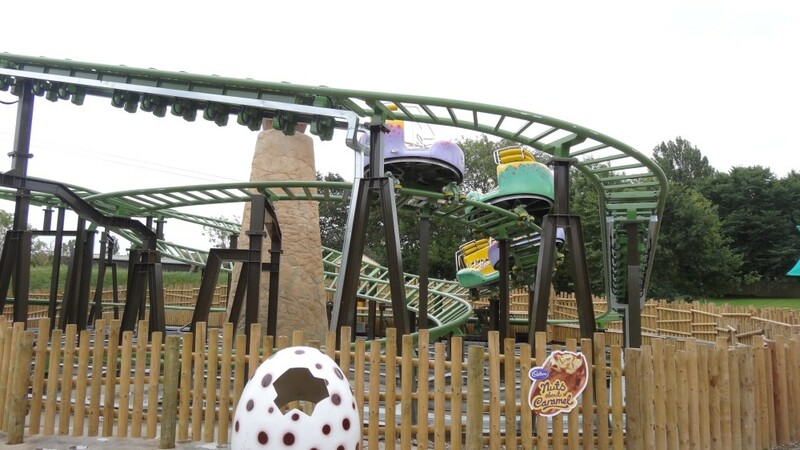 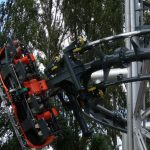 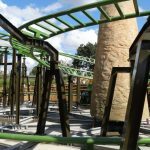 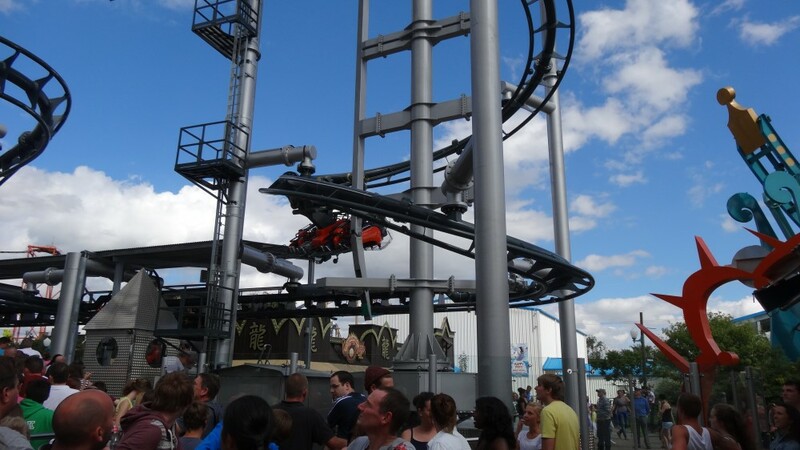 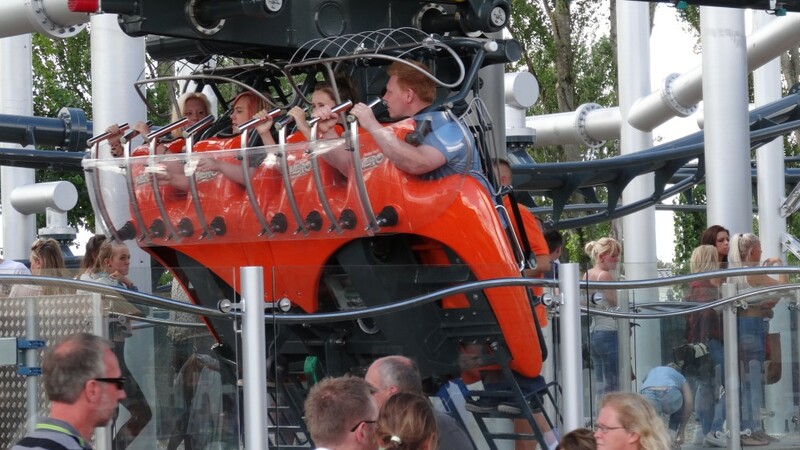 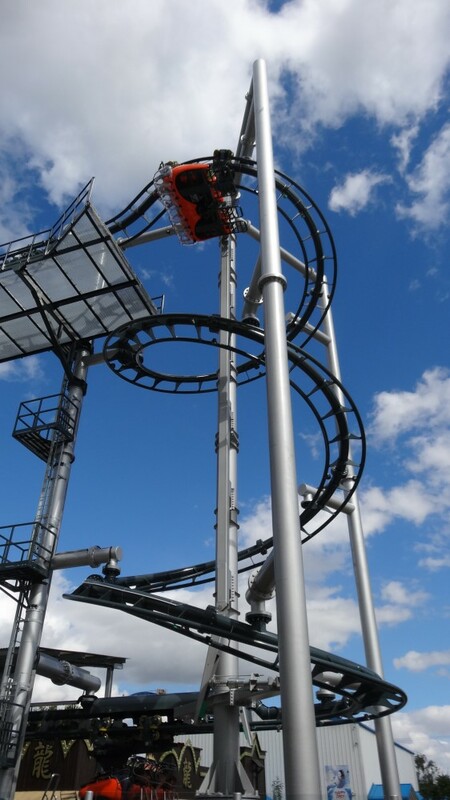 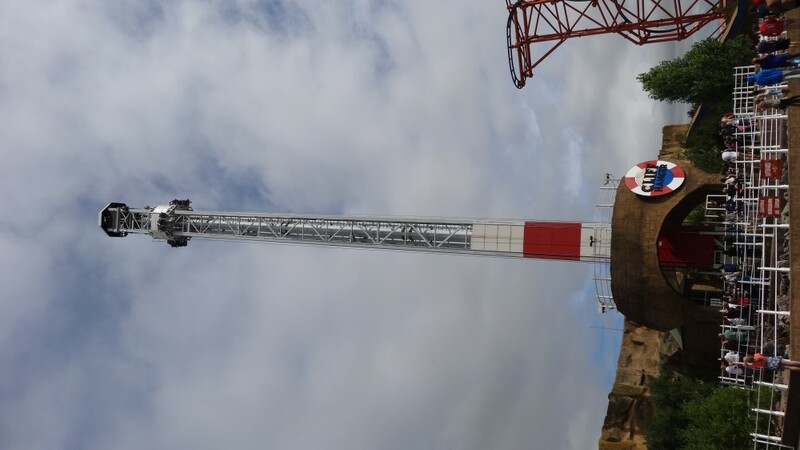 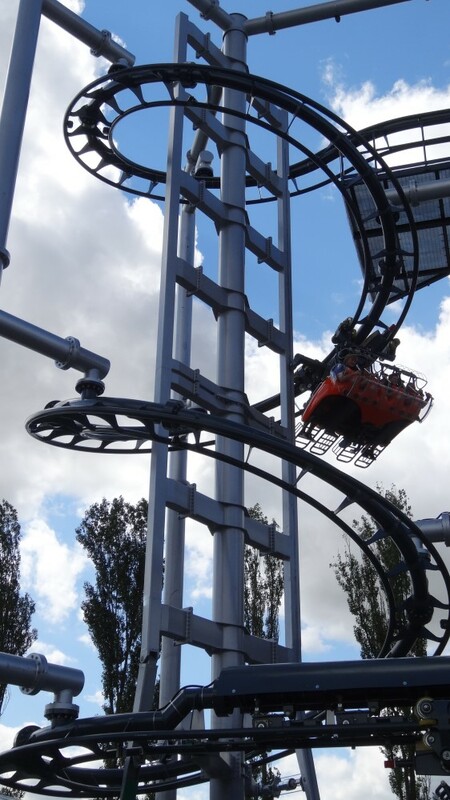 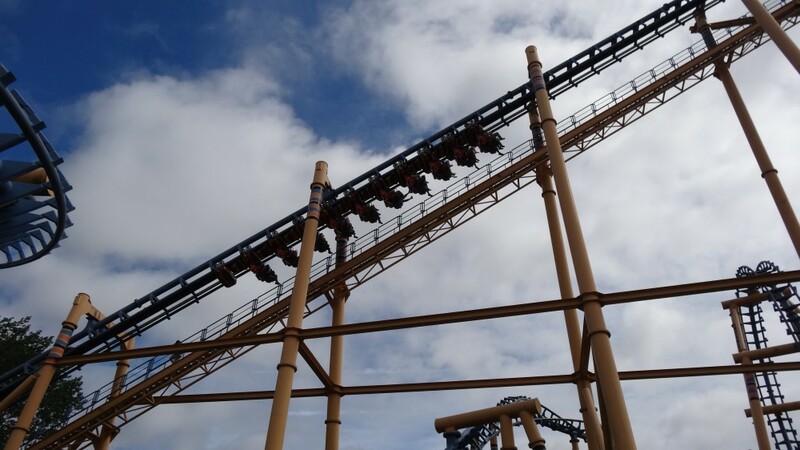 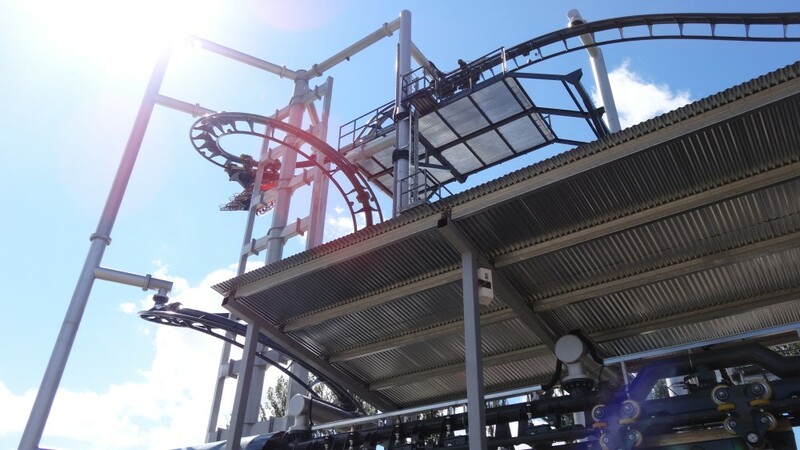 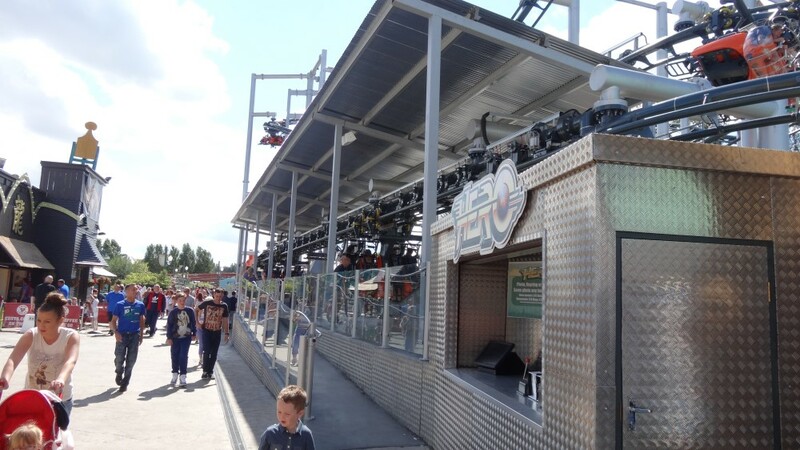 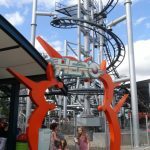 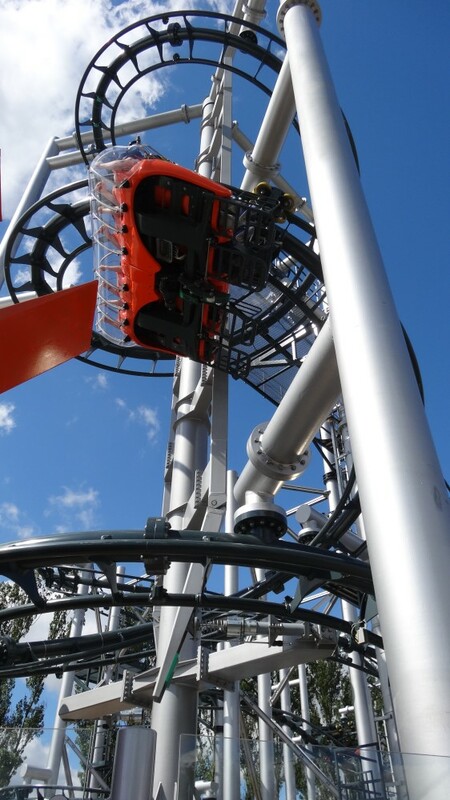 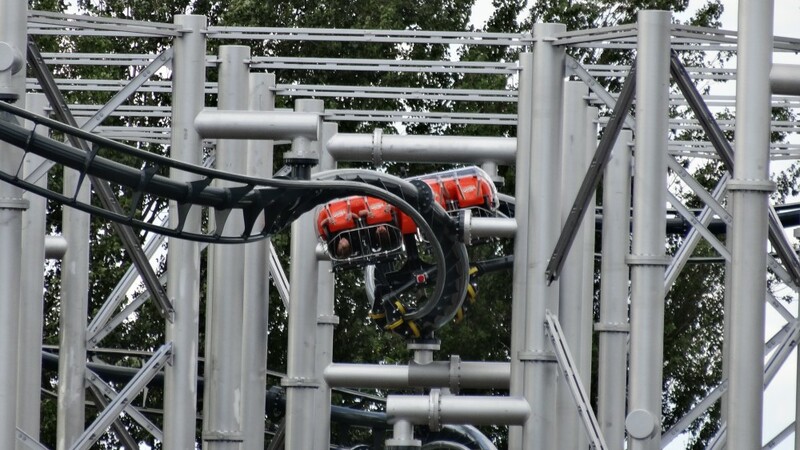 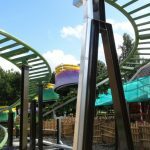 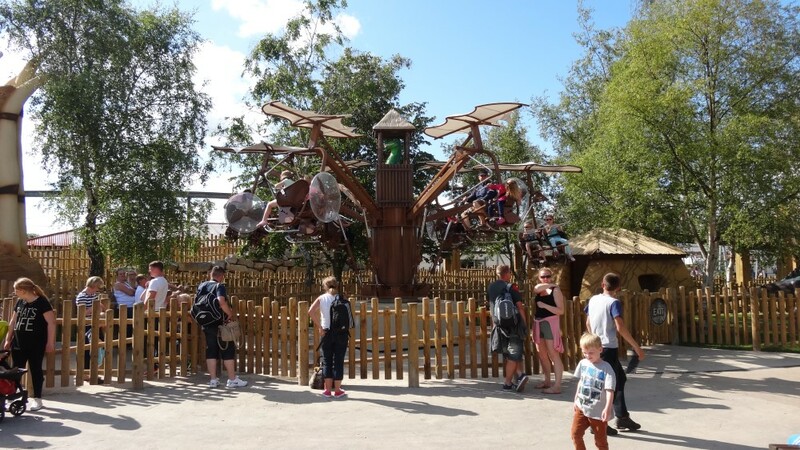 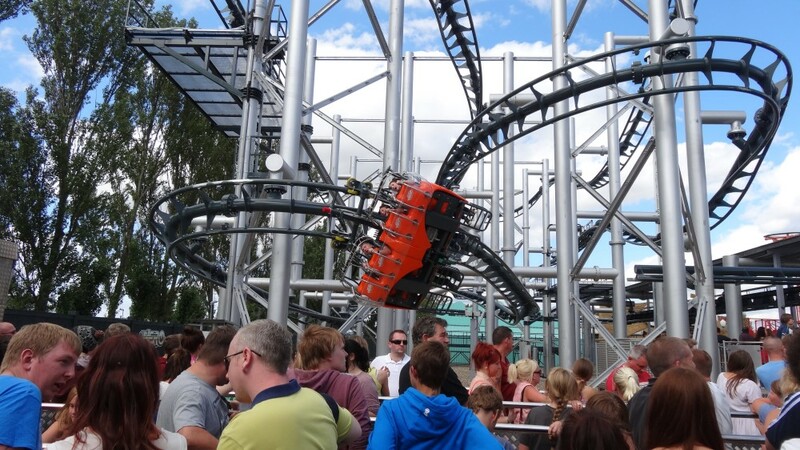 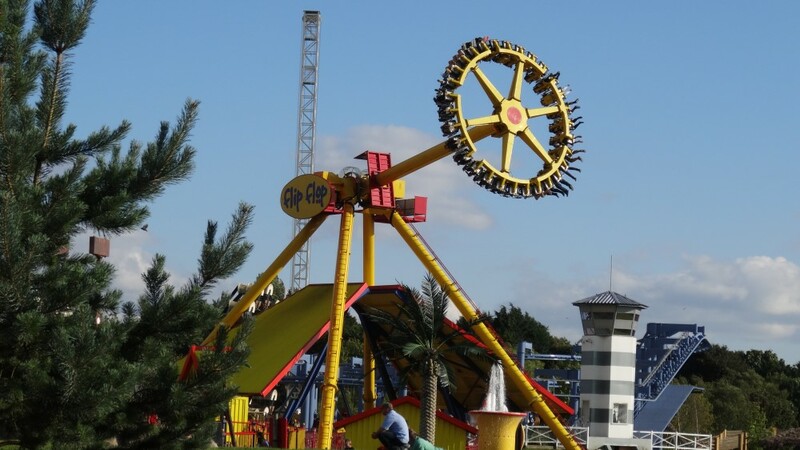 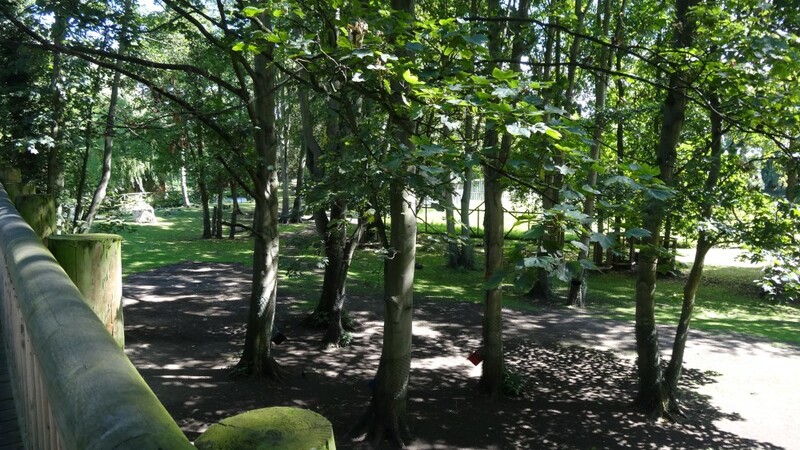 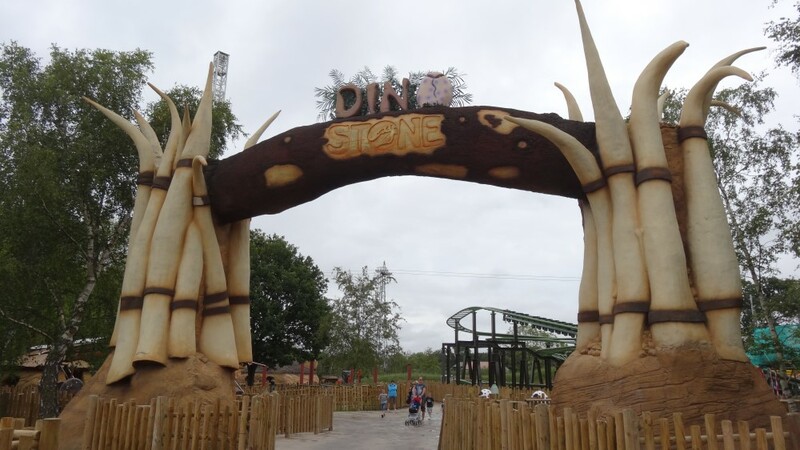 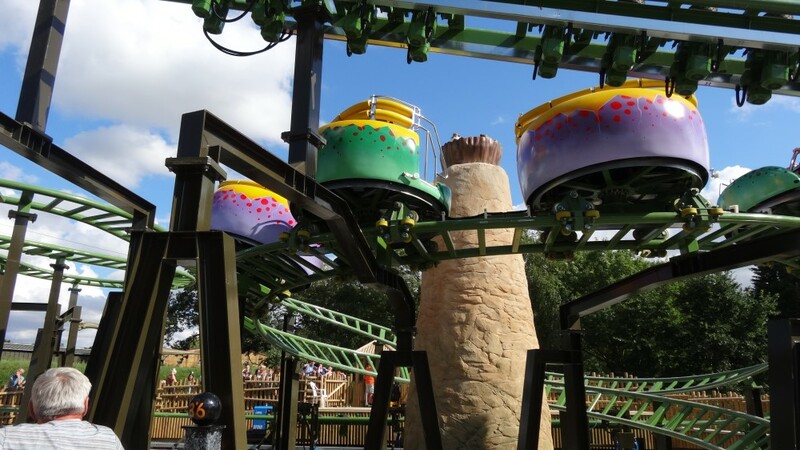 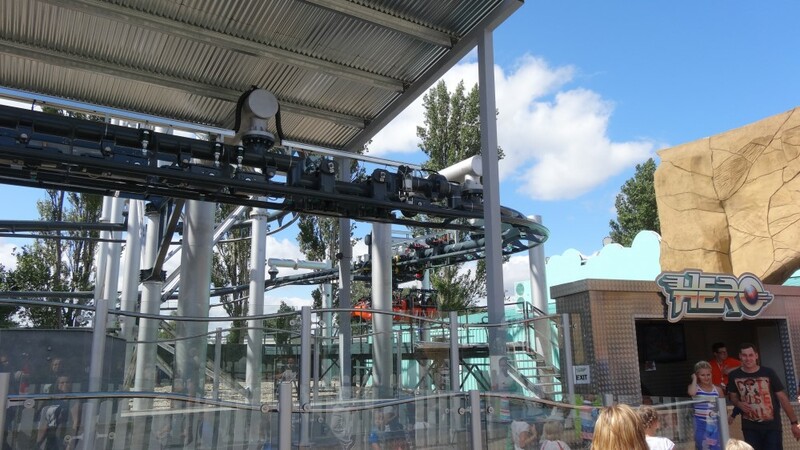 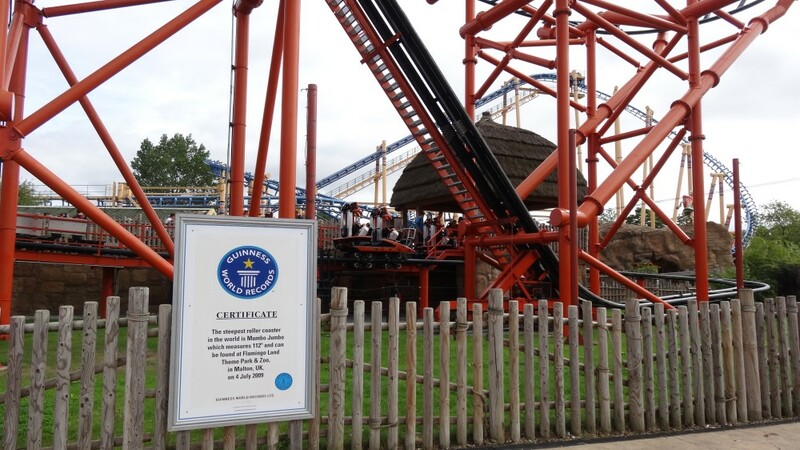 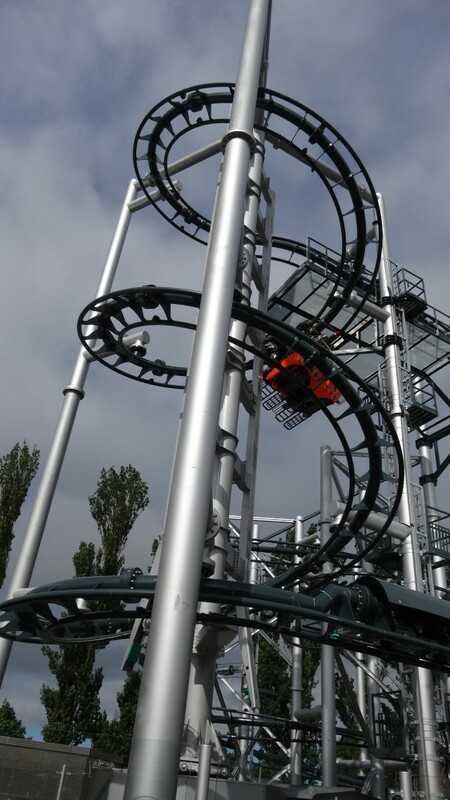 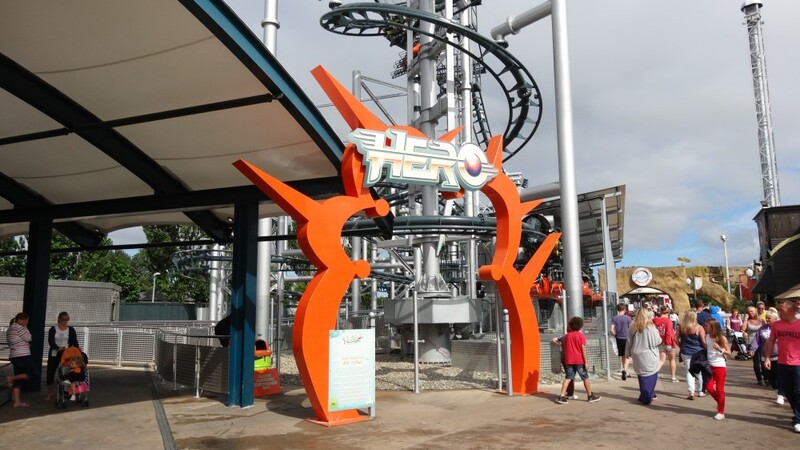 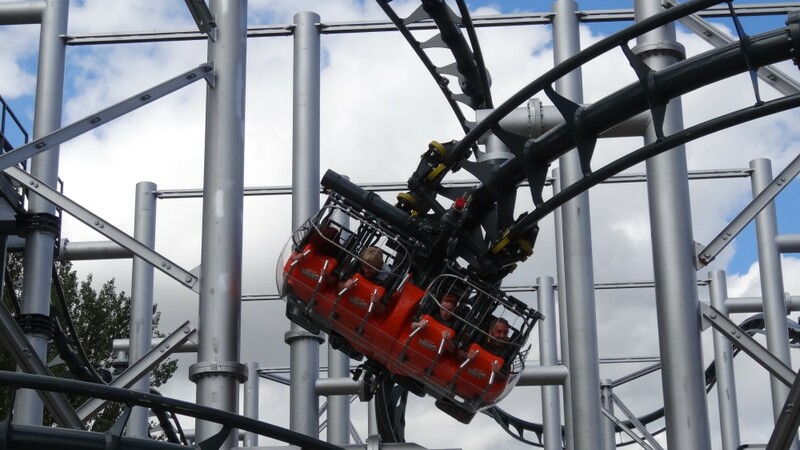 Home to four big coasters including the motorbike coaster Velocity and the strange flying ride Hero Flamingo Land also hosts thrill and family rides for all ages. 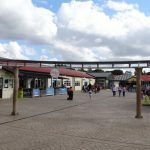 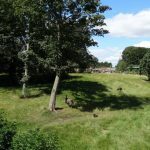 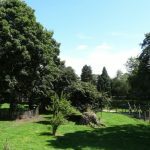 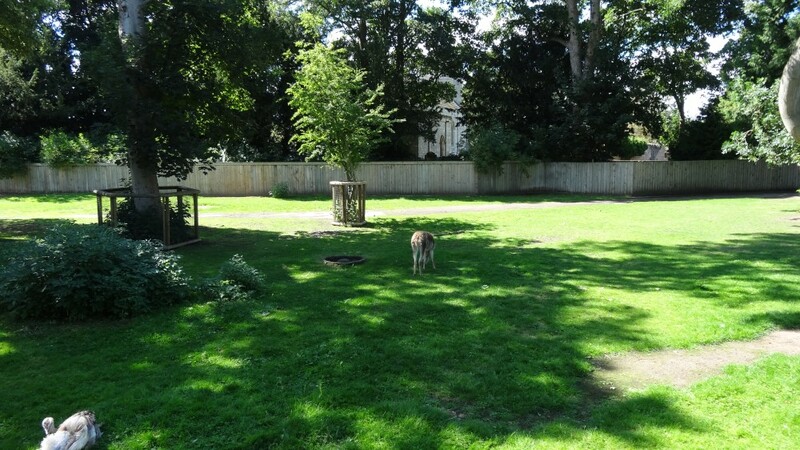 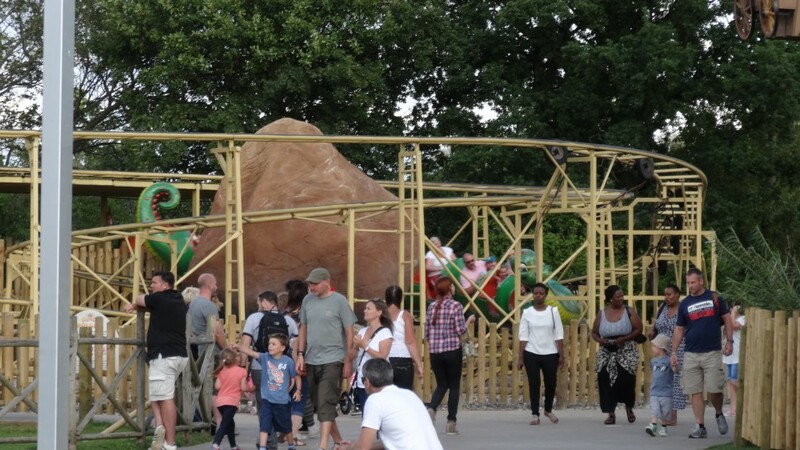 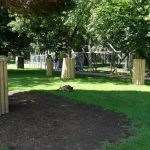 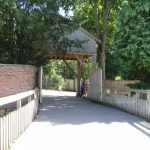 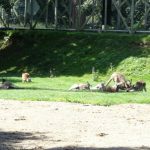 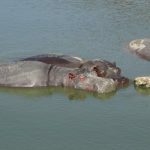 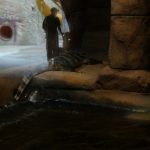 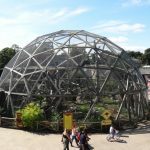 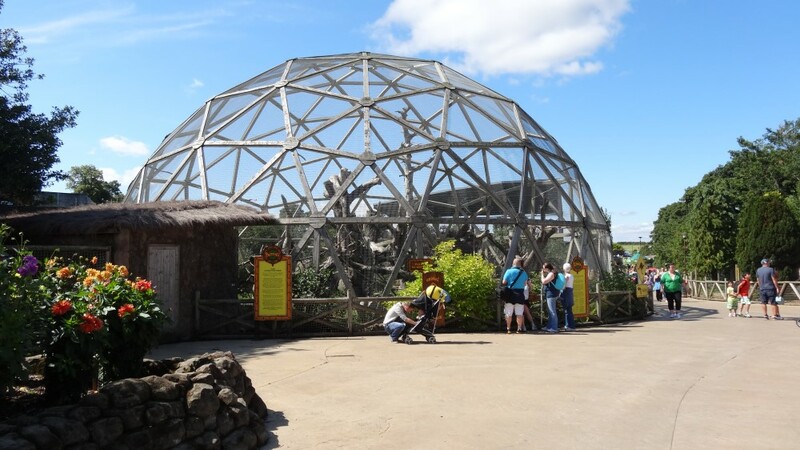 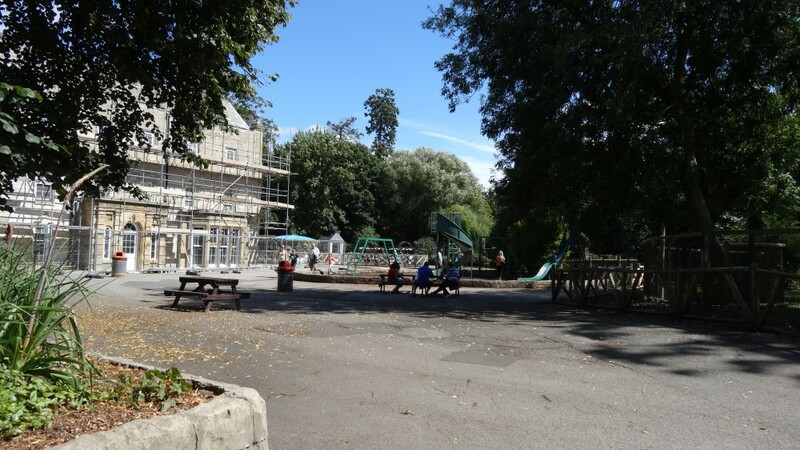 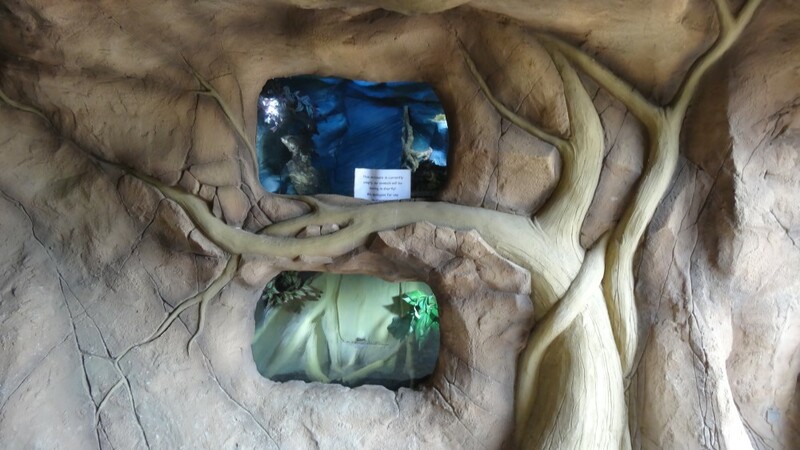 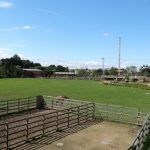 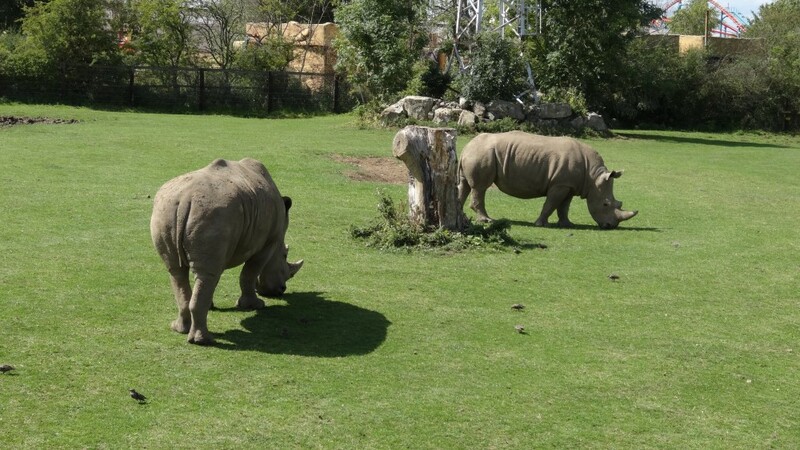 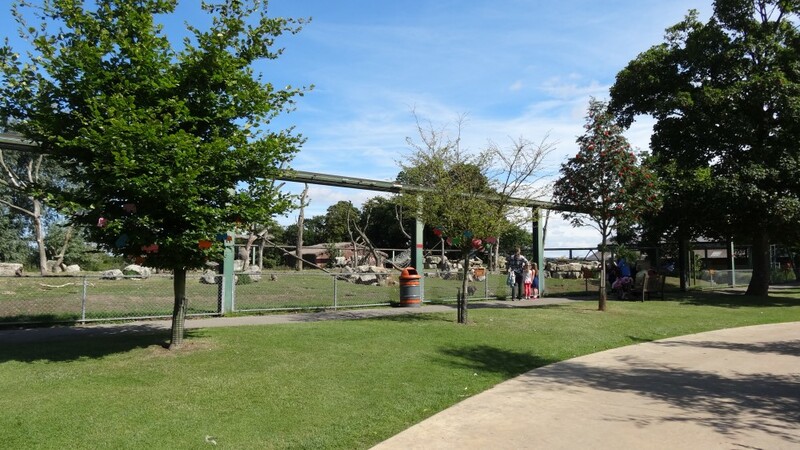 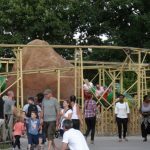 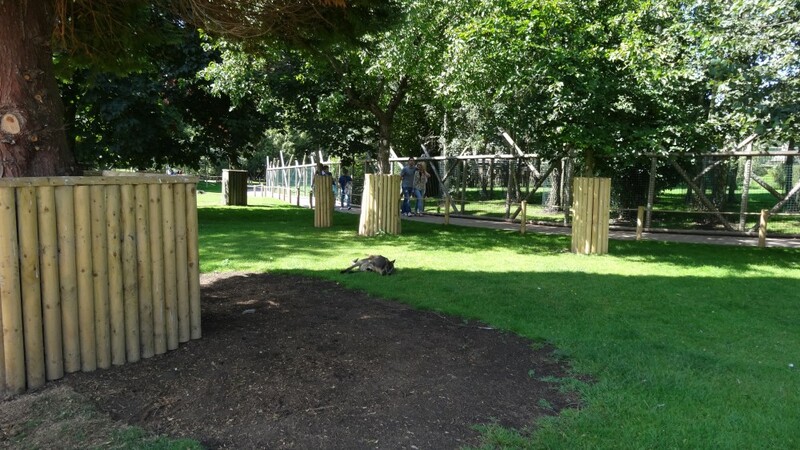 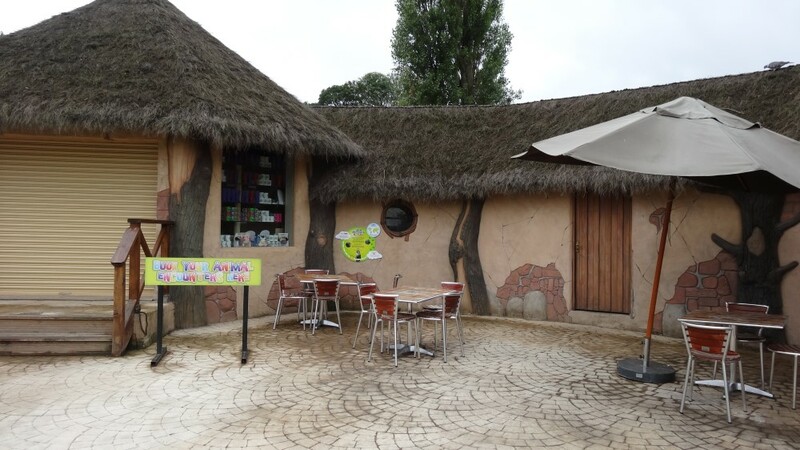 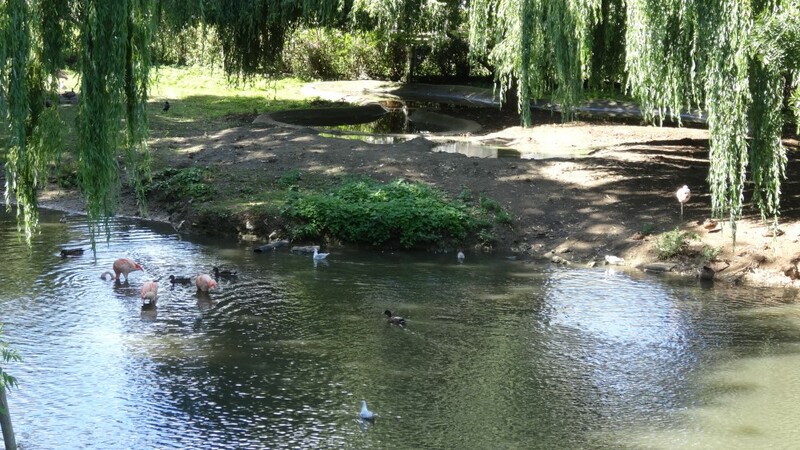 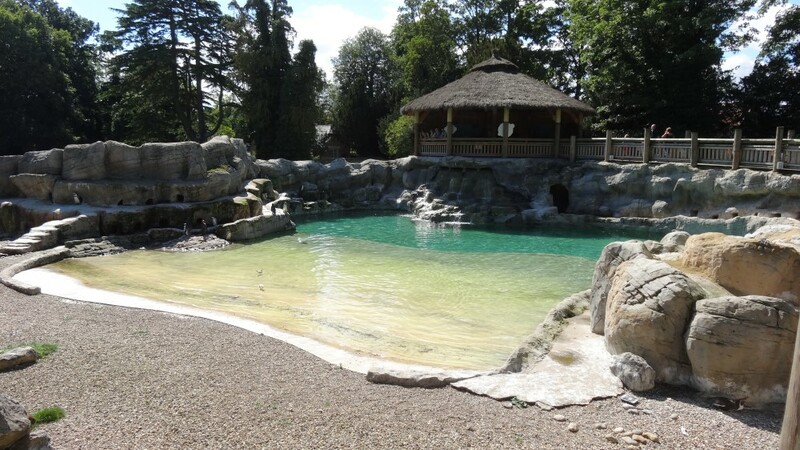 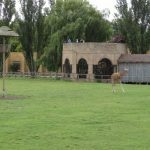 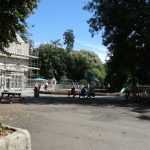 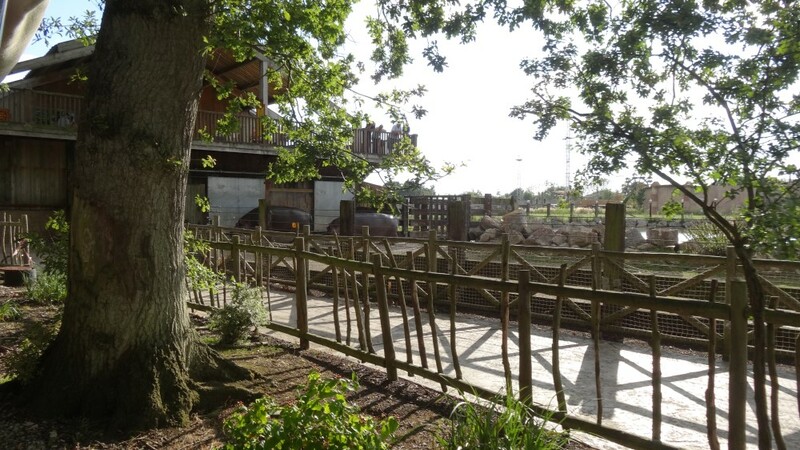 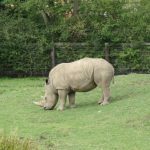 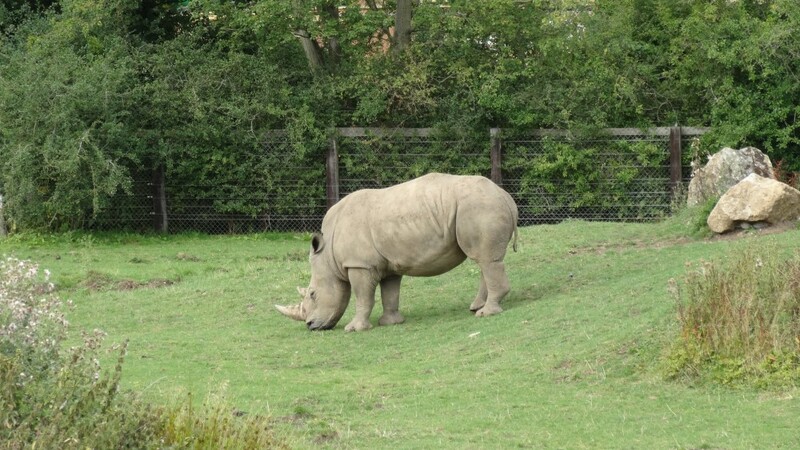 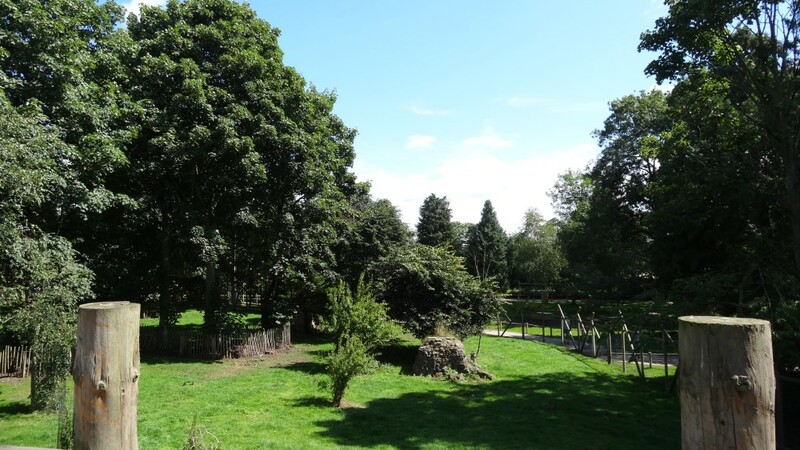 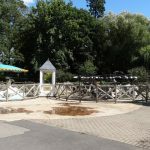 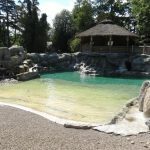 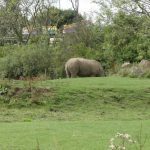 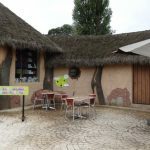 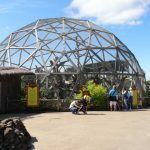 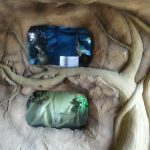 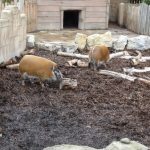 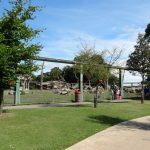 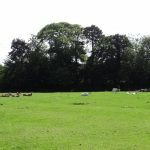 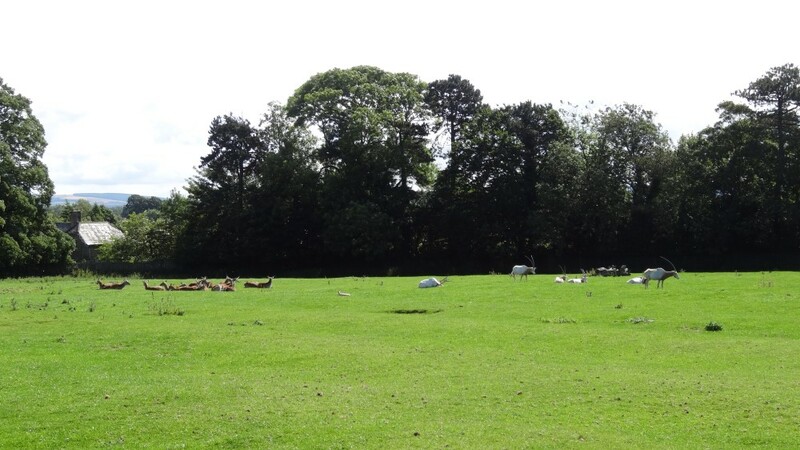 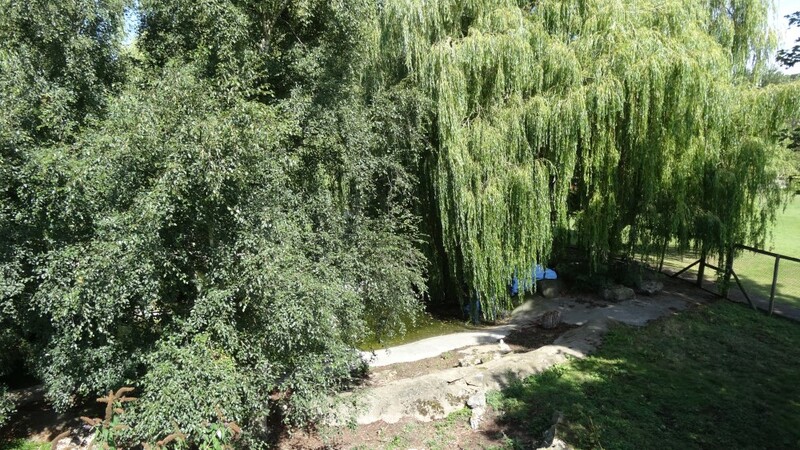 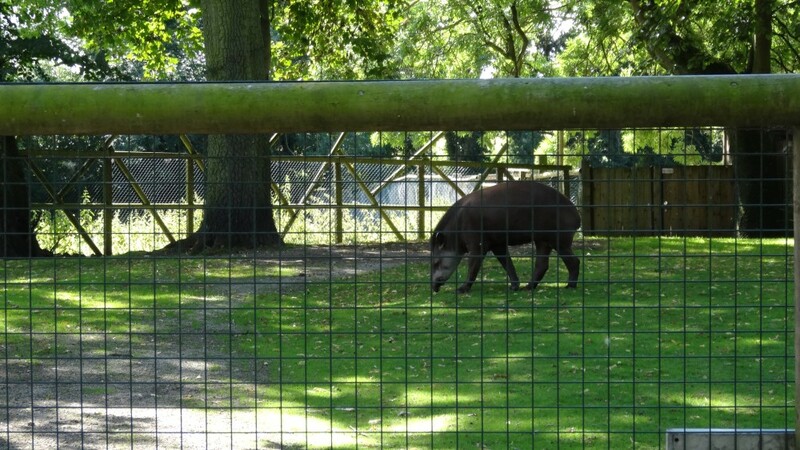 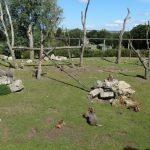 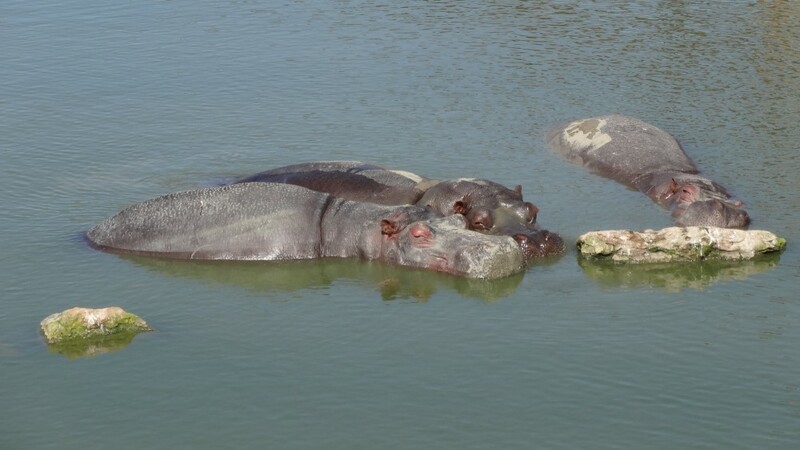 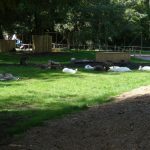 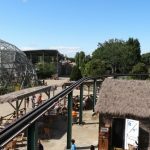 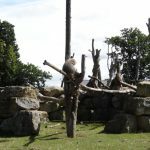 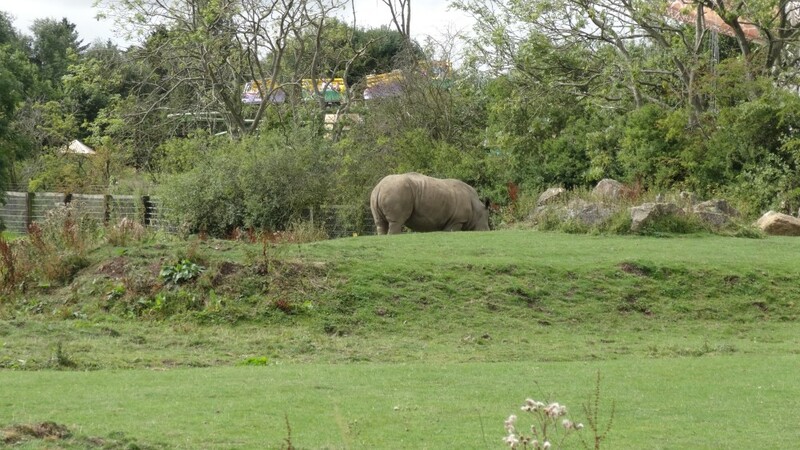 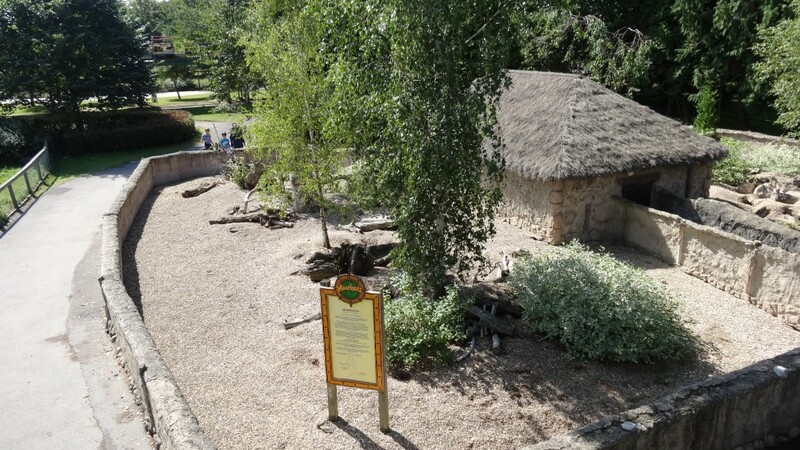 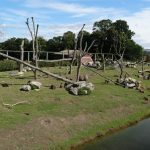 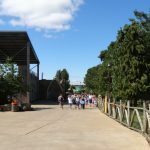 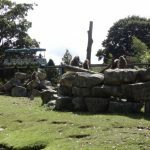 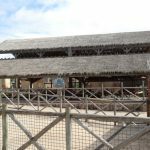 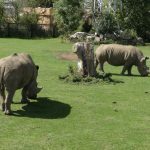 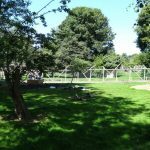 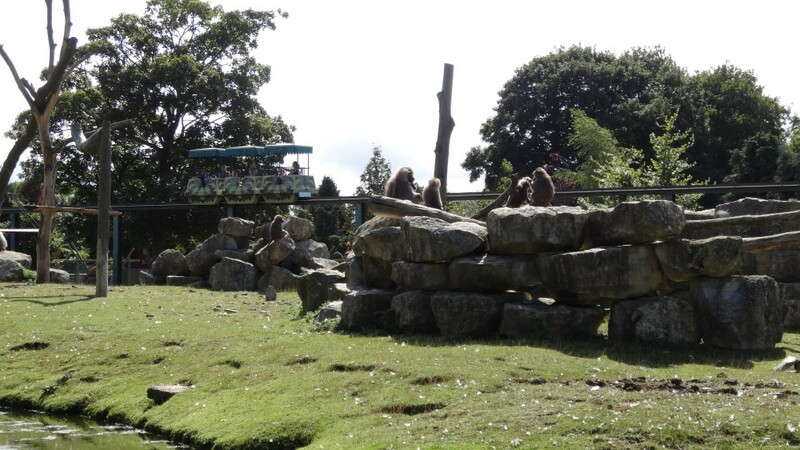 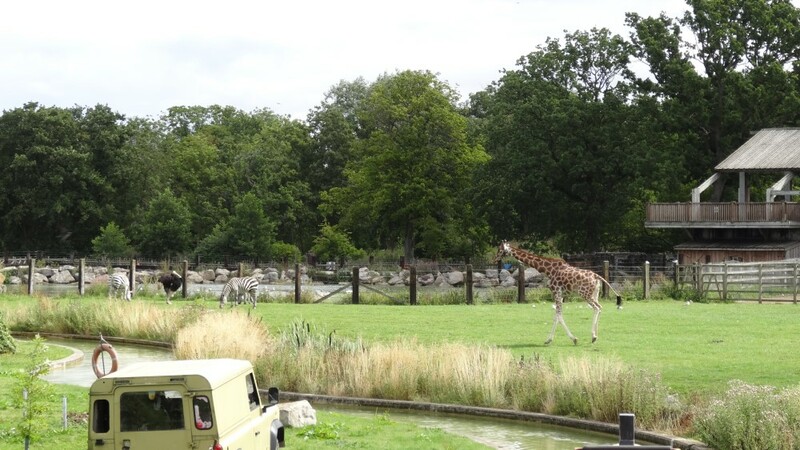 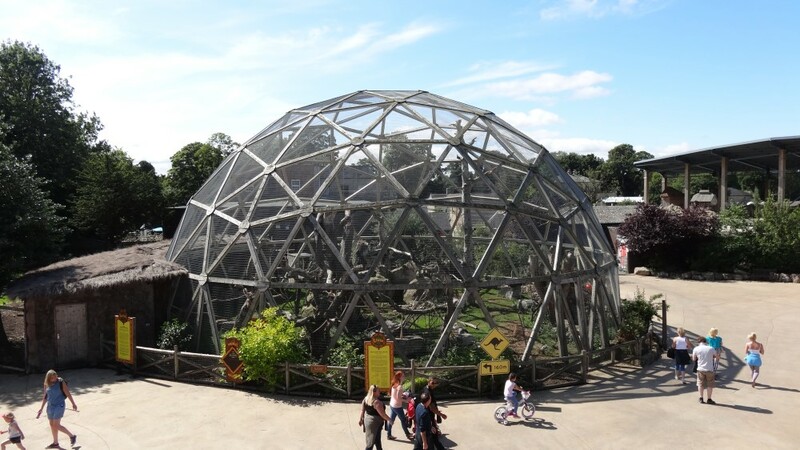 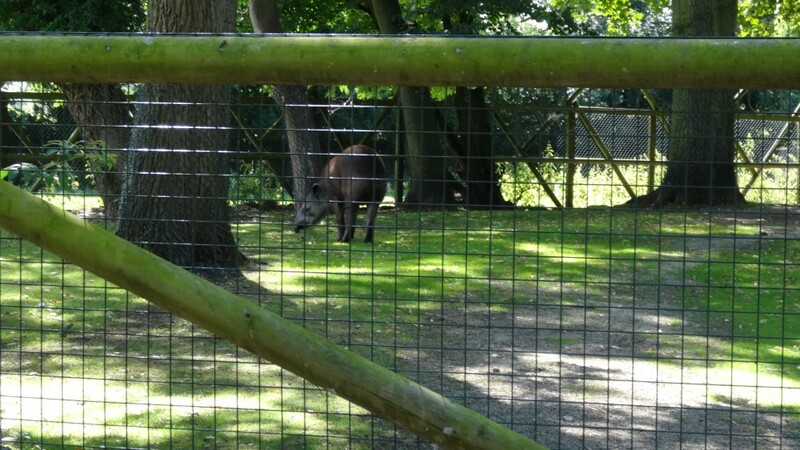 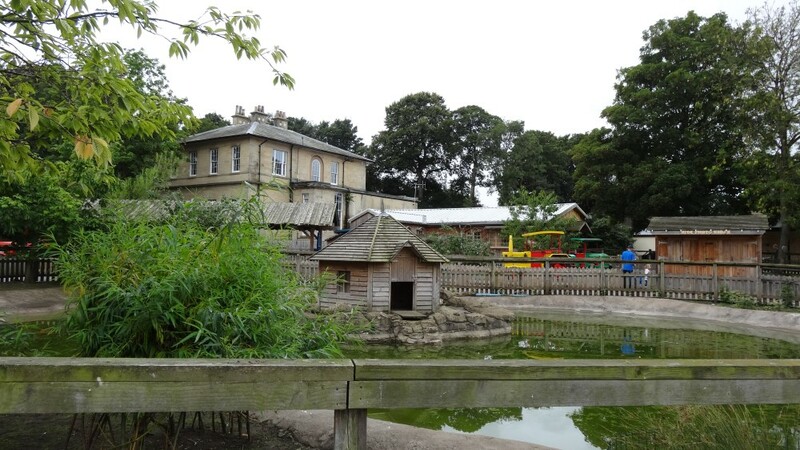 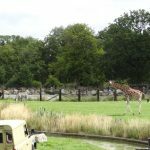 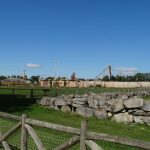 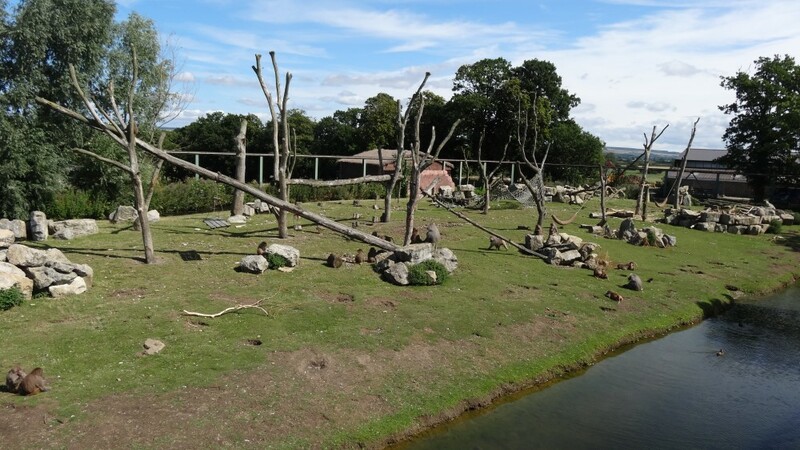 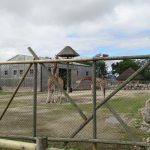 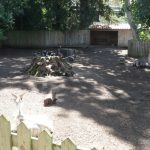 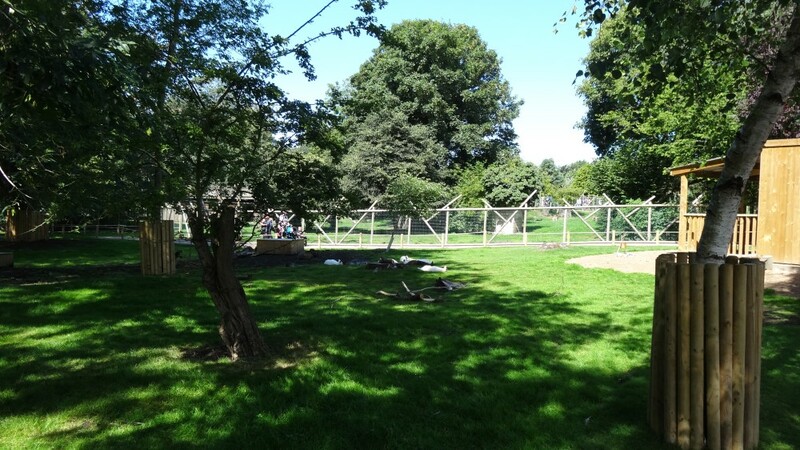 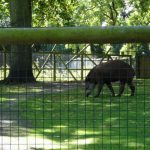 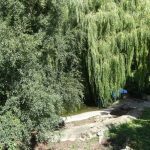 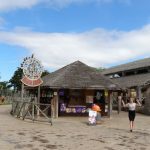 The other massive part of the park is the Zoo area, home to a host of the “large” animals including Hippo and Rhino the Zoo is as big as the theme park really adding to the day out. 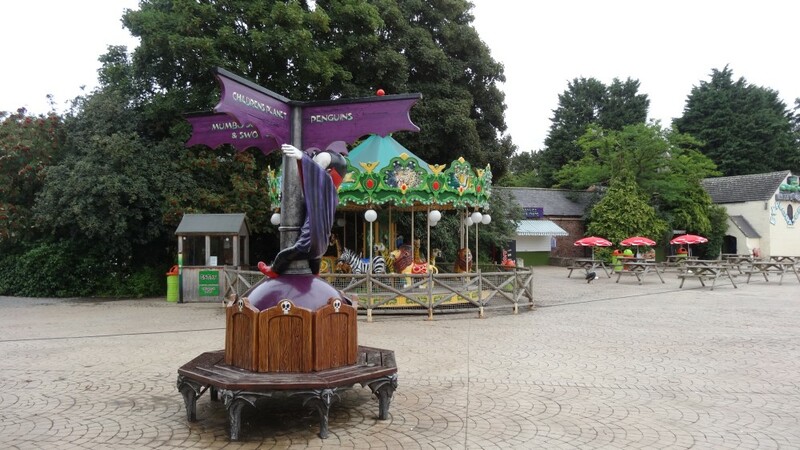 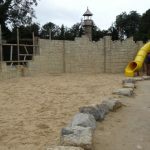 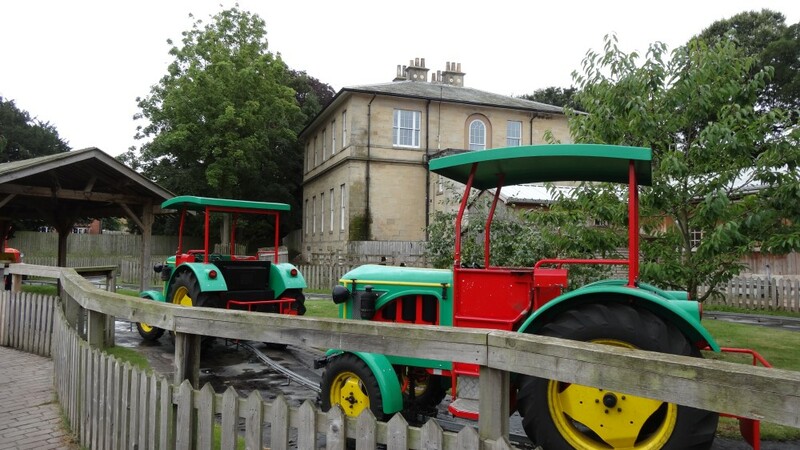 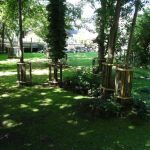 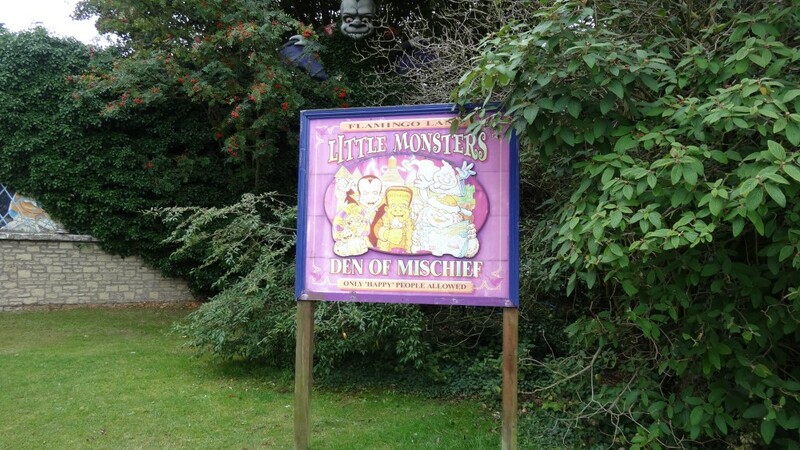 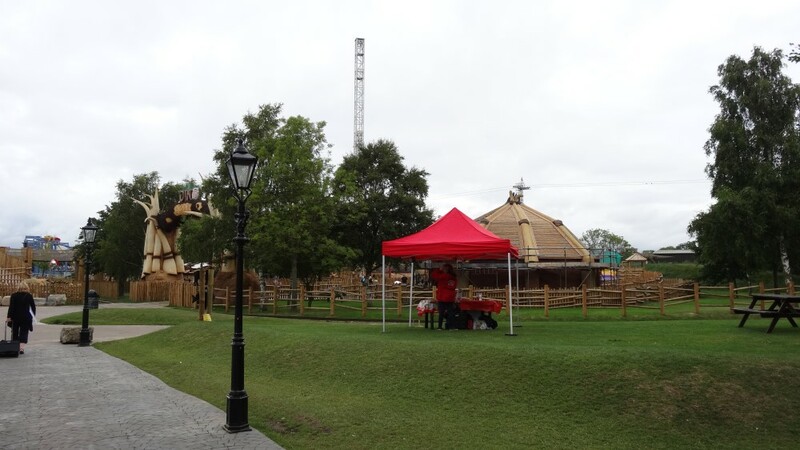 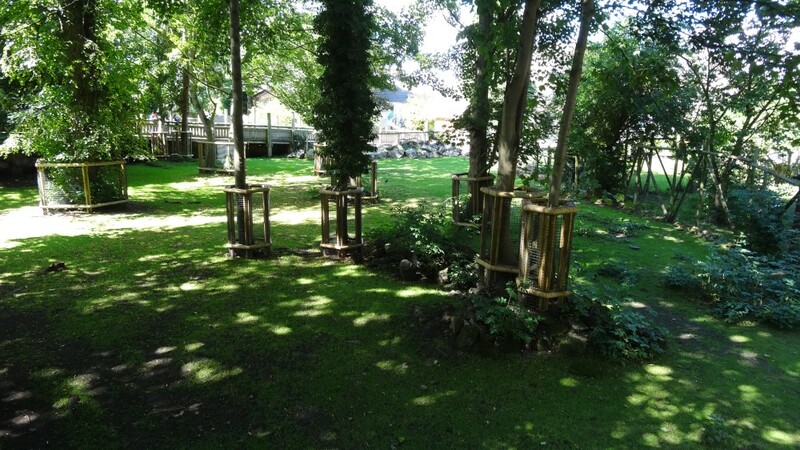 With some themed rides and areas there is enough to keep you busy. 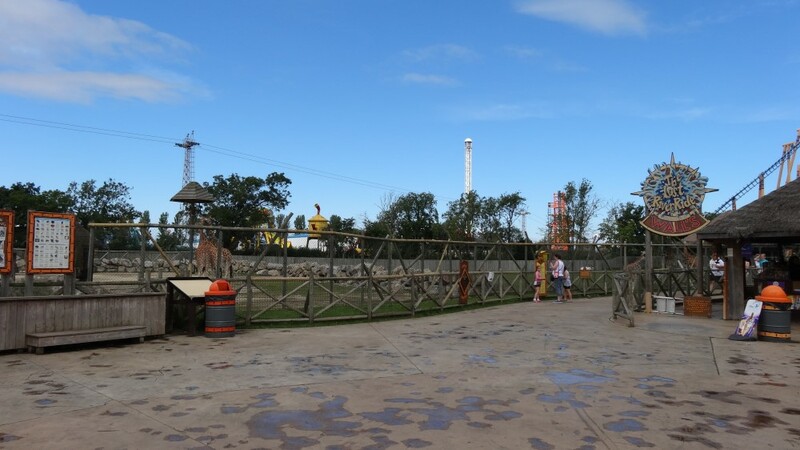 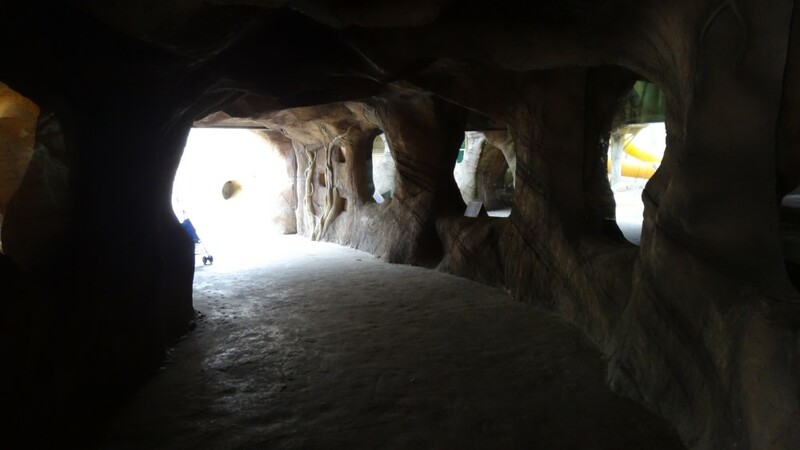 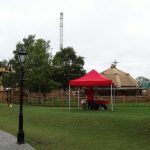 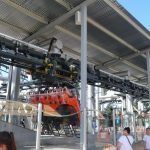 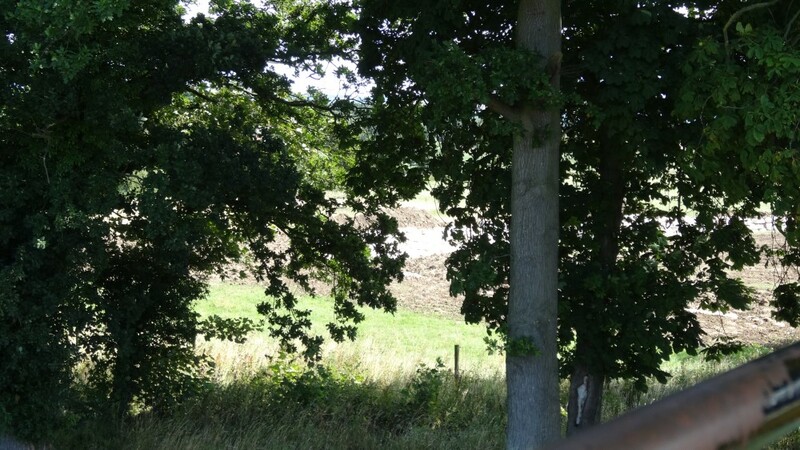 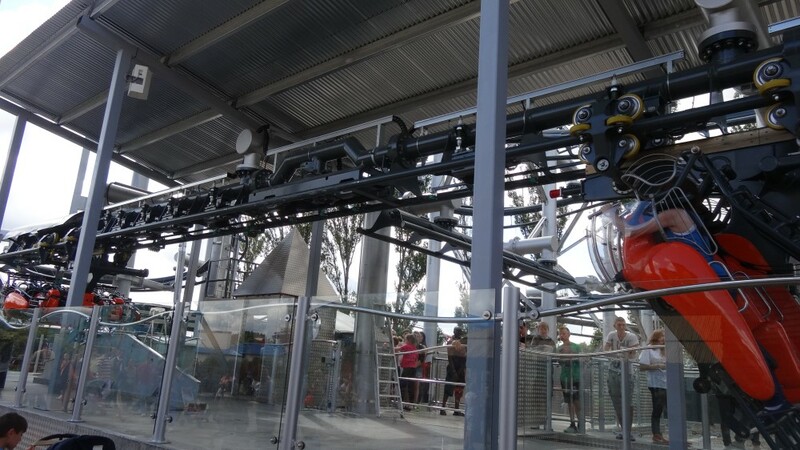 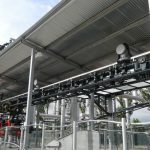 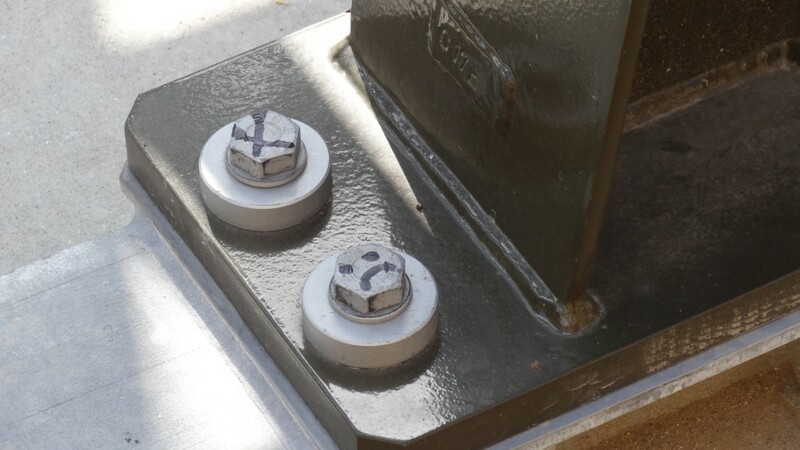 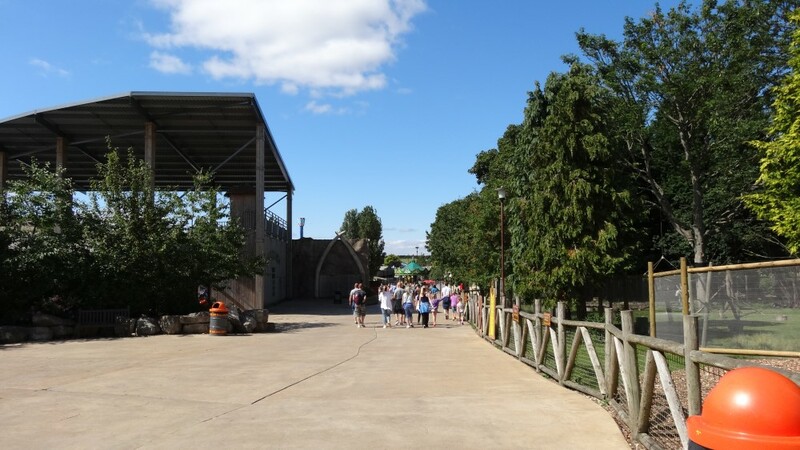 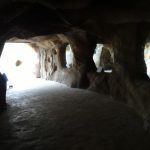 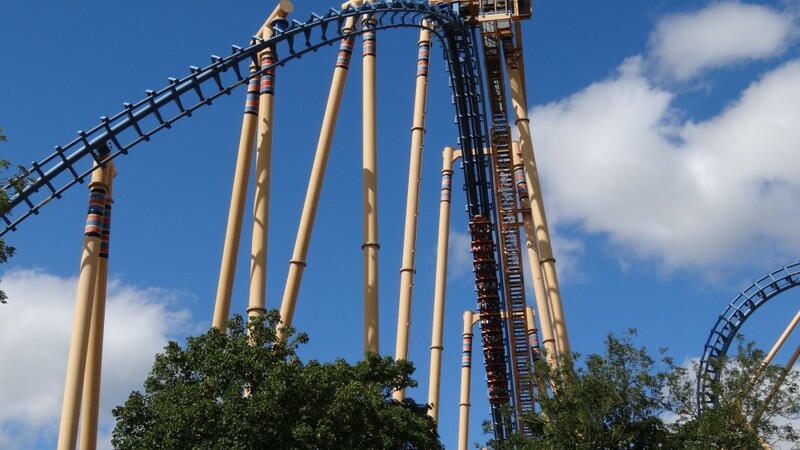 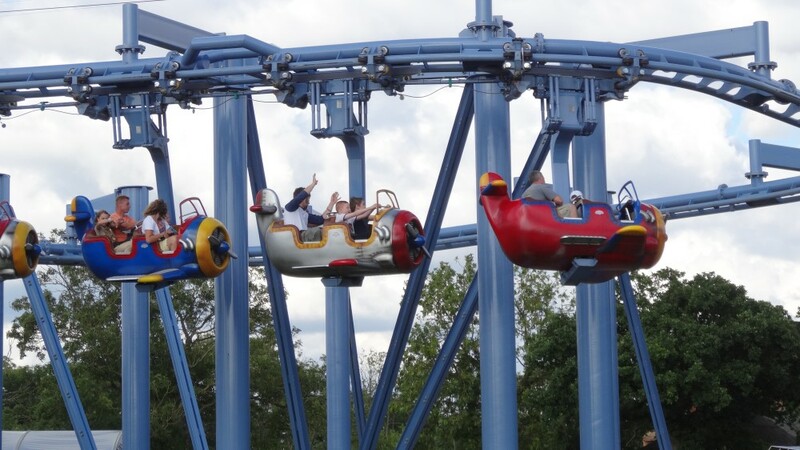 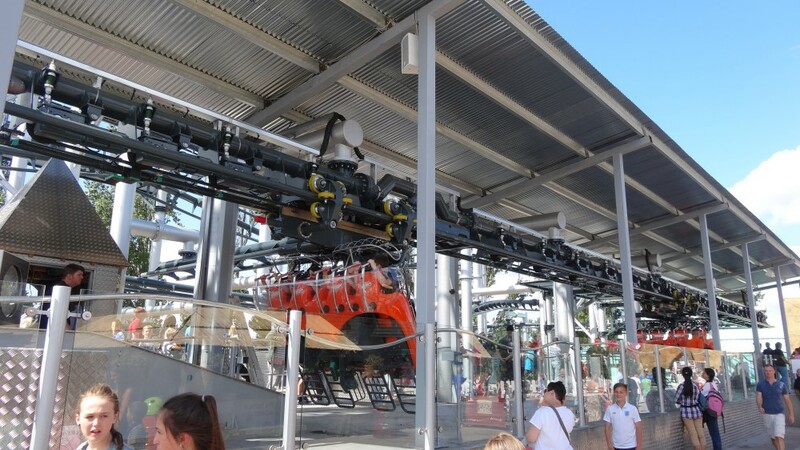 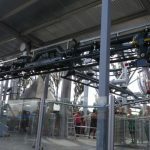 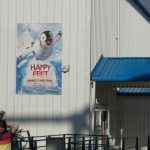 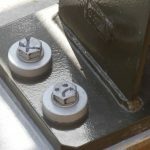 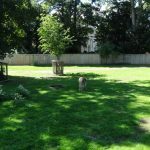 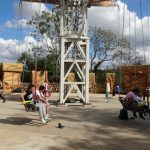 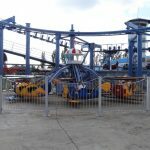 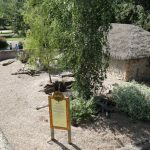 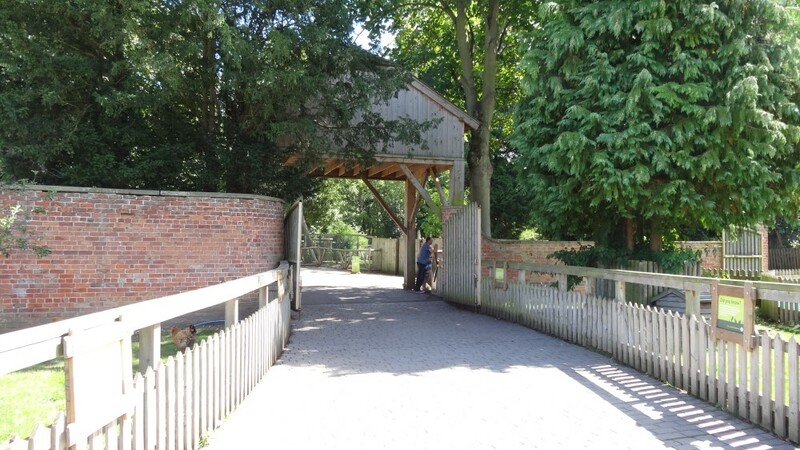 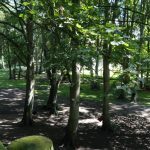 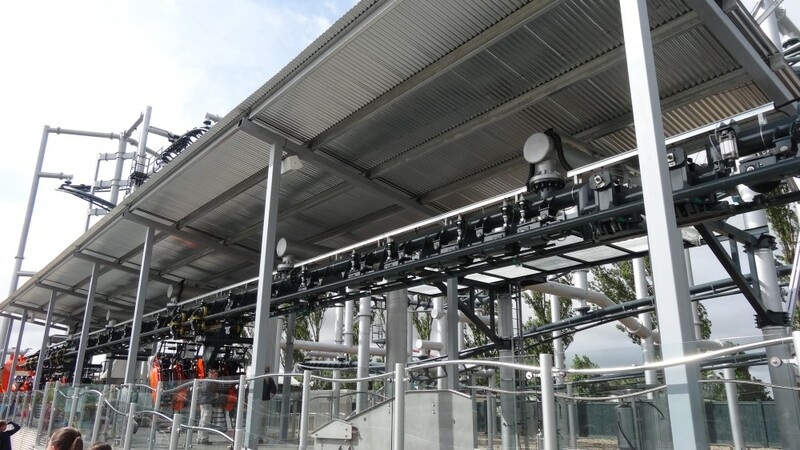 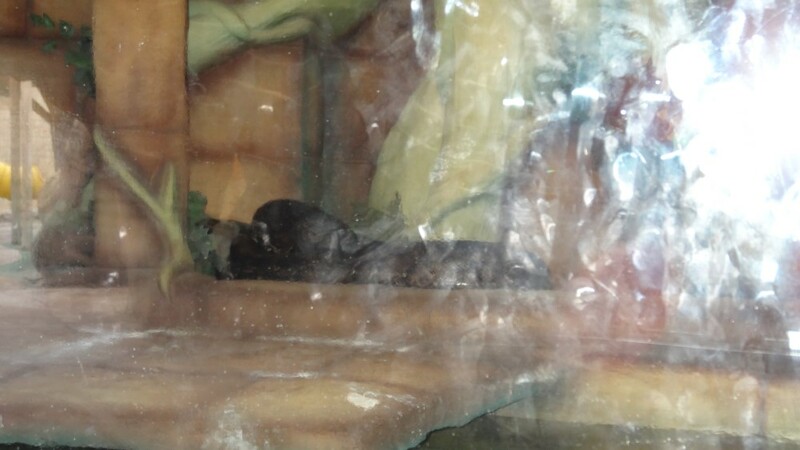 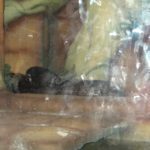 The park has been known for poor customer service and indeed slow loading of rides, its more than worth to consider visiting the park on a quieter day.